When we decide to move, we really move! Leaving Florida and heading west, we’ve gone through 3 states in the last 2 days, all in an attempt to find some warmer weather. 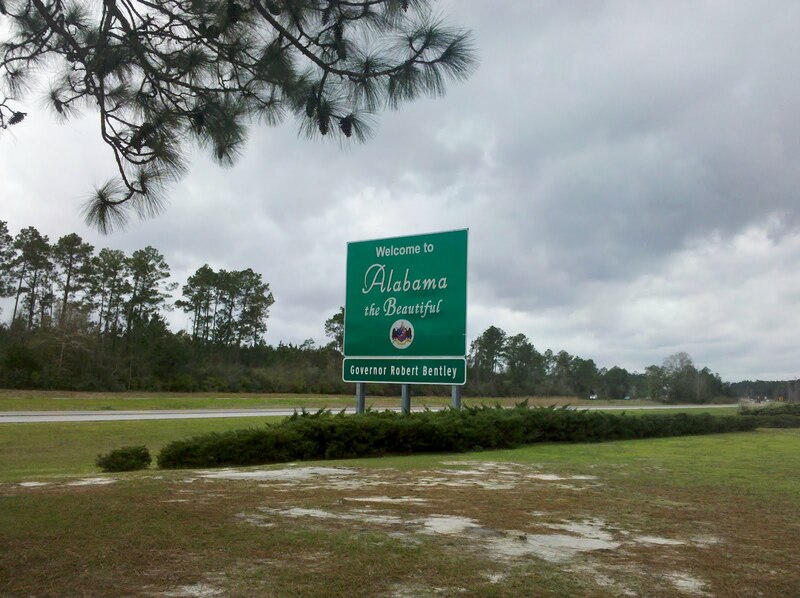 We are traveling a southern route on I-10 around the Gulf of Mexico. If you look at a map you can see that we have only gone through a small portion of Alabama, Mississippi and Lousiana so it’s not as many miles as it sounds. 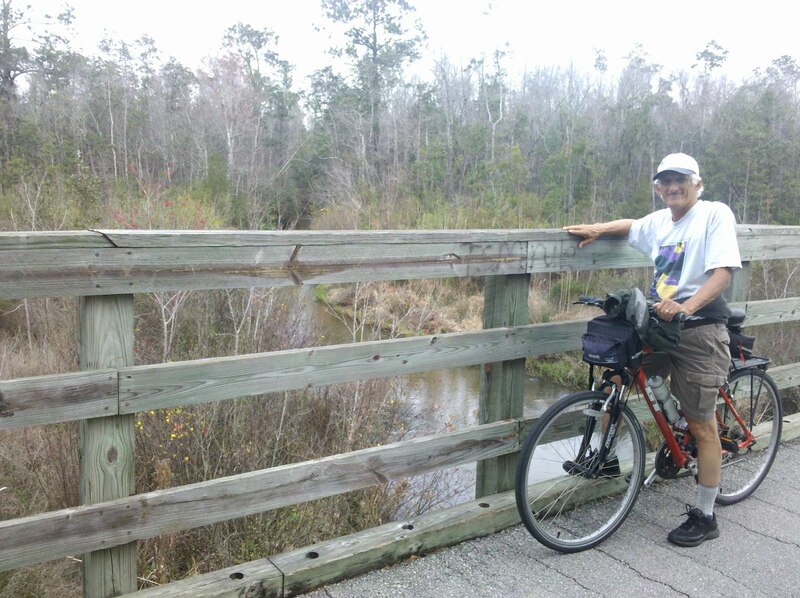 Before leaving Florida yesterday we did one last Florida bike ride on the Blackwater Heritage State Trail. 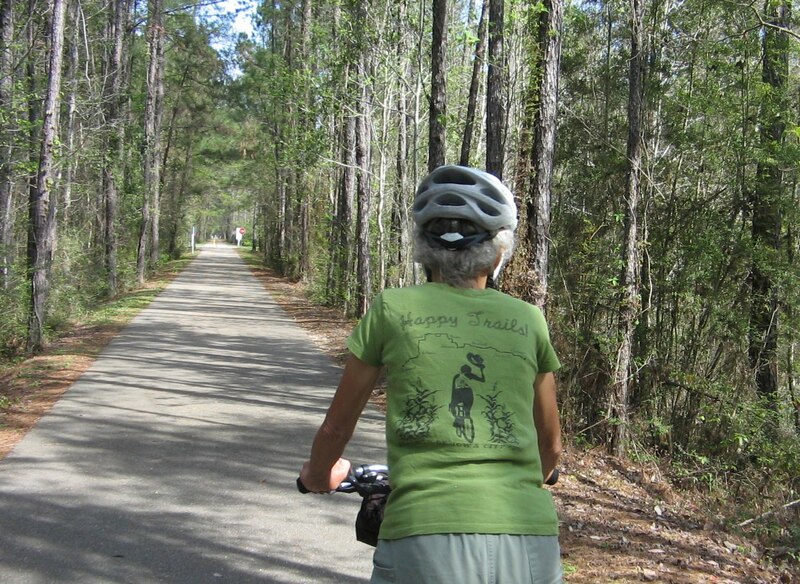 North of Pensacola, this is Florida’s westernmost rail-trail. 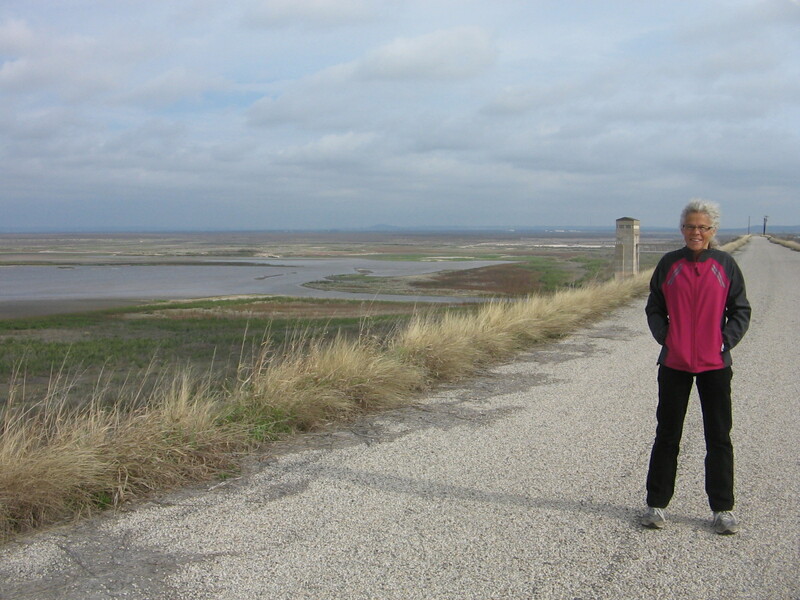 A paved 8-mile section passes through rural areas over several streams and then joins the 1.5-mile Military Heritage Trail that is on Whiting Field US Naval Air Station. 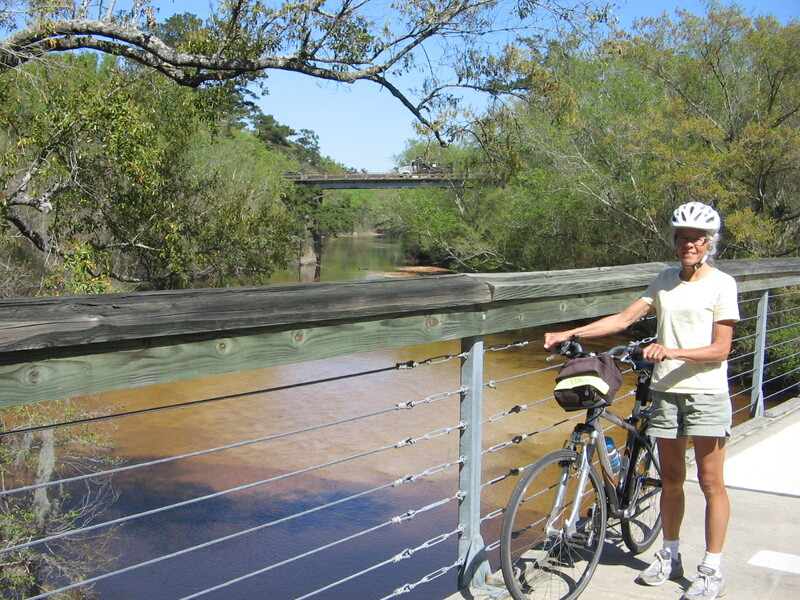 Clear Creek crossing on bike trail. 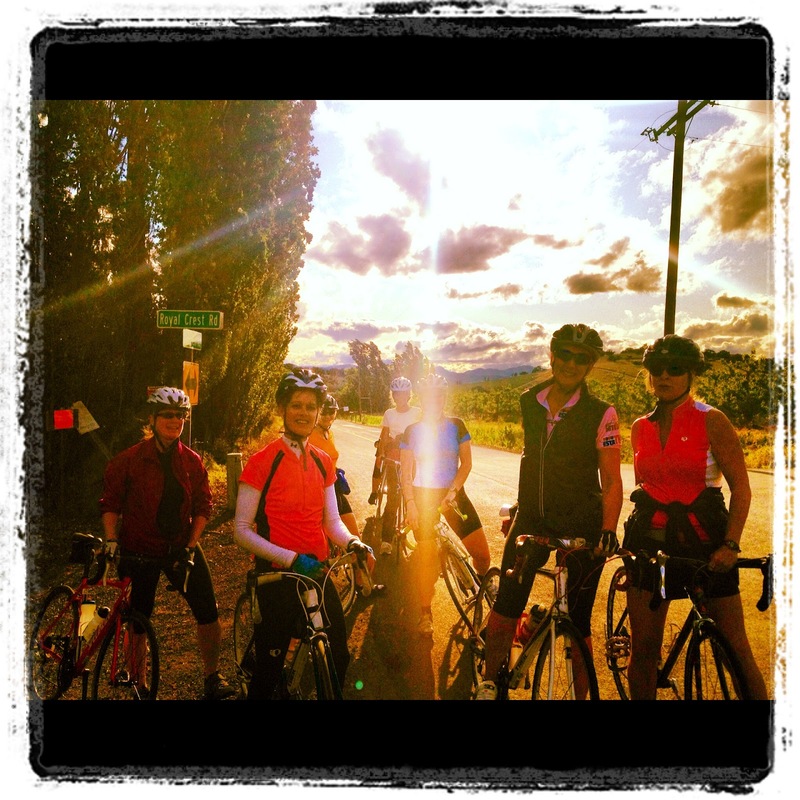 There wasn’t much sun on yesterday’s ride but it was warm enough that we didn’t need jackets. Rain and cooler temperatures were in the forecast but we didn’t realize until today how much cooler it would be. Back to wearing long pants and jackets. Since it wouldn’t be camping weather for the weekend we decided to keep driving west, spending last night in Mobile, Alabama. 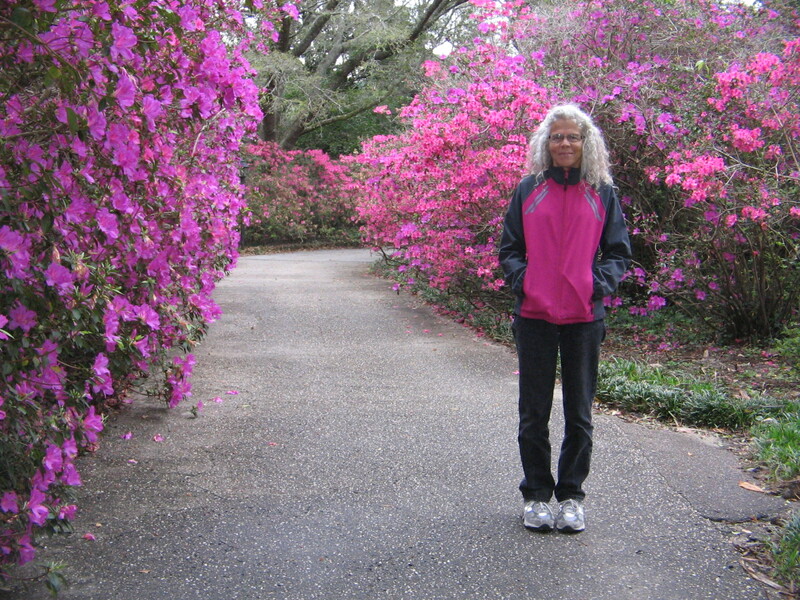 Before leaving Mobile today we made a visit to Bellingrath Gardens, a 65-acre botanical garden and mansion located on the Fowl River in Theodore, a suburb of Mobile. 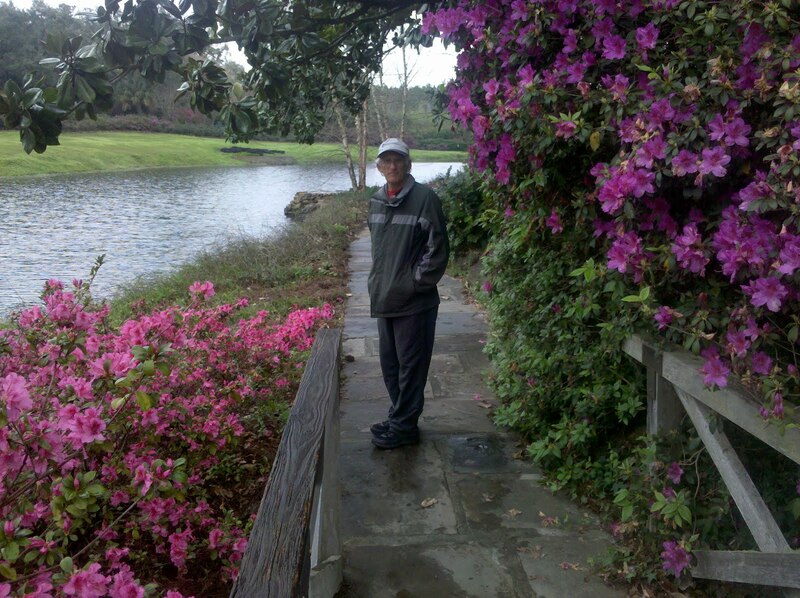 Even in the gray, rainy weather it was a beautiful place to walk through. 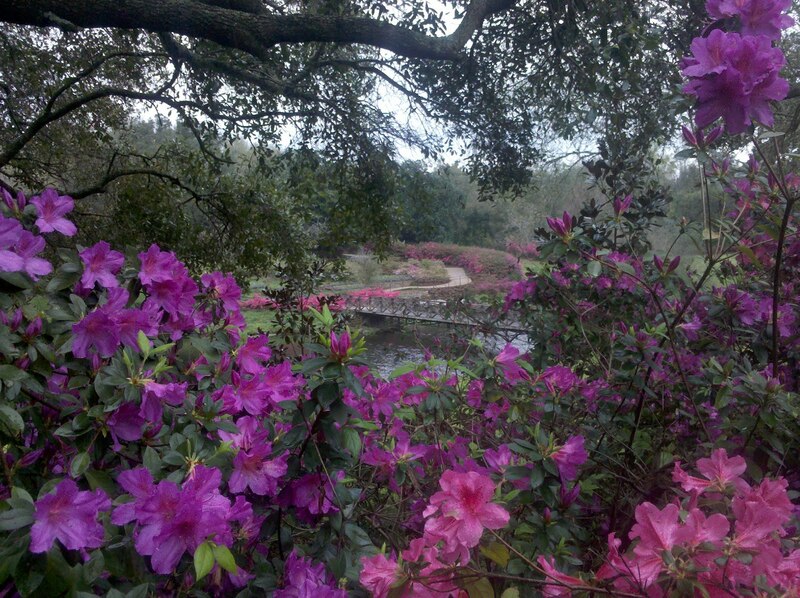 Because the weather has been mild, the azaleas have bloomed a month early. 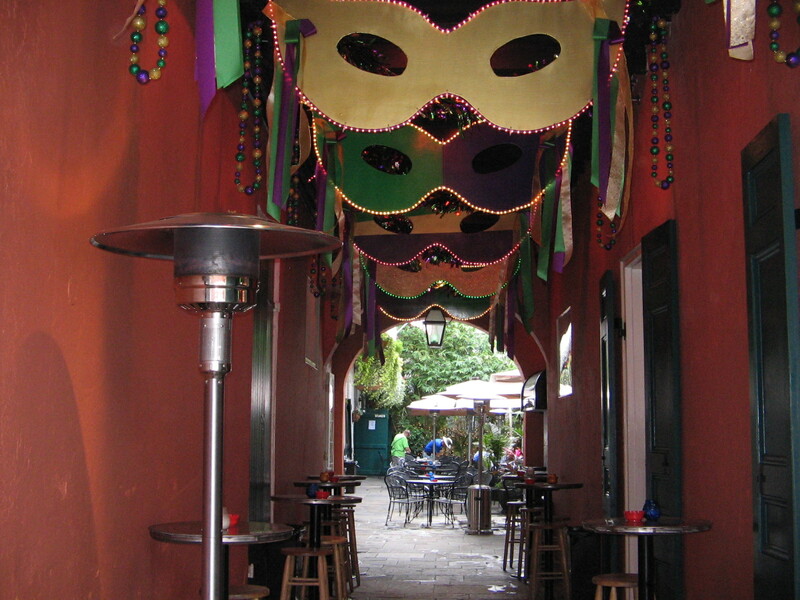 Tonight we are in Slidell, Lousiana, not too far from New Orleans. 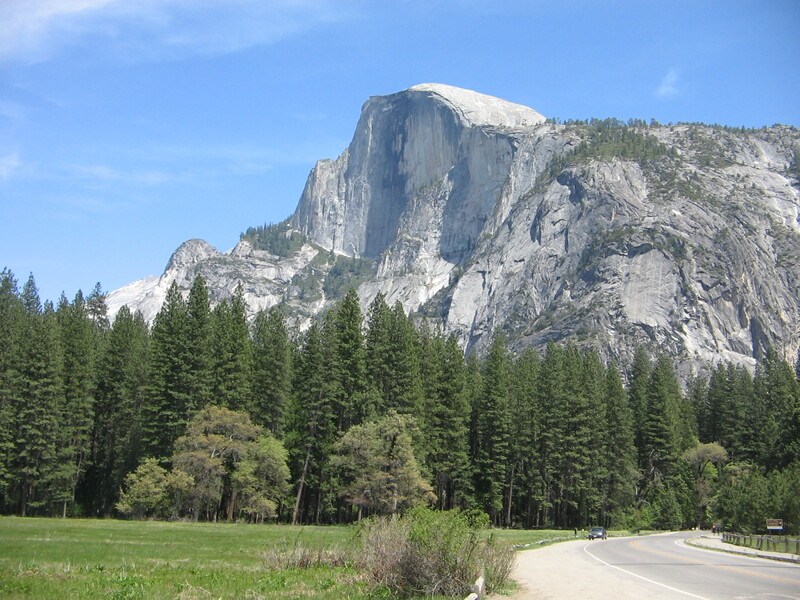 We haven’t yet decided how long to stay in the area, but are hoping that the rain is finished and in a day or two temperatures may warm up enough again to do some camping. 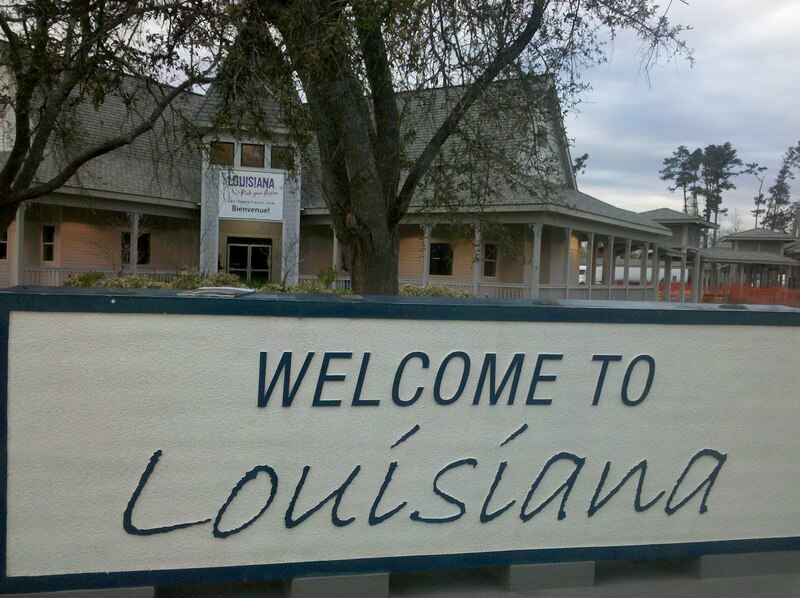 Looking at maps and brochures of Louisiana, as we plan our activities here, one of the things we learned is that the state has its own distinct lingo. 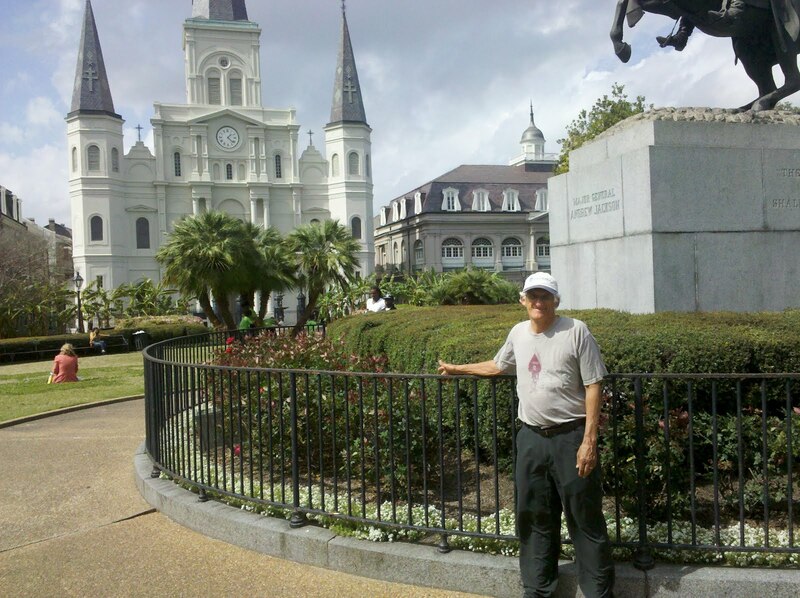 You don’t cross boundaries from one county to another–counties are called parishes. Sometimes you do cross rivers, but other times when you think it’s a river it’s actually called a bayou. St. Tammany Parish, where we spent the first part of the week, has an interesting historical footnote. 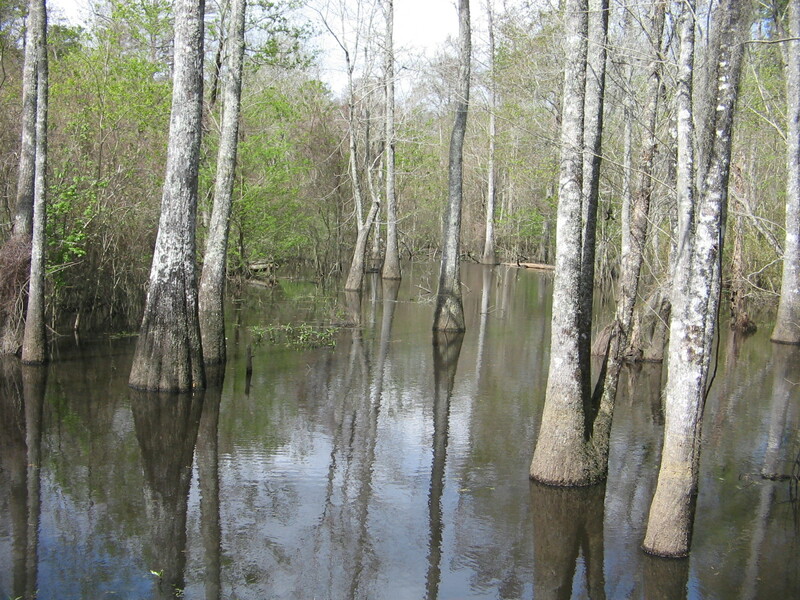 It was one of the Spanish-governed West Florida parishes that was not included in the Lousiana Purchase of 1803. In September 1810, residents revolted against Spanish rule and created the Republic of West Florida. The republic lasted 74 days, raising a new flag and electing a president, before being forcibly annexed by the US in December 1810. 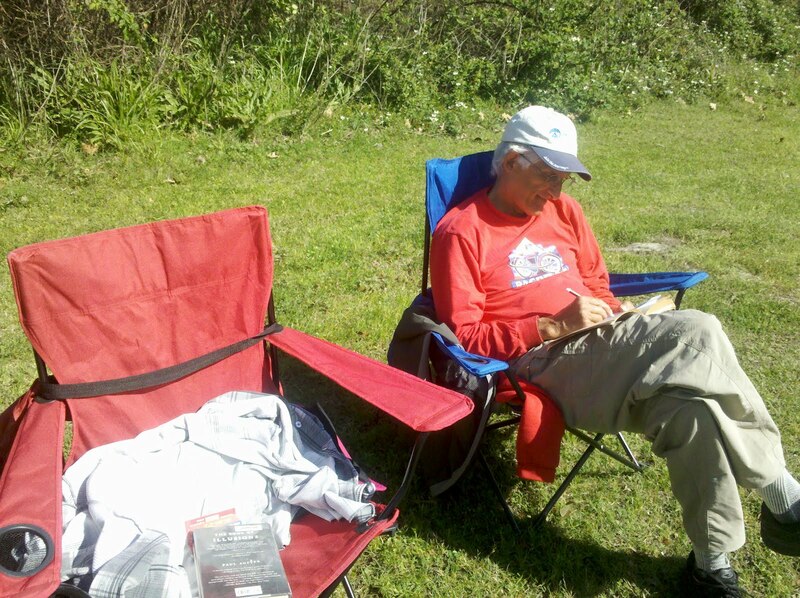 Unlike the days that we had spent along the Gulf Coast in Florida, Alabama and Mississippi, the weather this week promised sunny skies, giving us the opportunity to spend some time camping. 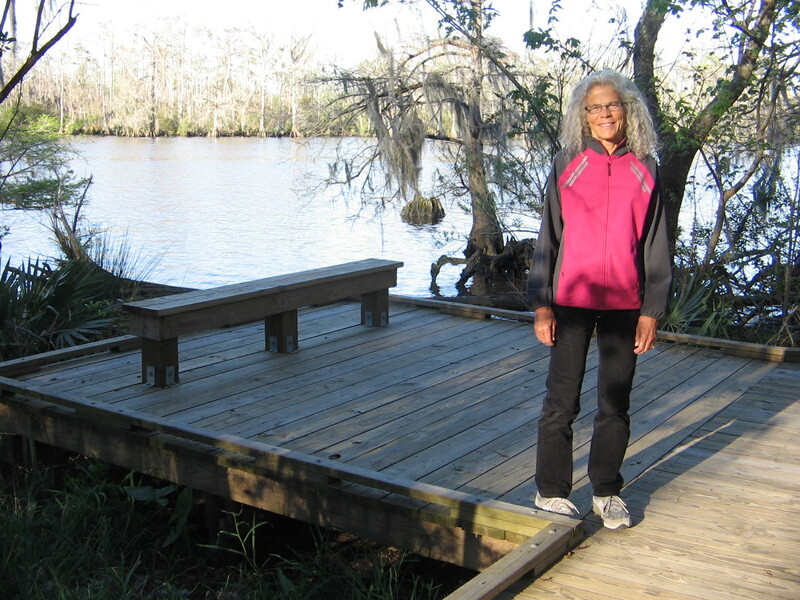 For two days we were at Fairview Riverside State Park on the banks of the Tchefuncte River. The nights were quite cold, but since the days were sunny, we enjoyed being able to move our camp chairs to a sunny spot after breakfast and warm ourselves up before beginning the day’s activities. 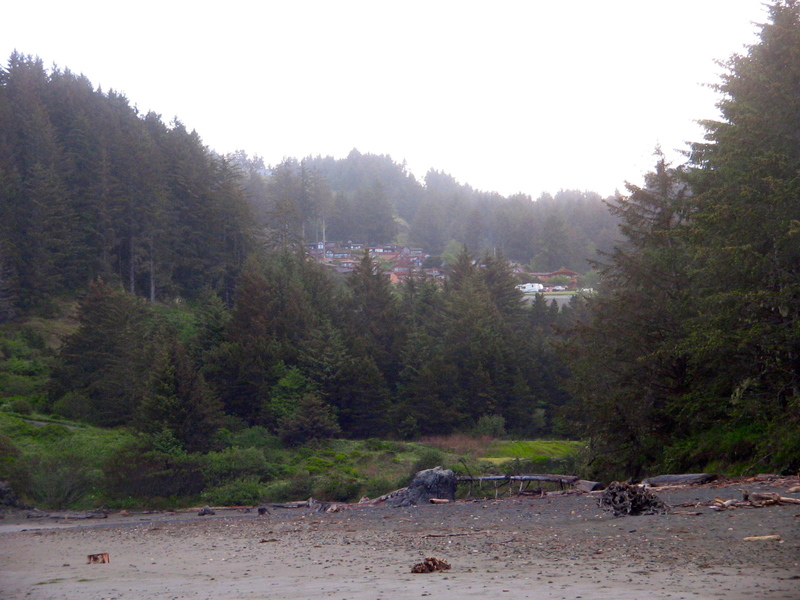 Fairview was a small park, but was a good base camp for doing other activities in the area. 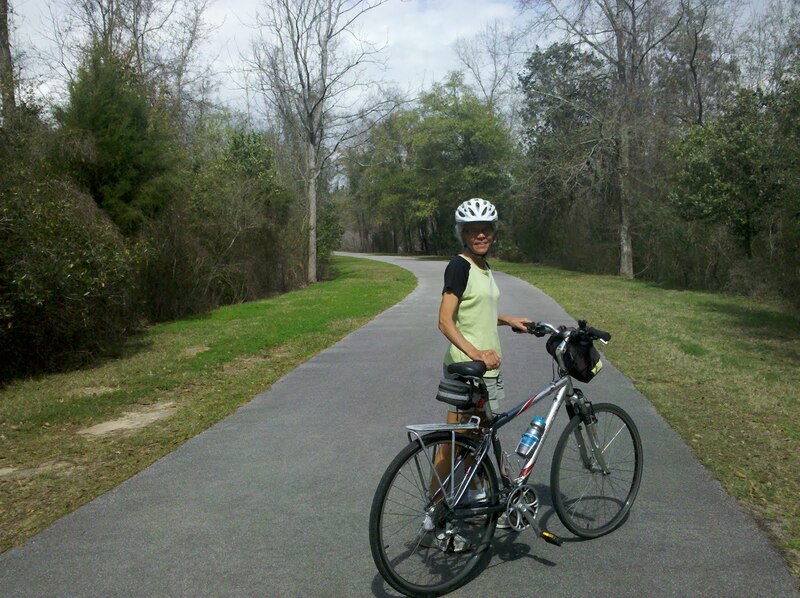 We rode our bikes on the Tammany Trace bike path, doing a north section one day and a south section a second day. 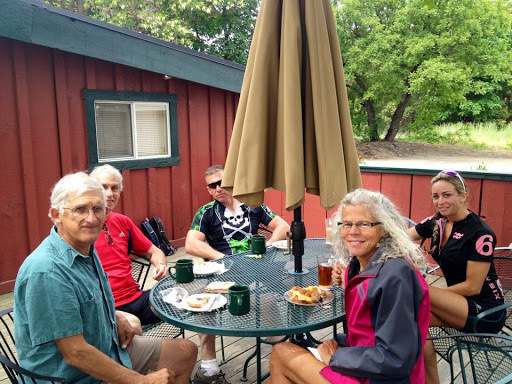 The trailhead in the town of Covington has a small park which felt like being in a small Iowa town for RAGBRAI. 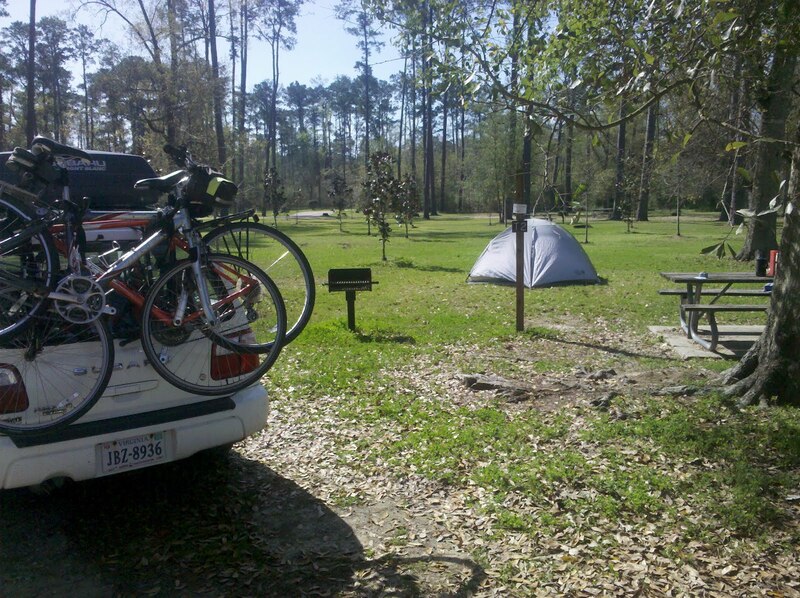 The Trailhead after Covington is another small town, Abita Springs. 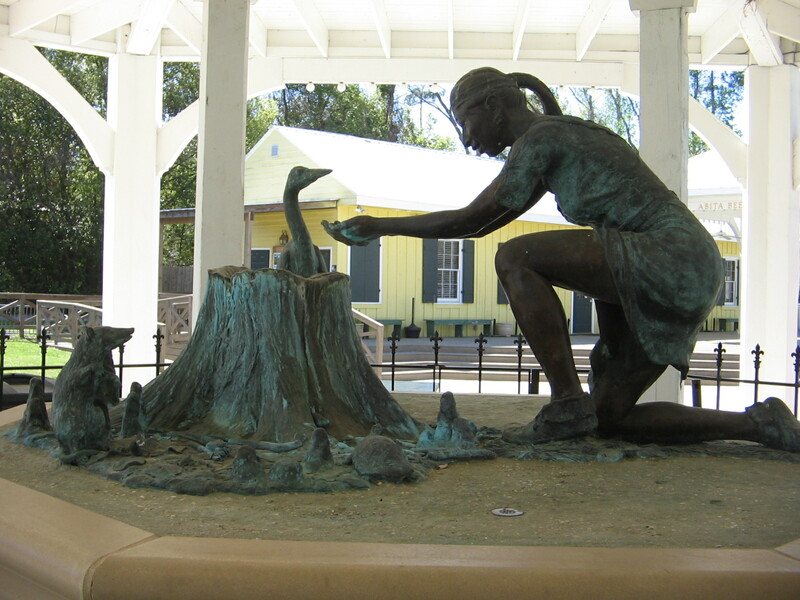 A pavilion here had a statue and plaque dedicated to the Legend of the Abita Princess. 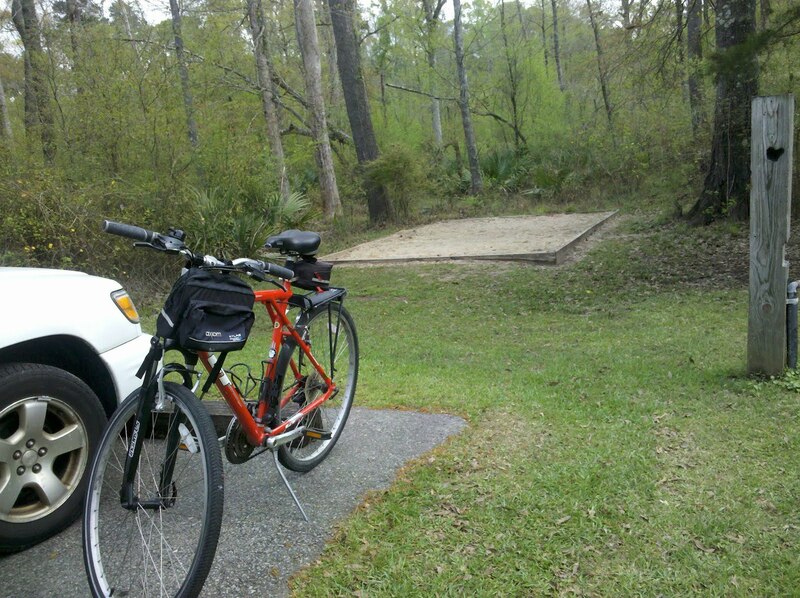 At the Bayou Lacombe Trailhead on the Tammany Trace. This was an interesting stop because the bridge that the bike path crossed was actually a drawbridge–can you believe it, constructing a drawbridge just for a bike path? 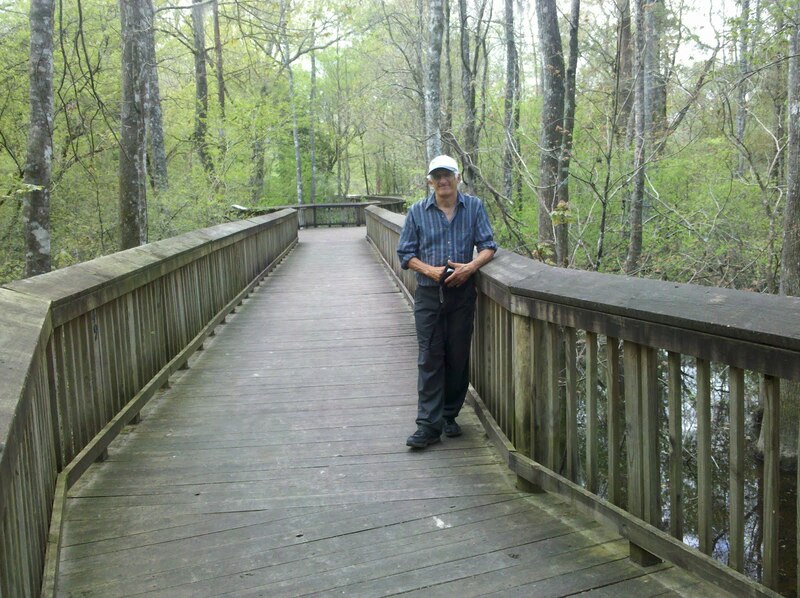 Another two days of camping was spent at Tickfaw State Park. 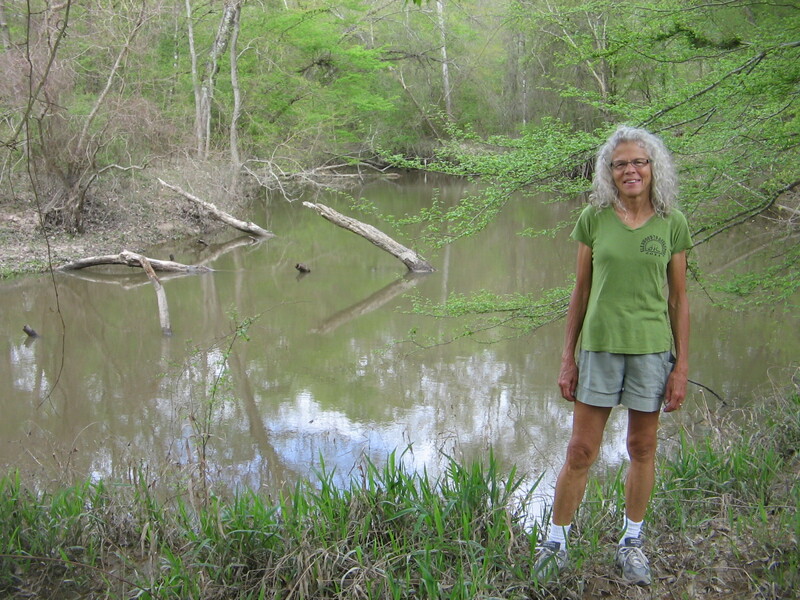 Whereas Fairview Riverside was close to an urban area, Tickfaw was way out in the swamps. We were a bit apprehensive about going there because of posted warnings that some of the tent sites were under water. It certainly was a wet area and we had to carefully look at all the sites to find one that wasn’t too muddy or too far from the bathrooms. The first night only one other tent site had campers and the second night we were the only ones in the tent camping area. But it was quiet and peaceful and as long as I didn’t let my mind wander to thoughts of something from the swamp crawling up into the tent at night, it was fine. 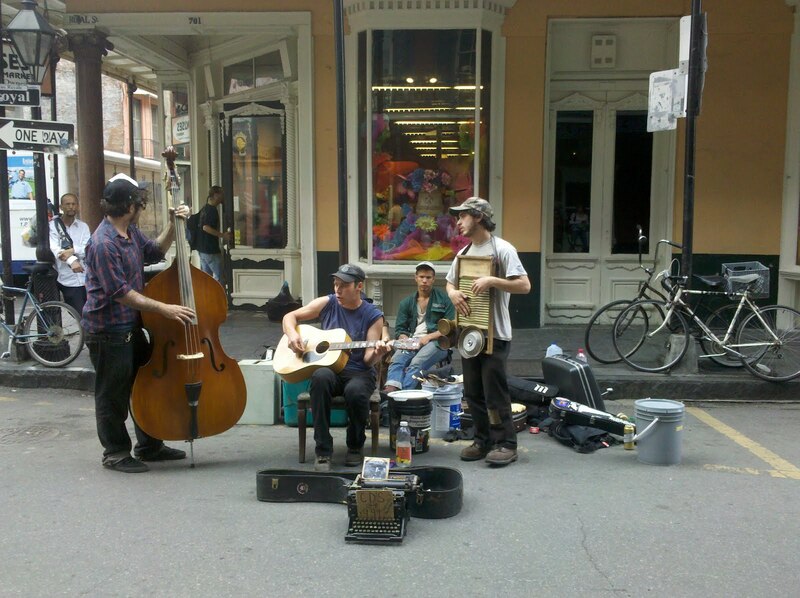 Tickfaw was the base camp for our excursion yesterday into the Big Easy. 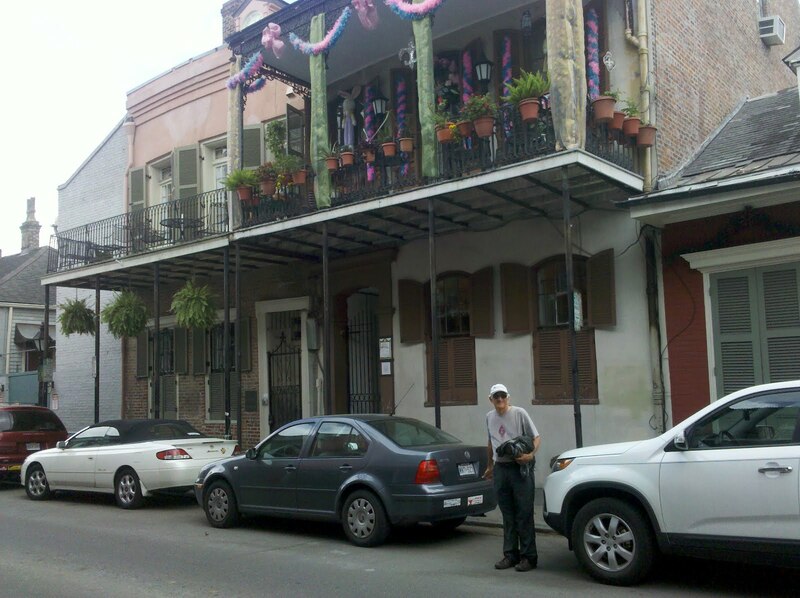 We couldn’t be this close to New Orleans and not take one day to play tourist. Tonight we are in a motel in Baton Rouge. 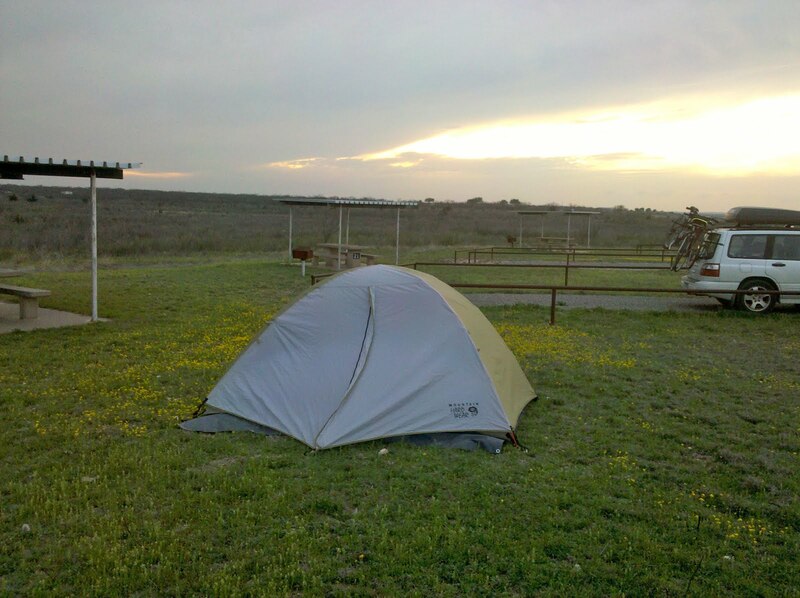 The weather forecast calls for rain tomorrow so we decided to forgo another day of camping. 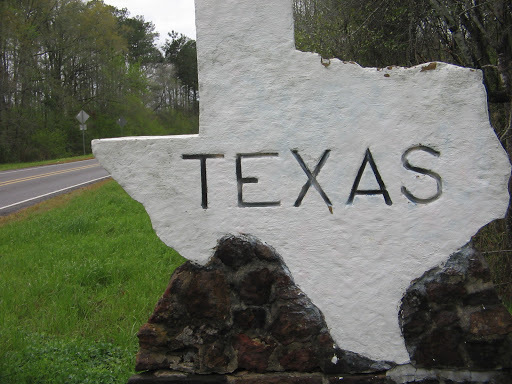 We now have to decide whether to head west on Interstate 10 into Texas or to go further north exploring other parts of Louisiana before driving into Texas. 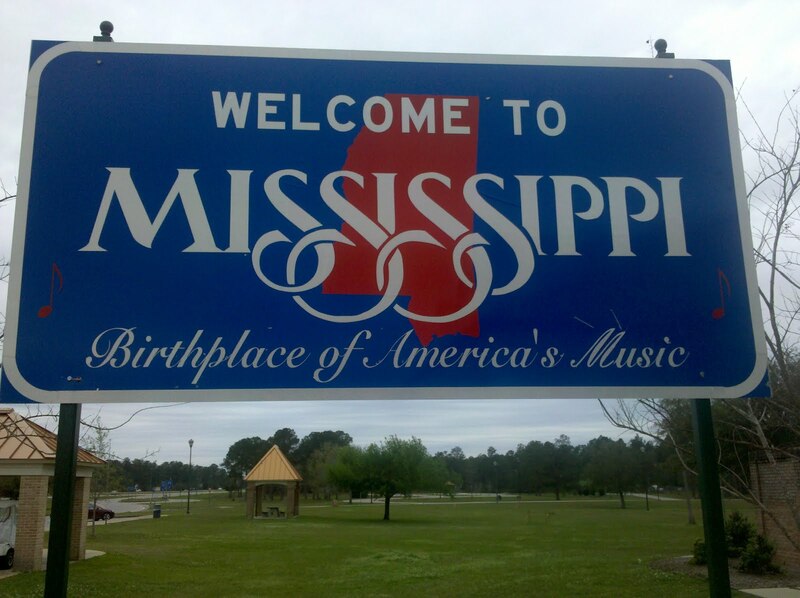 Friday was a milestone day, as we left Baton Rouge, heading west, we crossed over the Mississippi River. It’s a big step in our travels to the West to now realize that we have left the east behind us. 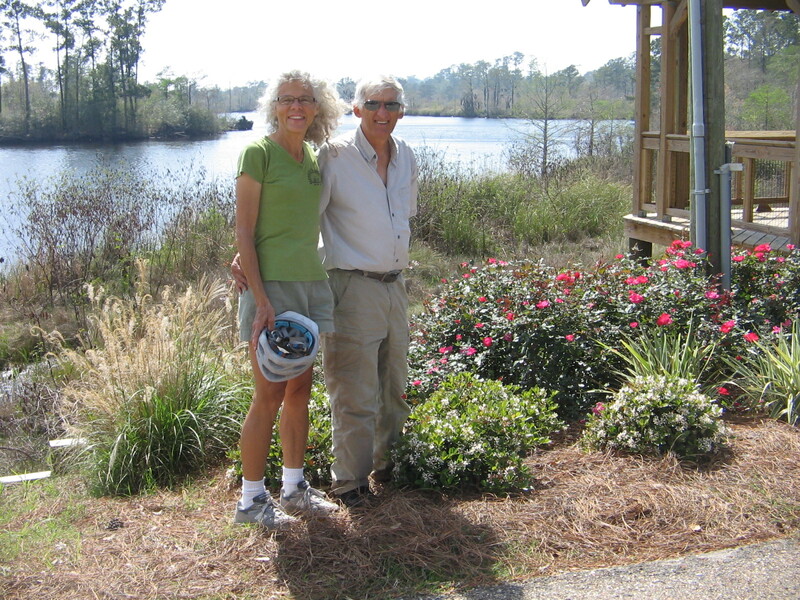 We opted for a route that avoided Interstate 10, instead going north into Louisiana to Alexandria, then east into Texas spending the night in Huntsville, Texas. There were a lot of interesting parks and forests along the way that we would have liked to investigate, but with unending rain and highs barely reaching 50 degrees, the only place I wanted to be was warm and dry in the car. Saturday was another cold, rainy day. 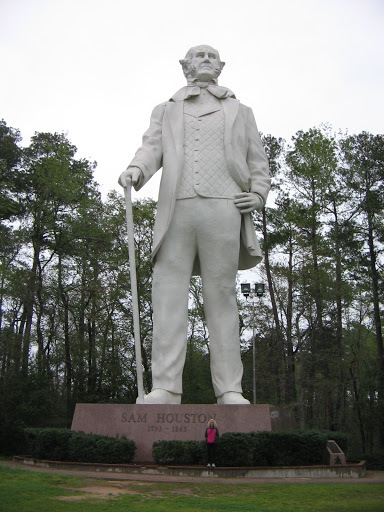 We spent just enough time in the morning before leaving Huntsville to check out the town’s famous statue to Sam Houston. 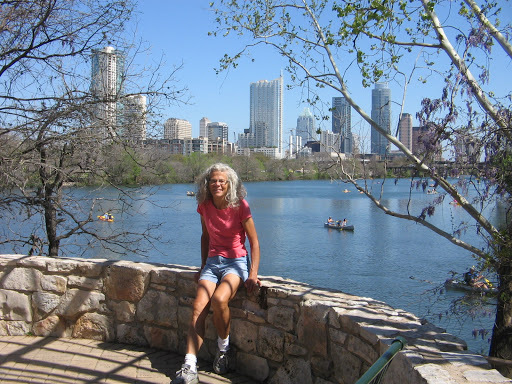 Our goal for Saturday was to reach Austin, Texas, where we had plans for making a one-week stop over. 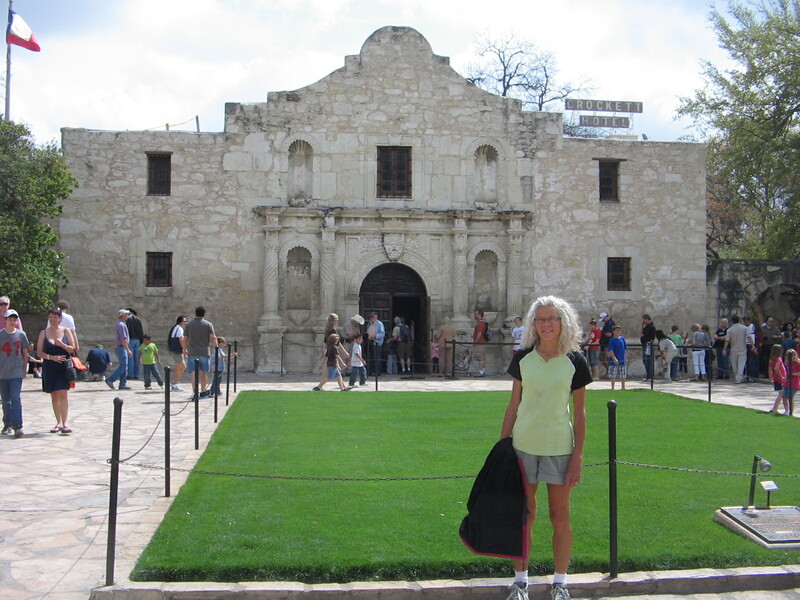 Our previous experiences with one-week stays had lulled us into thinking that we could just show up in a town that had a Value Place hotel and easily find a room for the week. It sure didn’t work that way in Austin. Everything was booked up, it was pouring rain so you could hardly see to drive and the unfamiliar highways had us driving in circles. What we hadn’t realized was that March 9-18 tens of thousands of people from all over the world show up for Austin’s South by Southwest Music Conference and Festival (SXSW). 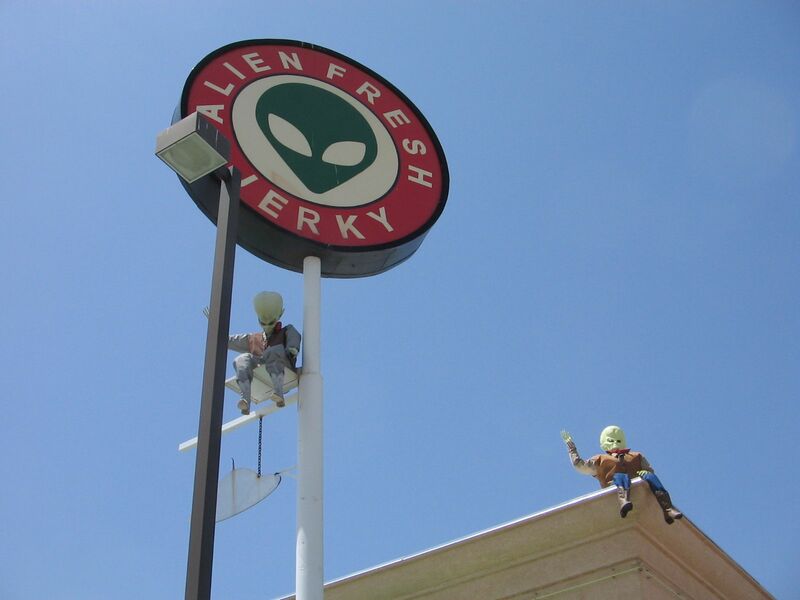 We finally found a place in the town of Round Rock, north of Austin. Sunday afternoon the skies cleared, giving us the opportunity the last couple of days to see some of the sights in the area. 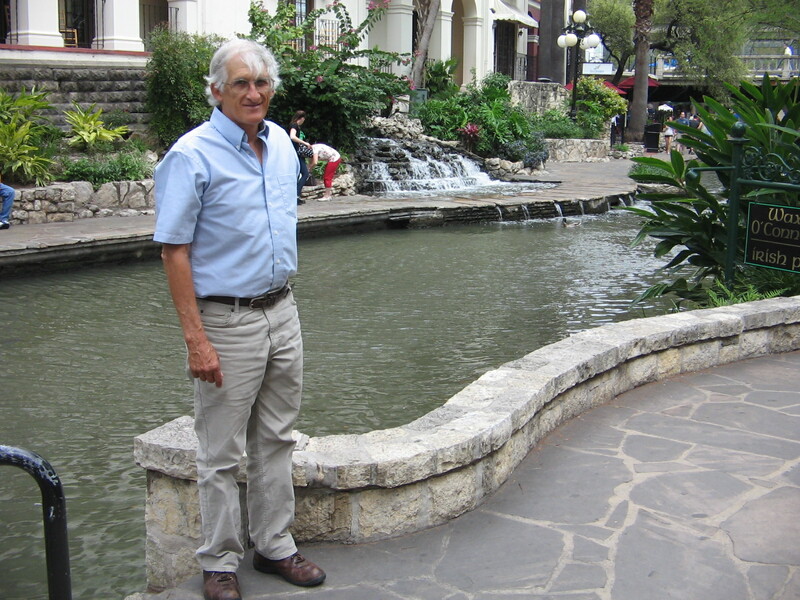 Round Rock has an interesting history from the days when the West was being settled. 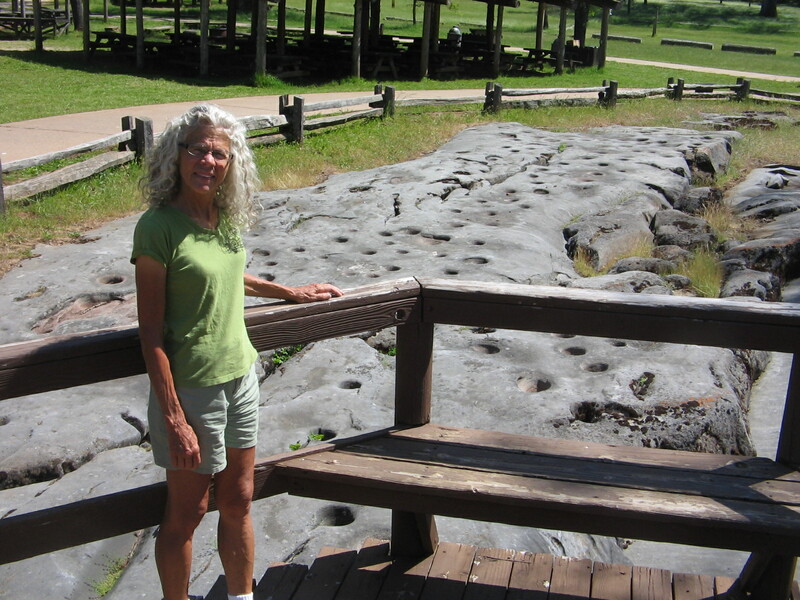 Its name was derived from the table-shaped stone in the middle of Brushy Creek. 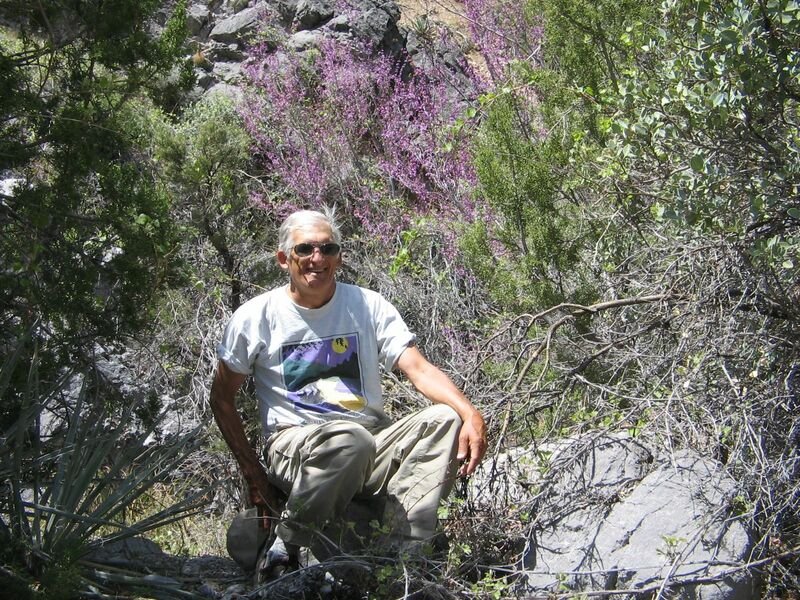 Indians and early settlers used the stone as a guide that marked an important low-water wagon crossing. 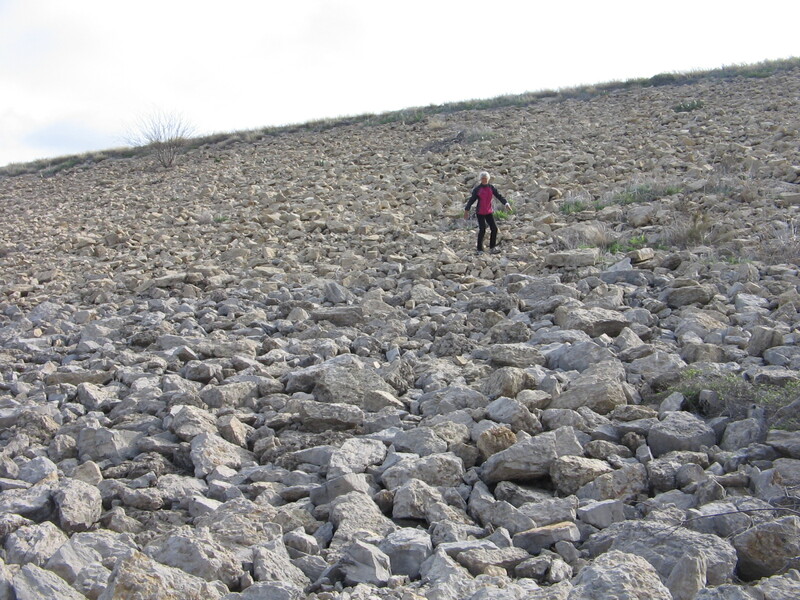 Round Rock was a part of the Chisholm Trail on the route from deep in the south of Texas to cattle markets in Hays, Kansas. 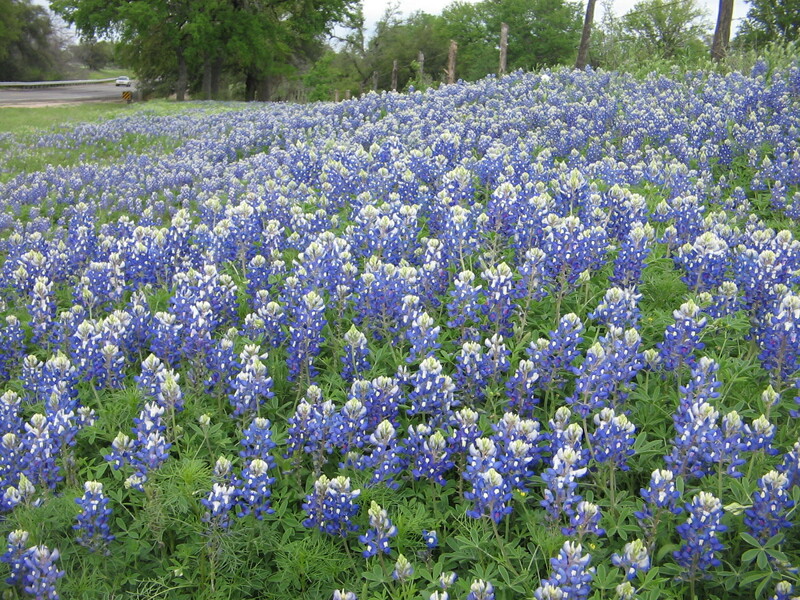 Numerous cattle drives, with thousands of longhorns in the herds, passed through Round Rock during the post Civil War period. 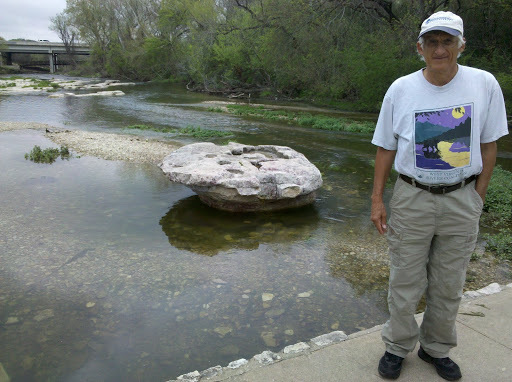 Round, table-shaped stone in the middle of Brushy Creek that gave Round Rock its name. 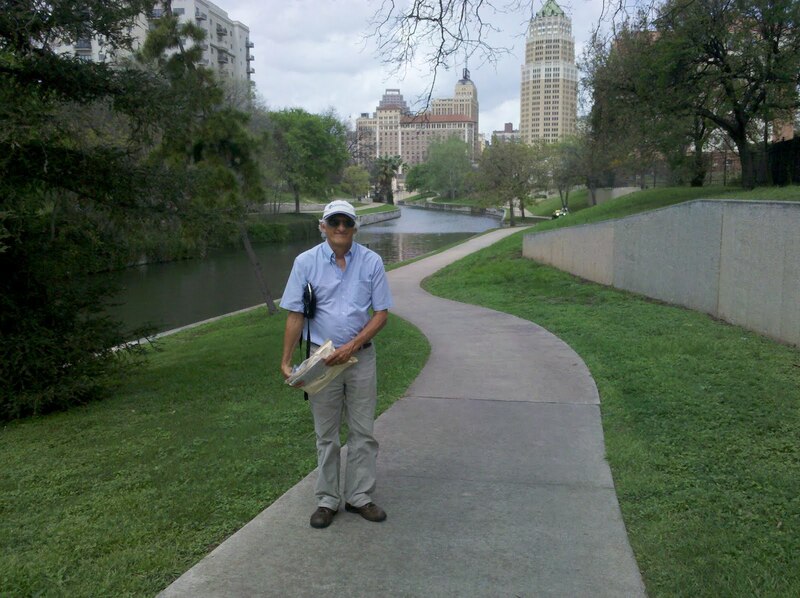 Round Rock City Park dedicated to Chisholm Trail and early pioneers. 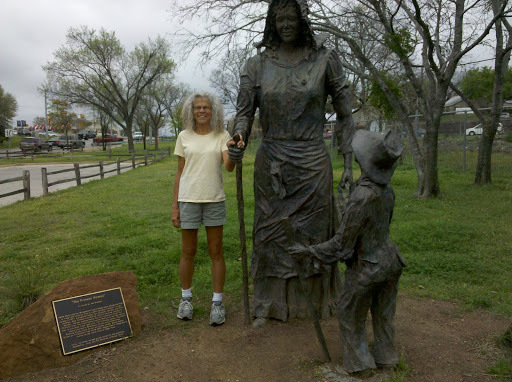 Hattie Clark was the first woman to travel the Chisholm Trail (1871). 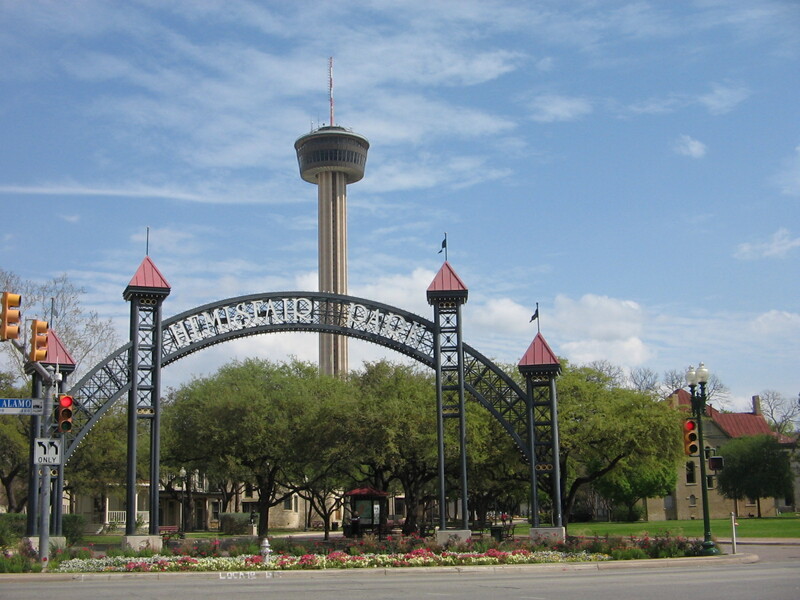 We have taken a couple of drives from our hotel in Round Rock into the downtown area of Austin. 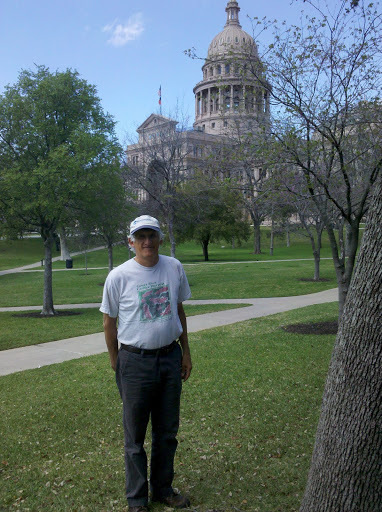 We played tourist at the Texas Capitol one day and rode our bikes on the Town Lake Hike and Bike trail another day. Pedestrian Bridge across Colorado River in downtown Austin. 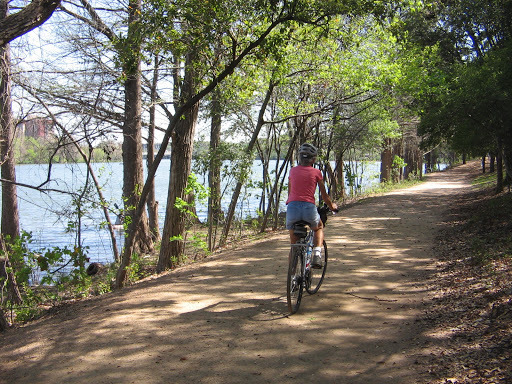 Town Lake Hike & Bike Trail. 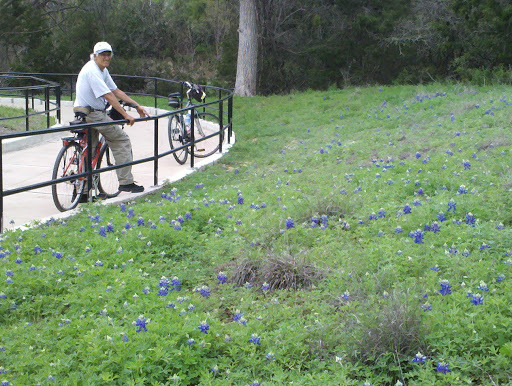 Overlook on Town Lake Hike & Bike Trail. 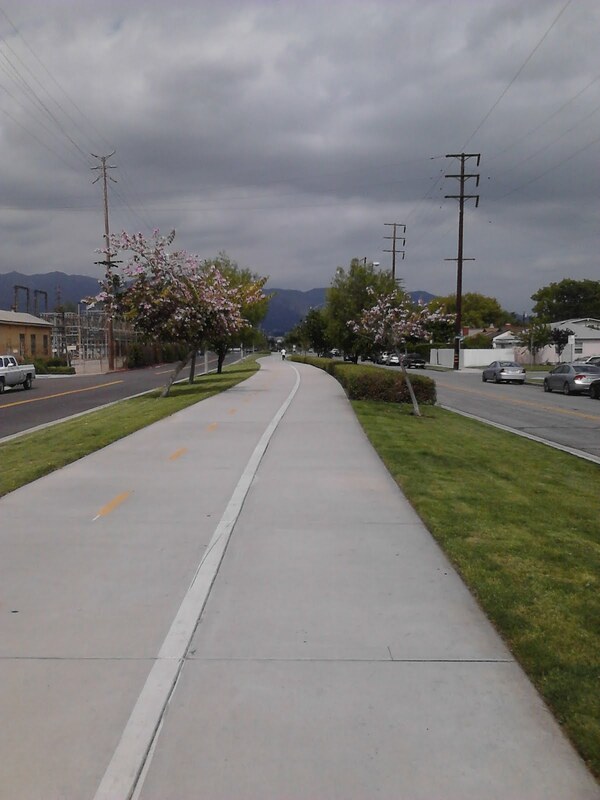 There are also a couple of other bike trails in the surrounding communities that we investigated. 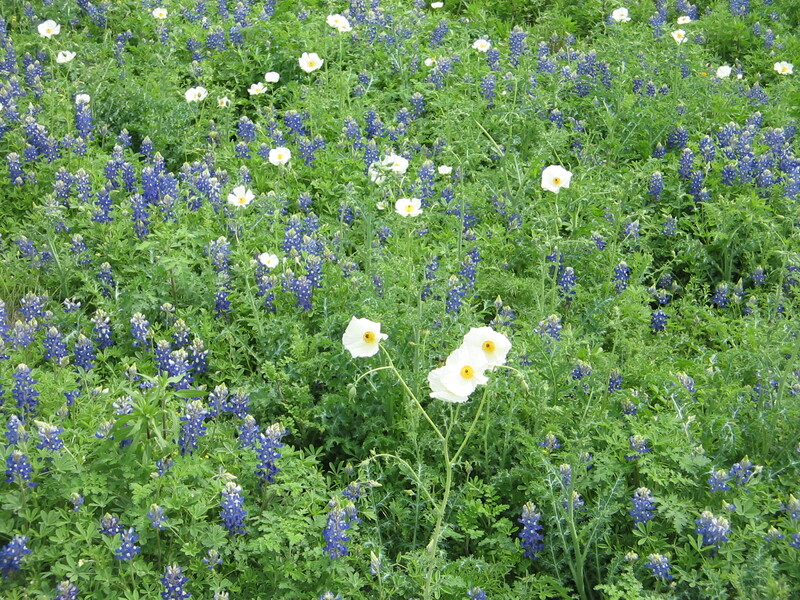 Texas bluebonnets (state flower) in bloom along Brushy Creek trail. 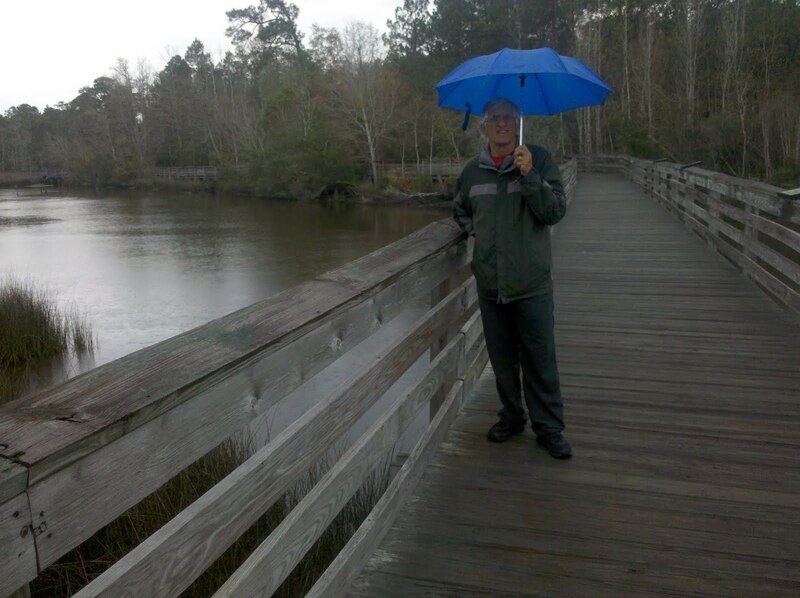 The weather is quite unpredictable so we are trying to balance the outdoor activities with other things. There certainly is a lot going on and we won’t be bored in our time here. 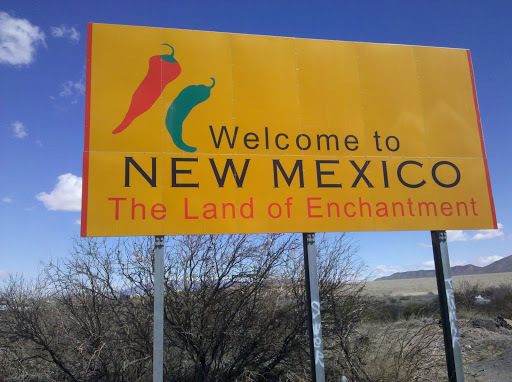 It didn’t look promising Monday morning when we crossed the border of Texas and arrived in New Mexico. 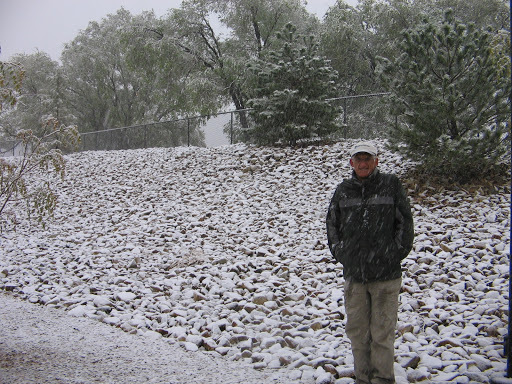 Having lived for 20 years in New Mexico, I had fond memories of the warm weather and 300+ days of sunshine a year. In New Mexico I knew that we wouldn’t experience a solid week of gray, overcast skies like what we had left behind in Austin. 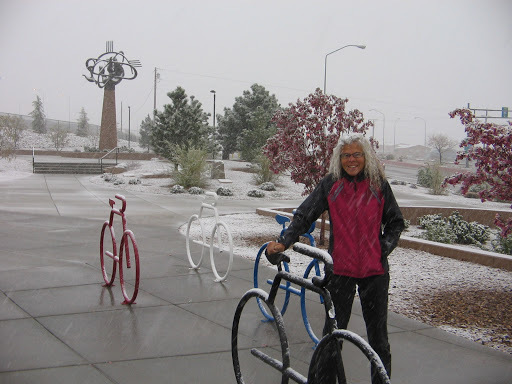 But what I hadn’t counted on was that March in New Mexico can bring windstorms with cold and blowing dust and that’s just what awaited us. 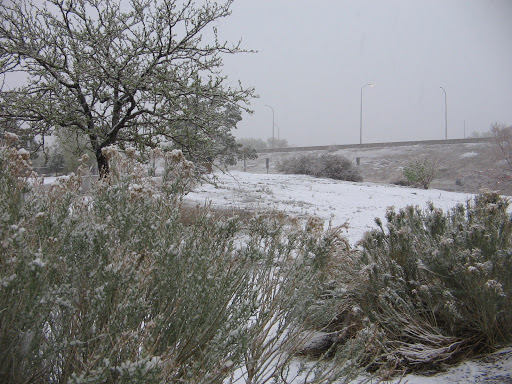 A late winter snowstorm had moved through Arizona on Sunday and the effects of the cold and wind were evident, even down in the southern part of New Mexico. Fortunately, it didn’t take too long for the weather to warm back up and today was a perfect 70 degrees, no clouds and no wind. 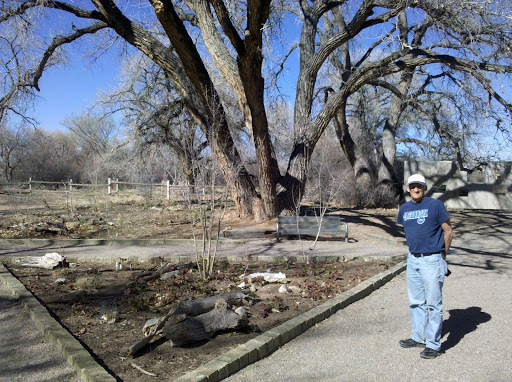 Our first stop Monday in New Mexico was in the city of Las Cruces. 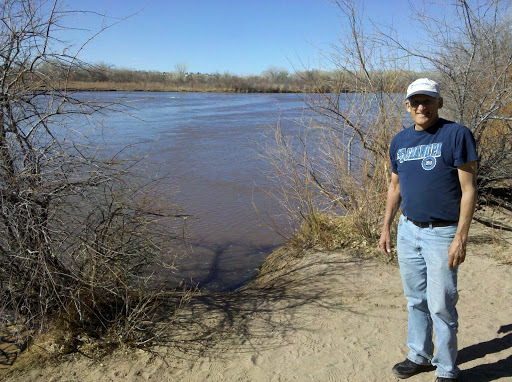 We visited the Mesilla Valley Bosque State Park for the opportunity to walk along the Rio Grande River. Sadly, there was very little water in the river. I don’t remember ever having seen the river that dry. The Rio Grande is the continent’s second largest river and plays a vital role in transforming barren desert into fertile land for farming. The Ganges River of India is the only river in the world that is more heavily used for irrigation. 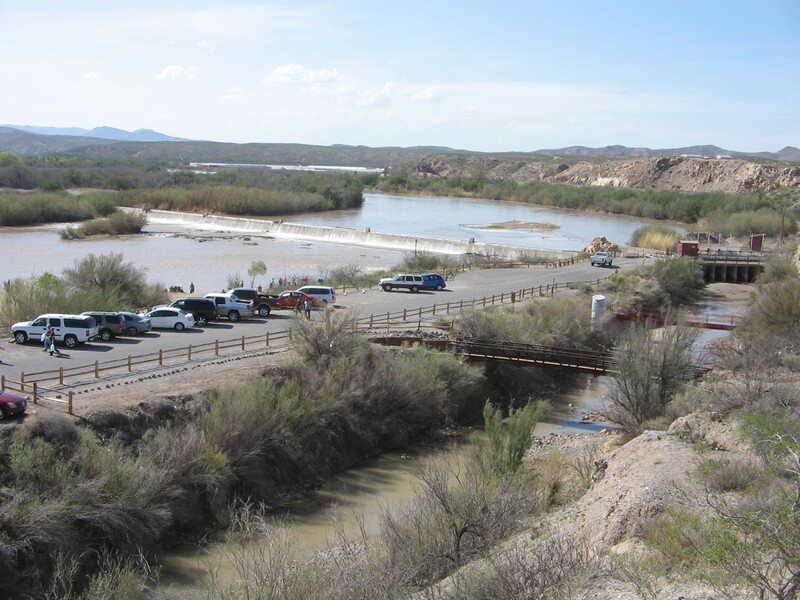 As we continued our drive northward in New Mexico from Las Cruces the route basically paralleled the river. The further north we went the more I began to understand that all was not lost, as far as what had seemed to be a dried up river. 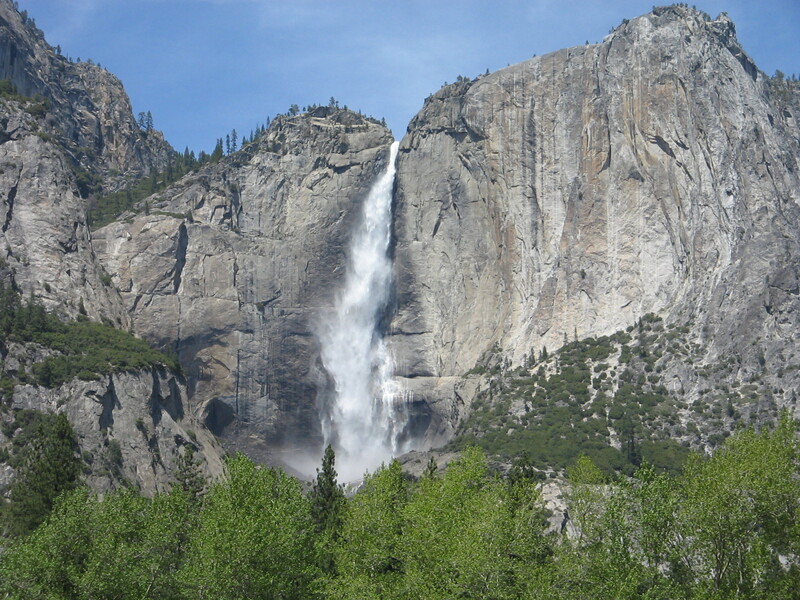 The key is the management of what water there is by regulating how much is allowed to flow from the source in the Colorado mountains to the mouth in the Gulf of Mexico 1,885 miles away. 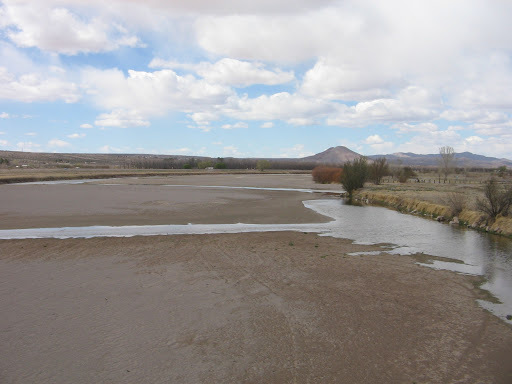 There is snow yet to melt in the mountains and, hopefully, there is enough snowmelt that when the floodgates are opened at Elephant Butte Dam the dried up places we looked at downstream will again have water. 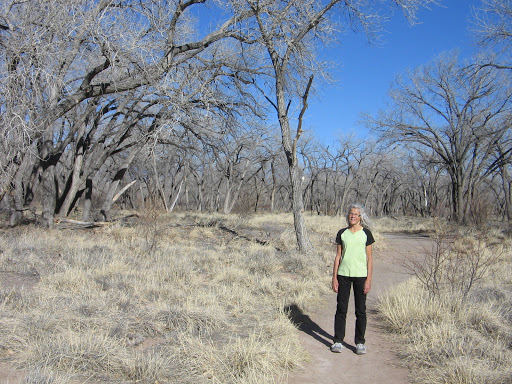 Bosque Trail at Rio Grande State Park. 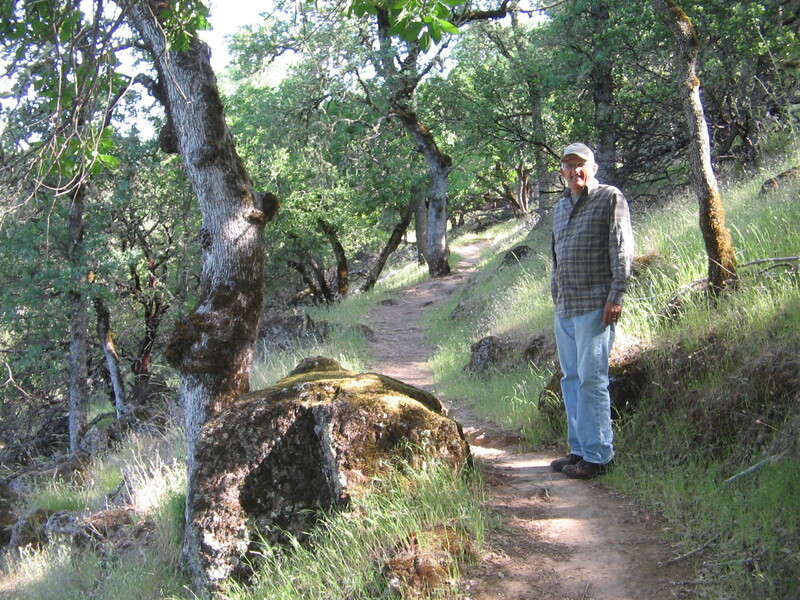 A bosque is a clump or grove of trees like the ones here. Spring is only beginning here in Albuquerque. We’ve seen forsythia, redbud and bradford pear trees blossoming, but trees like the cottonwoods here don’t yet show any signs of green. We are staying in the Albuquerque area for the next two weeks and are excited about the opportunities for activities that we enjoy. 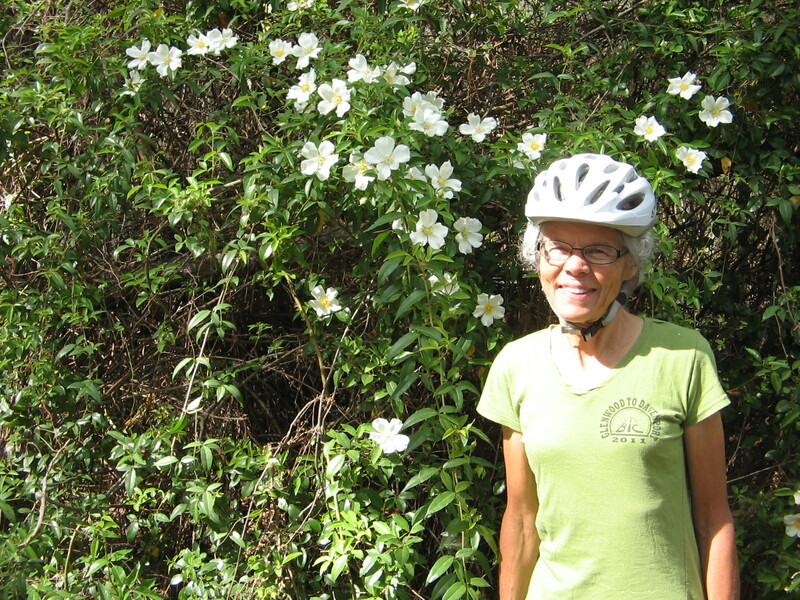 We have a bike map of the city and there are a number of good trails to explore. 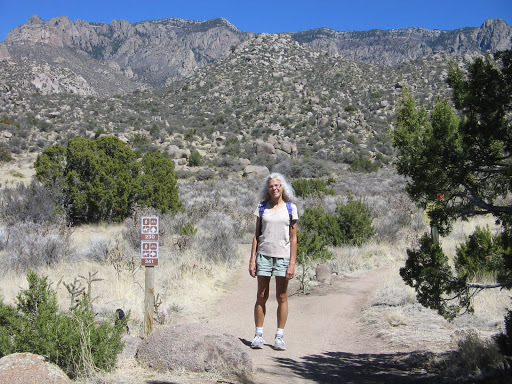 There are also many hiking trails in the Sandia Mountains just east of the city. 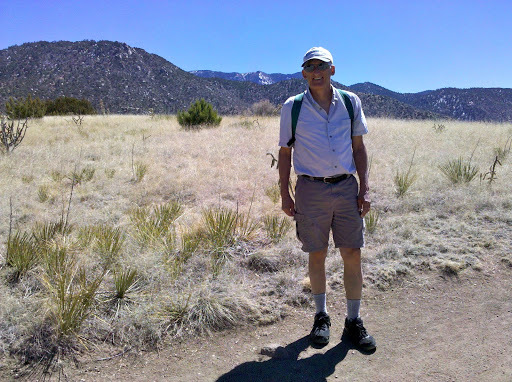 Today’s perfect weather gave us the opportunity to do a short hike in the foothills of the Sandias and then later in the day a bike ride on one of the city trails. 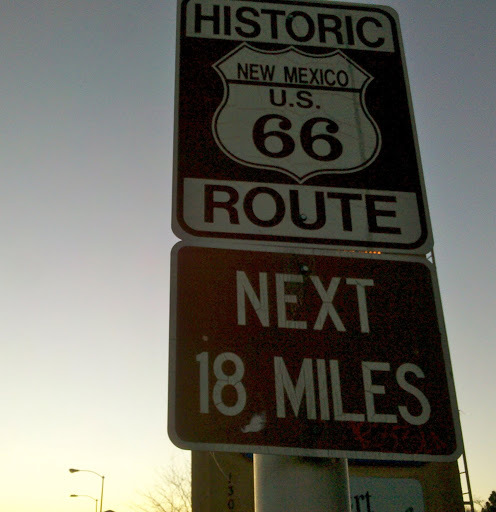 Our hotel is on Central Avenue, which once was part of the famous cross country highway Route 66. 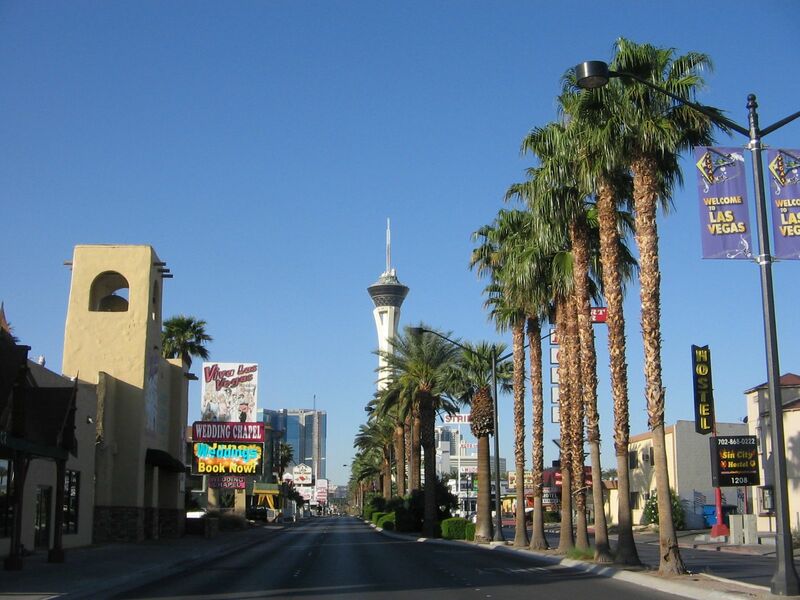 When we are in the mood for some nightlife we need to follow it back down towards the city and check out the historic vintage neon signs that they say still are there along the route. 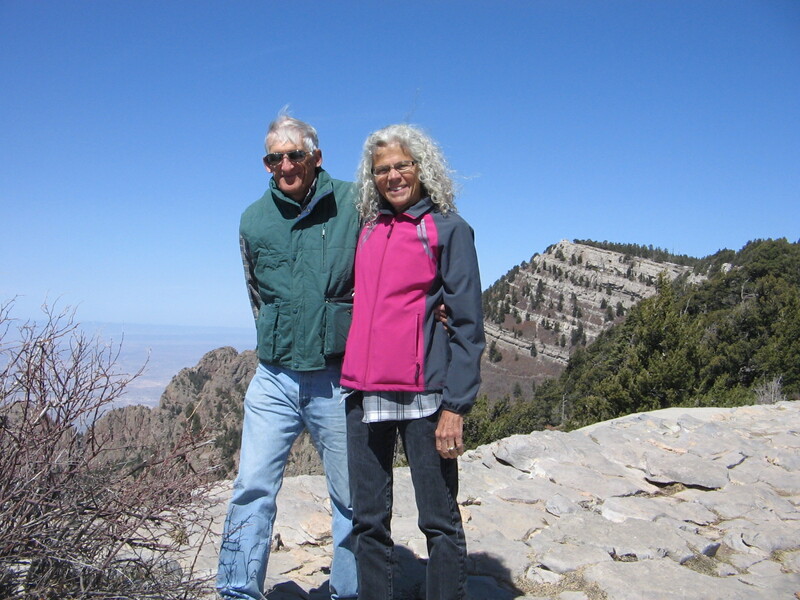 We have been enjoying Albuquerque so much that we signed on for a second week at our extended stay hotel here. Staying for 2 whole weeks at one location will be a first since leaving Oakton in December! 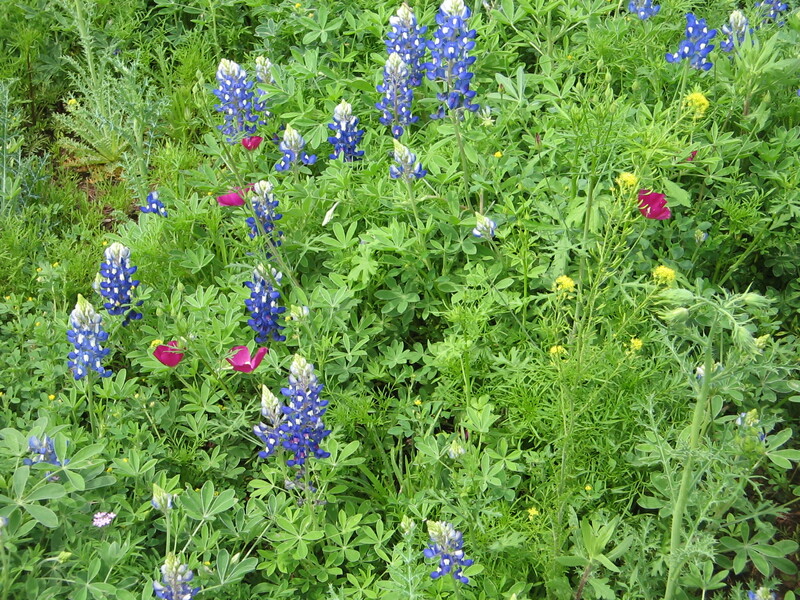 The fact that it is an abnormally early spring this year has probably helped promote our positive impression of the area. It’s taken a bit of adjustment for me to cope with the chilly morning temperatures, but it doesn’t take long for the sun to warm things up. Only one day since we have been here could be called a cloudy day and those clouds didn’t stay around very long. 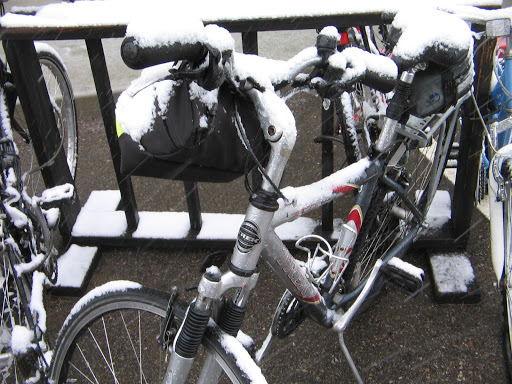 At times we have had to cope with strong winds, for example, on our Sunday afternoon bike ride. 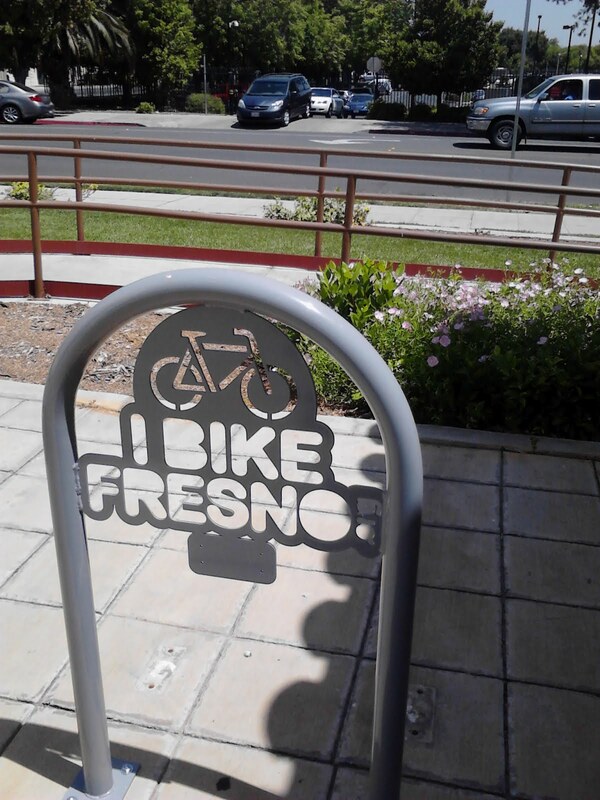 Our hotel is a block from the Tramway Bike Path and we thought an enjoyable Sunday afternoon activity would be to ride out and back and enjoy the views of the Rio Grande valley to the west and the Sandia Mountains to the east. 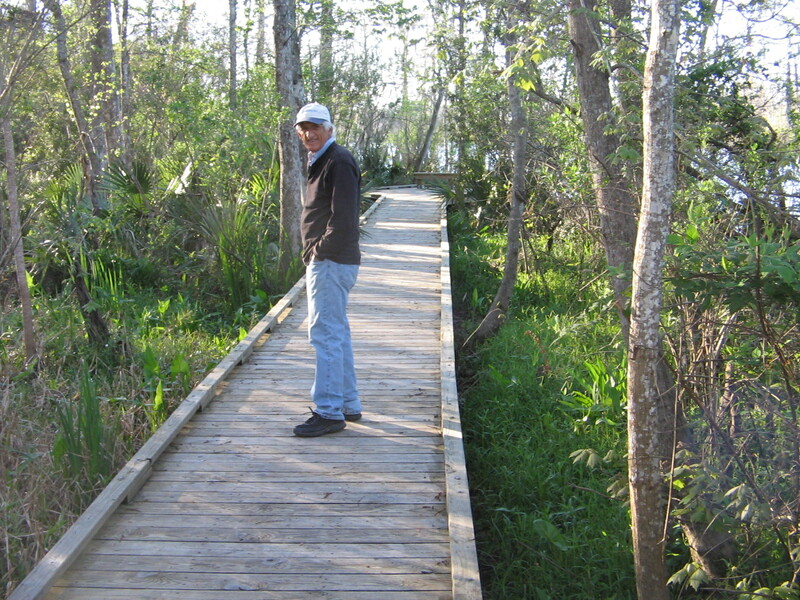 We are on the south end of the path and the 9 mile ride to the ending point at the north was quite pleasant. But turning around we were in for a surprise. The wind had picked up considerably and it was blowing quite strong from the south. It was a good workout getting back to our hotel. 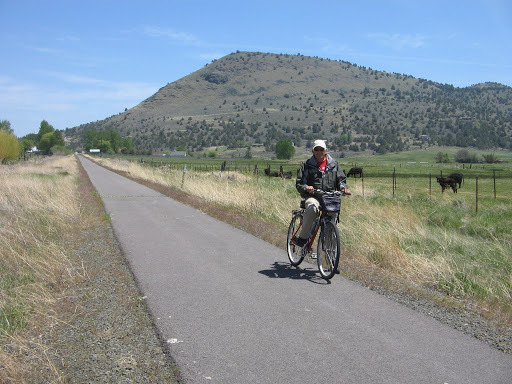 We learned a lesson from our Tramway Bike Path experience and used the prevailing winds to our advantage the next time we did a bike ride. 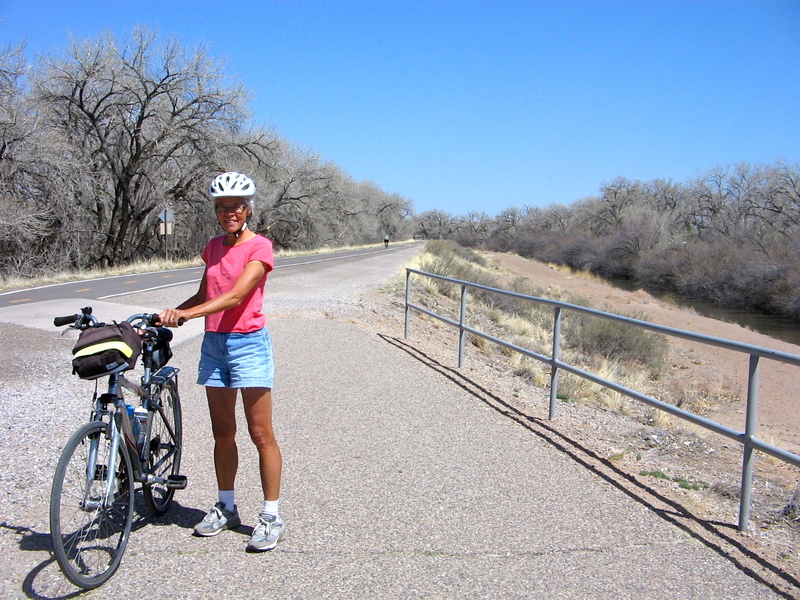 That ride was on the Paseo del Bosque Bike Trail, which basically parallels the Tramway Bike Path, but is west of the city along the Rio Grande. 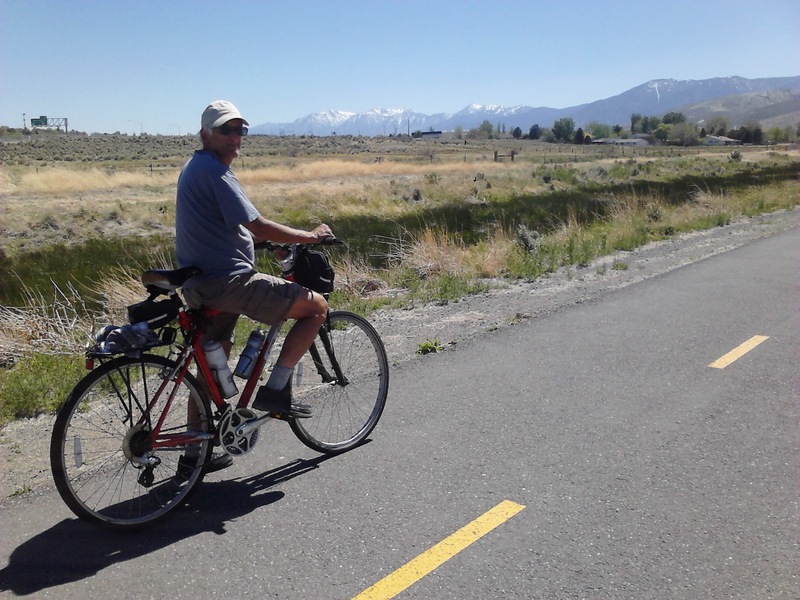 We started on the north end of that trail so that by the time we turned around in the afternoon to head back north, the south winds were tailwinds, instead of headwinds.On the Paseo del Bosque Bike Trail. 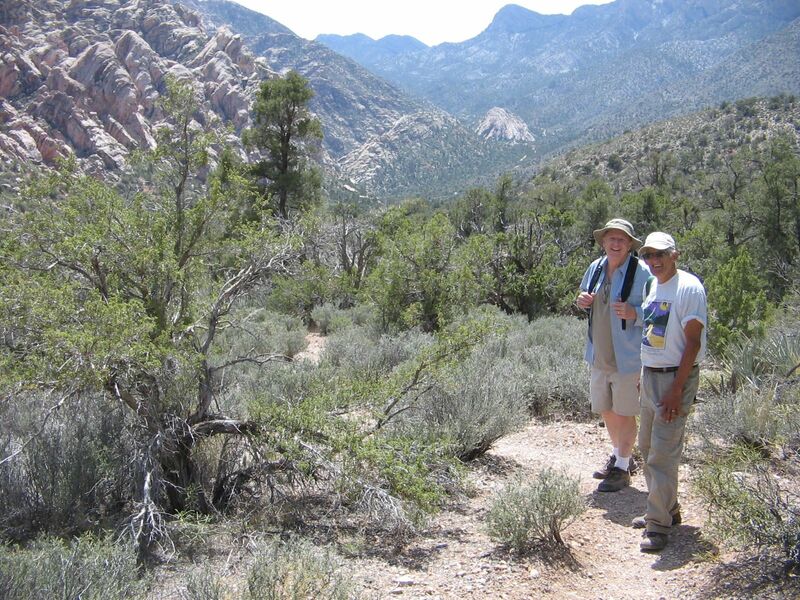 Besides bike riding, we have also taken several walks in surrounding desert areas. 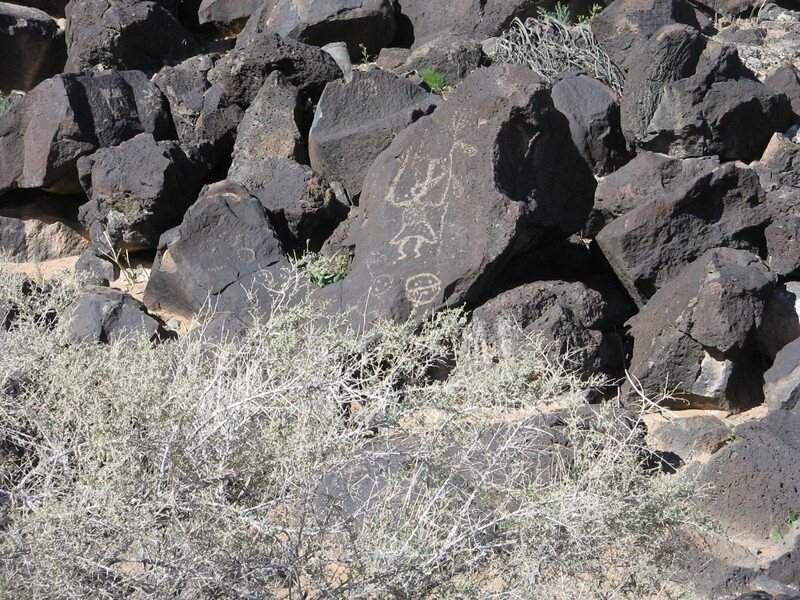 We wanted to visit Petroglyph National Monument, but to get the full picture of the history and geology of this area it required making two separate visits. 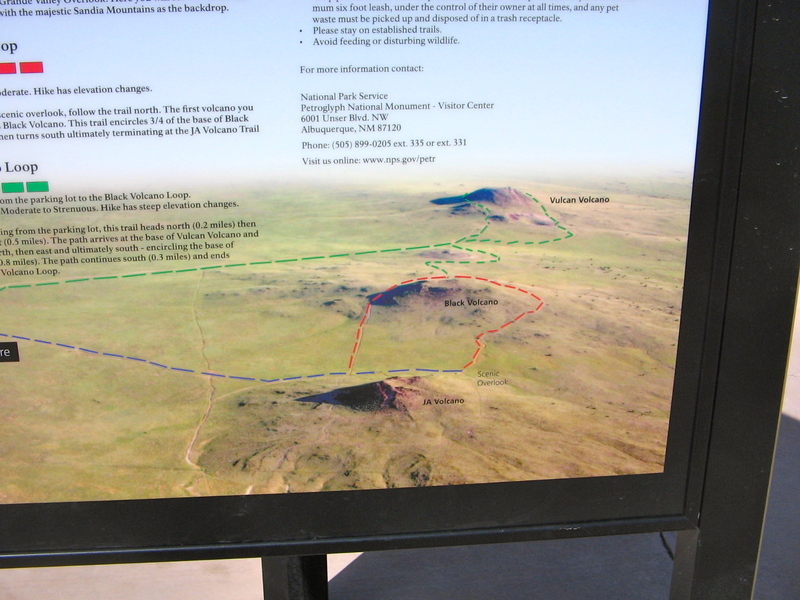 One visit was to the western boundary of the monument to walk through the area known locally as the Albuquerque Volcanoes. 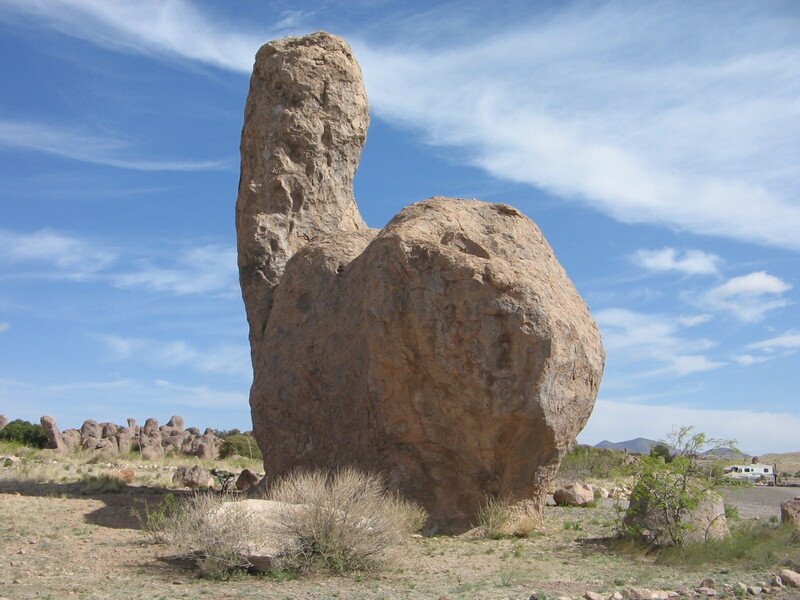 Volcanic formations at Petroglyph National Monument. These formations are what’s left of the “fissure” volcanoes where the magma that rises up comes from cracks or fissures in the earth rather than through a central vertical vent. 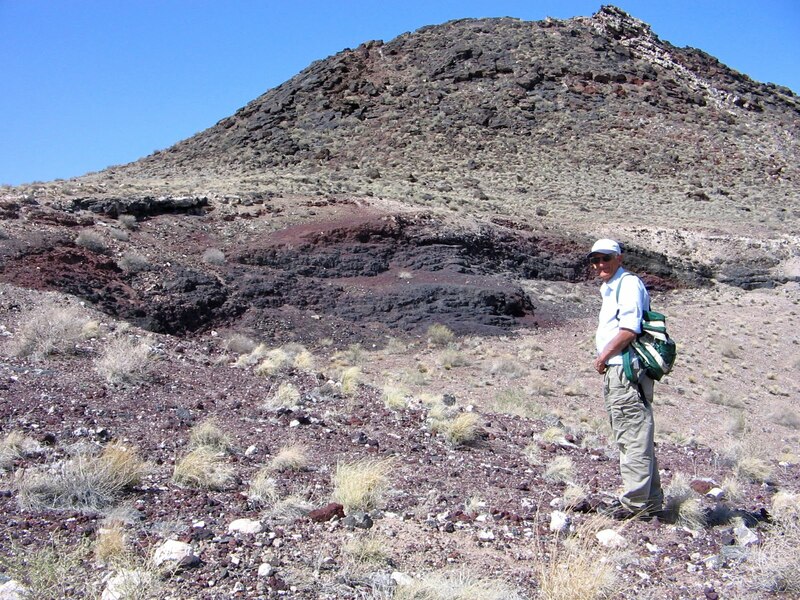 The volcanic activity here created the boulder-strewn escarpments that were used by American Indians and Spanish settlers as backgrounds for more than 20,000 petroglyphs. 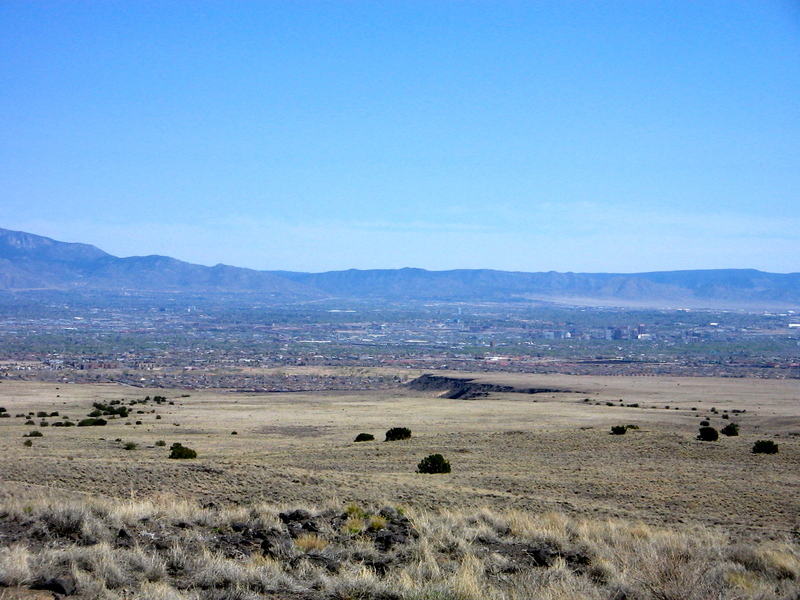 View from path around 3 volcanoes looking east towards Albuquerque. 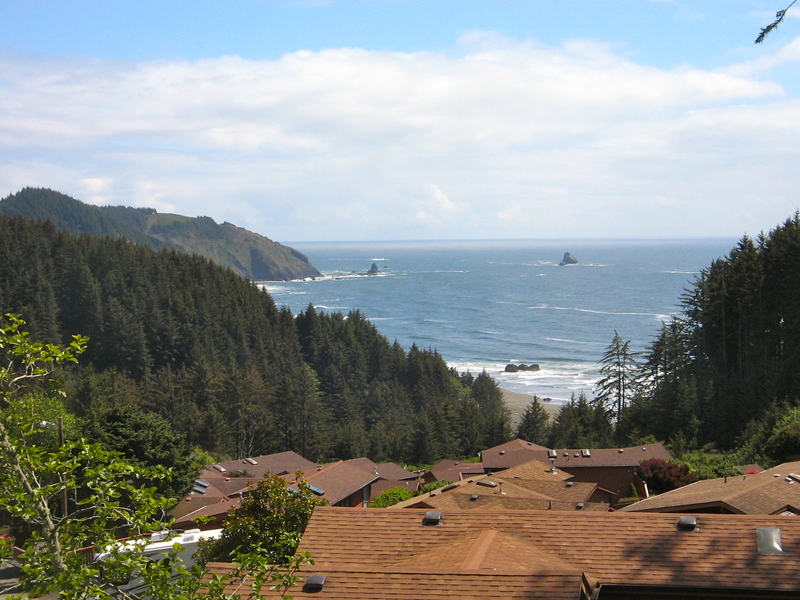 The basalt escarpments are barely visible from here as the black cliffs in the middle of the photo. View of cinder cone remnants on side of Vulcan Volcano, the third one on the loop trail. 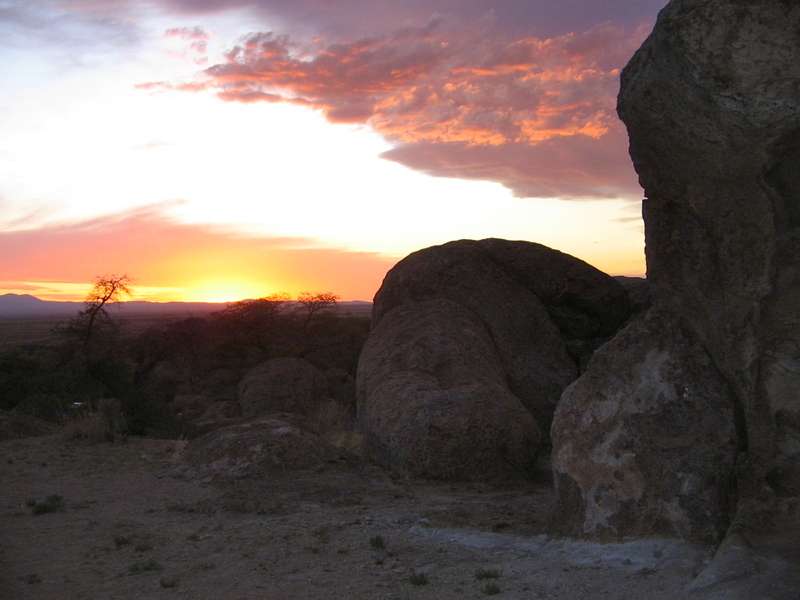 To see the petroglyphs and walk through the escarpments was another visit to the monument. 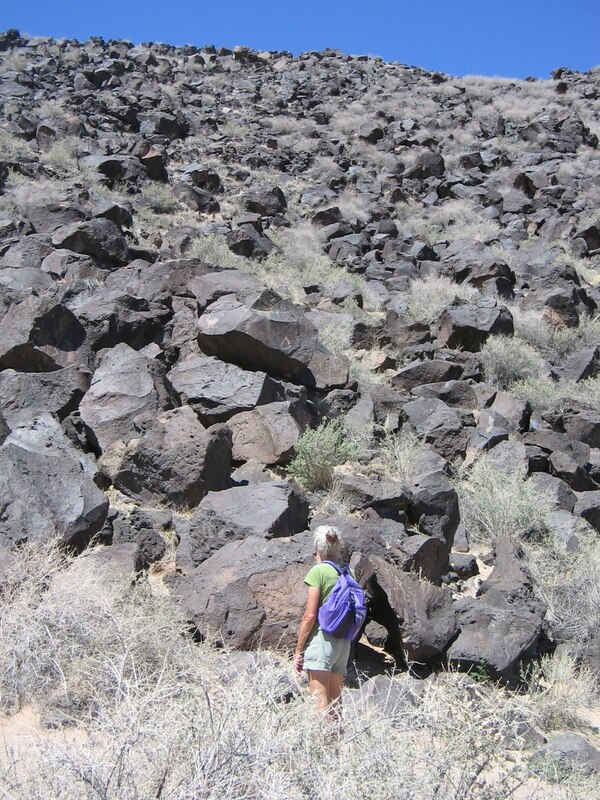 We had to look closely up the piles of boulders to see petroglyphs. I’m sure there were many that we overlooked. 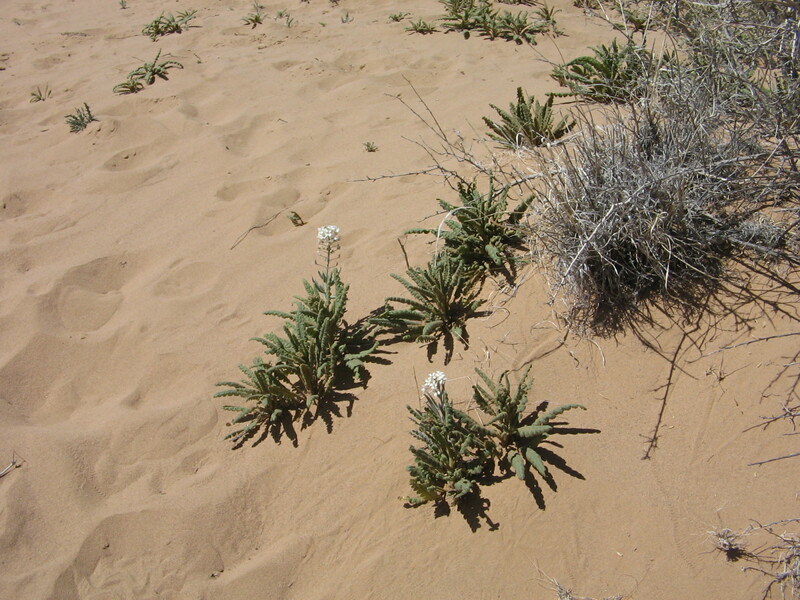 An example of some of the desert blooms. 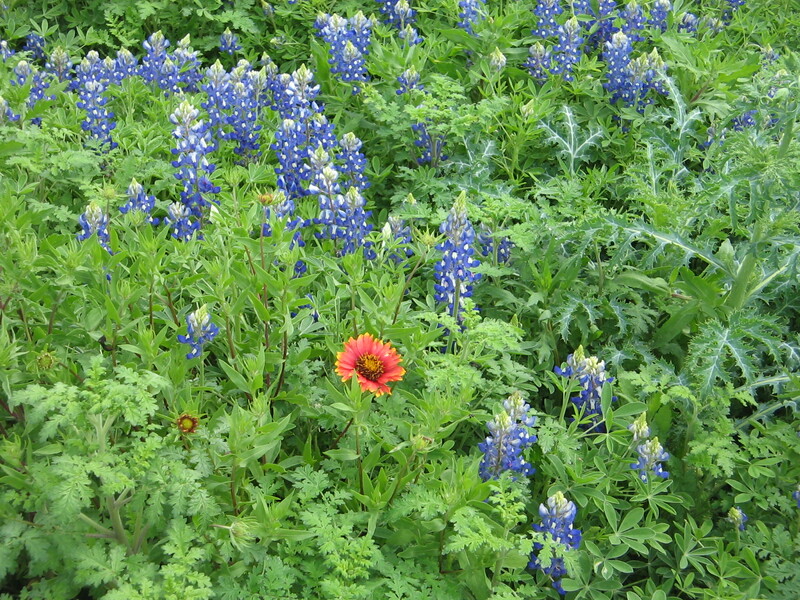 It doesn’t seem possible that anything could bloom in such dry soil. 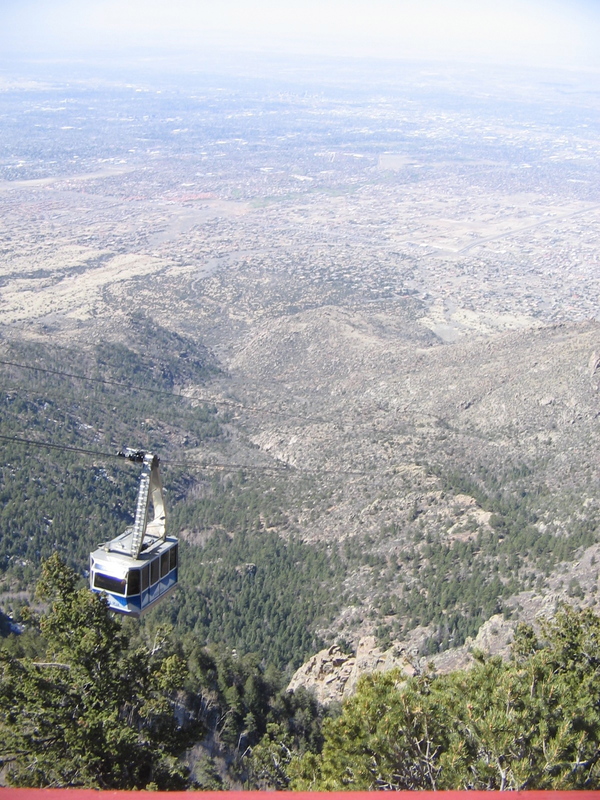 Today’s adventure was to ride the Sandia Peak Tramway from its start at the northeastern edge of the city to the crest of the Sandia Mountains. On a couple of our other excursions around the foothills we had been able to catch glimpses of the tramline and support towers and once or twice a tiny tram car creeping its way up the incline. So it was fun today to actually be there and find out what it was all about. A tram car going the opposite direction of our car. We had been warned to dress warmly as it can be quite cold and windy at the top. We were fortunate that the winds today were not strong, although I was glad to have my jacket and a couple of extra layers of clothes. 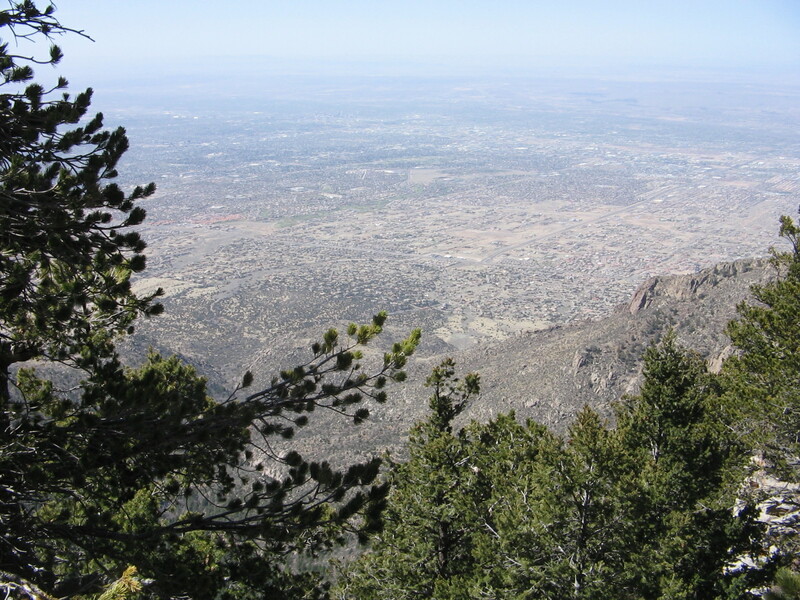 Once at the top, there are great views looking westward toward the city, as well as eastward on the other side of the crest where it’s possible to see Santa Fe and other mountains in the distance. 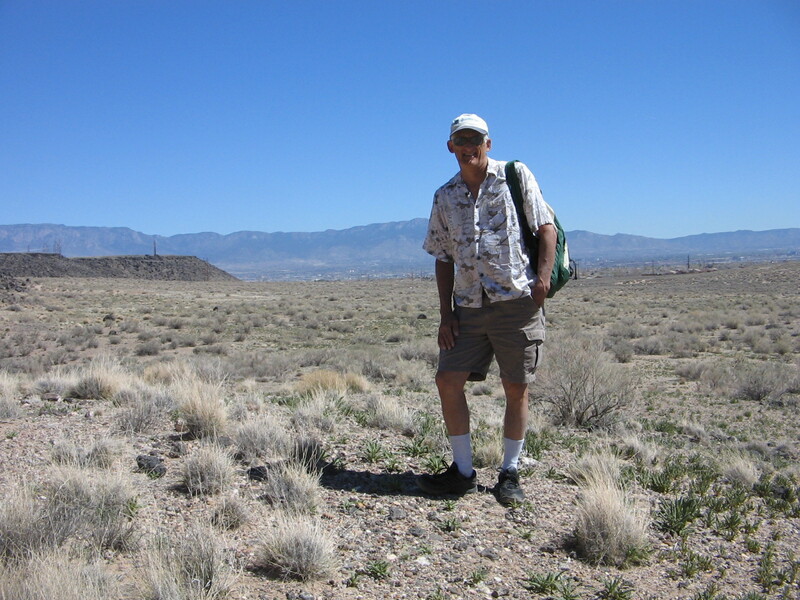 Lee’s cousin, who has lived in Albuquerque for many years, acted as our tour guide, pointing out landmarks in the city and valley below. The other side of the crest has a ski area, which only recently closed for the season. 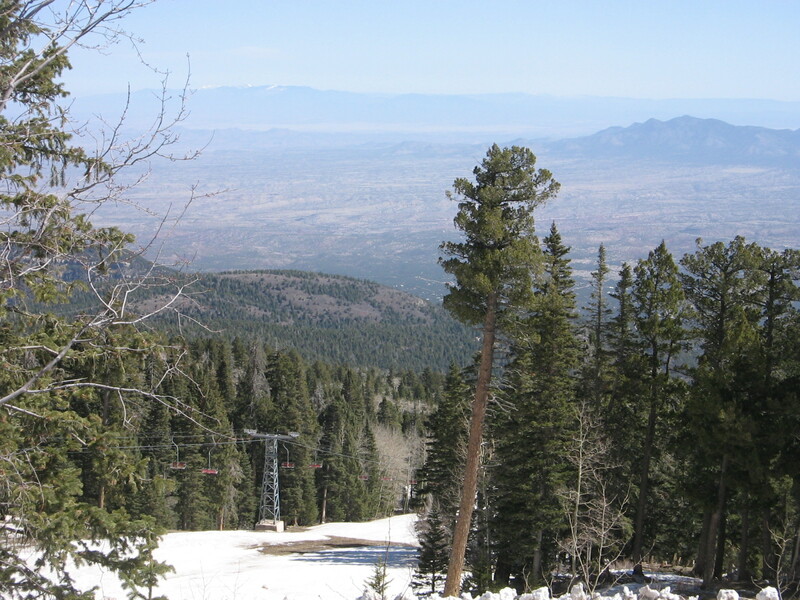 The leftover snow on the slopes and the chair lift for the ski area. It’s nice to have a 10,000 foot view of the city but I was more than ready after an hour or so in the cool mountain air to ride back down the mountain and enjoy the desert warmth and sun for the rest of the day. 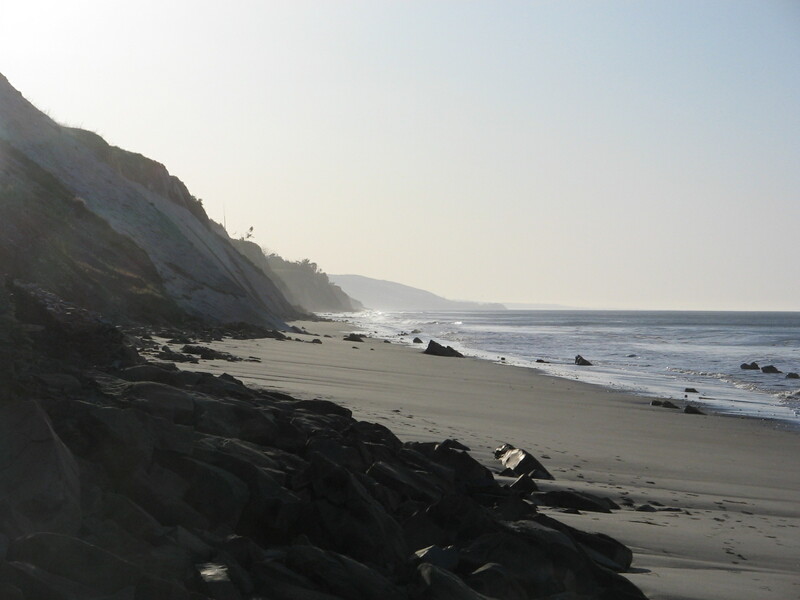 I look forward to another week here as we continue to explore the area and soak up the sunshine. 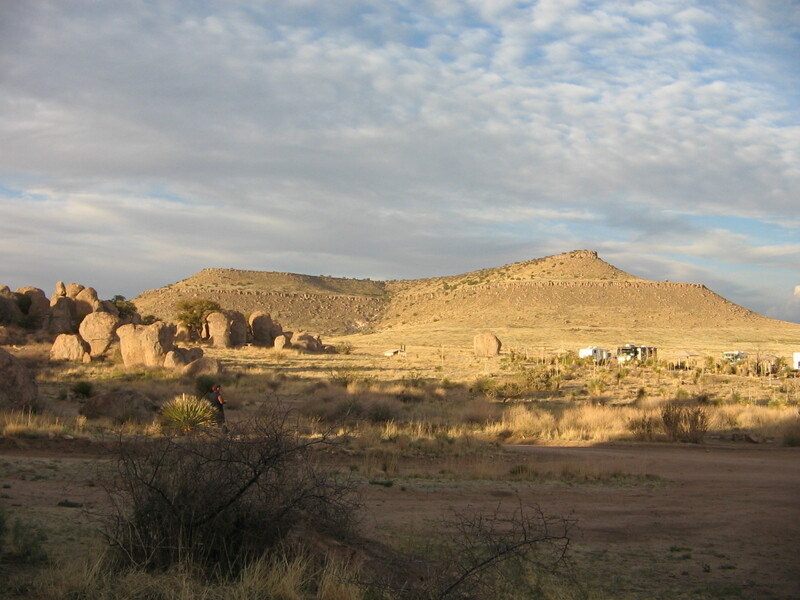 We are glad to be back this evening to where it is warmer in the southern part of New Mexico. After 2 nights in a campground it is also refreshing to be in a motel room again. 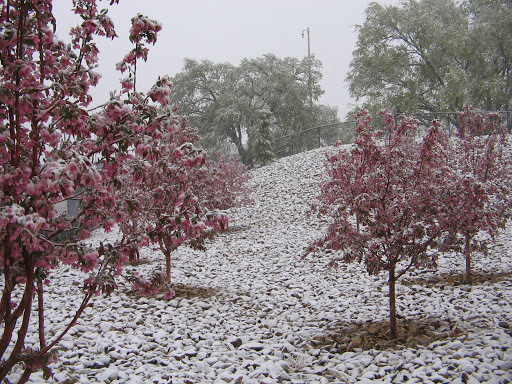 The snowfall that surprised us Tuesday in Albuquerque didn’t stay around for long. 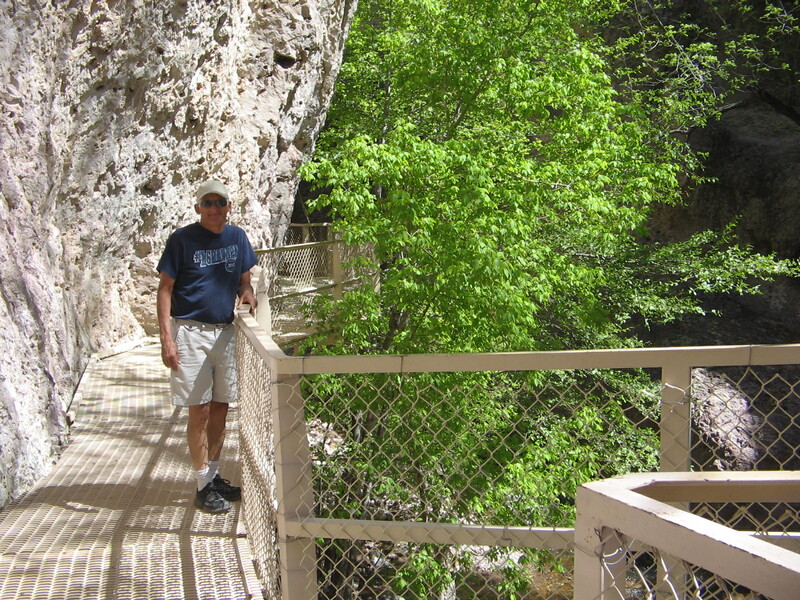 We had a couple of more days at our extended stay to enjoy activities in Albuquerque. 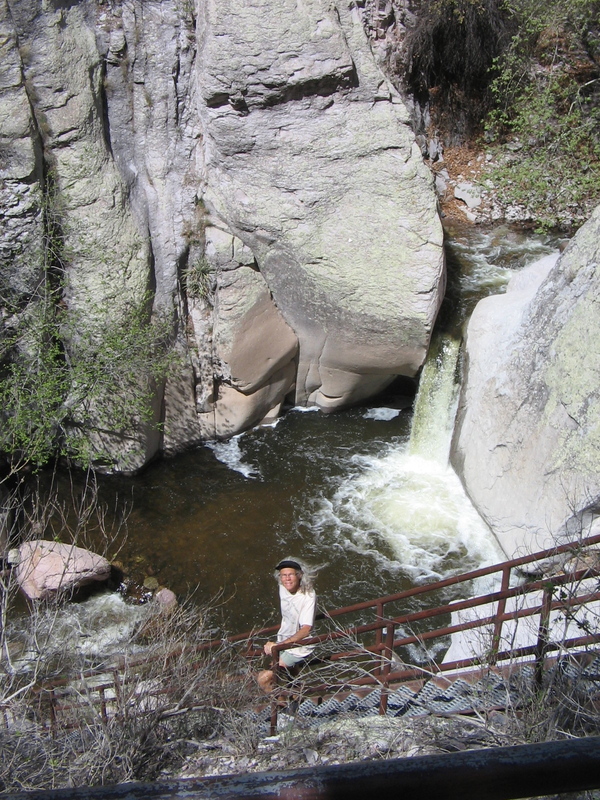 One of those days we drove up to the Jemez mountains and visited Jemez State Monument. 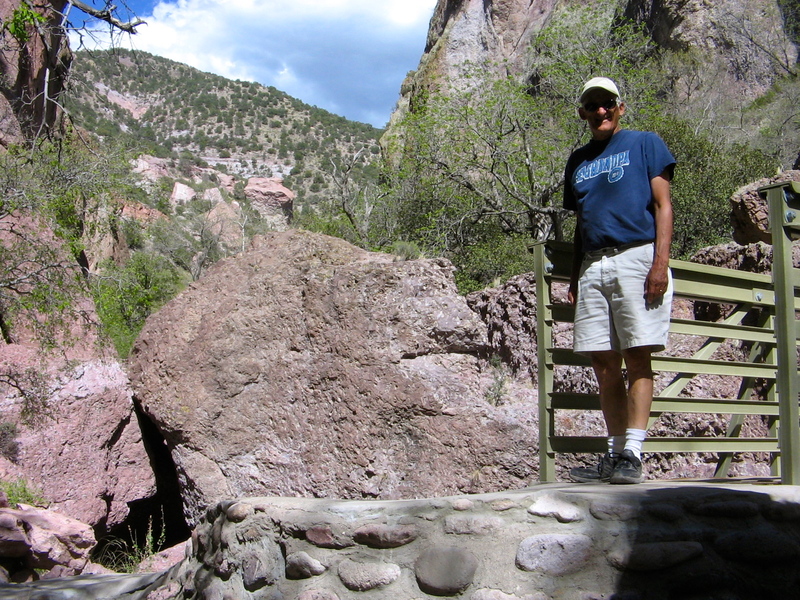 This was an opportunity to view some beautiful scenery and to tour the ruins of San Jose de los Jemez church that was built in the 17th century during Spain’s colonization of New Mexico. 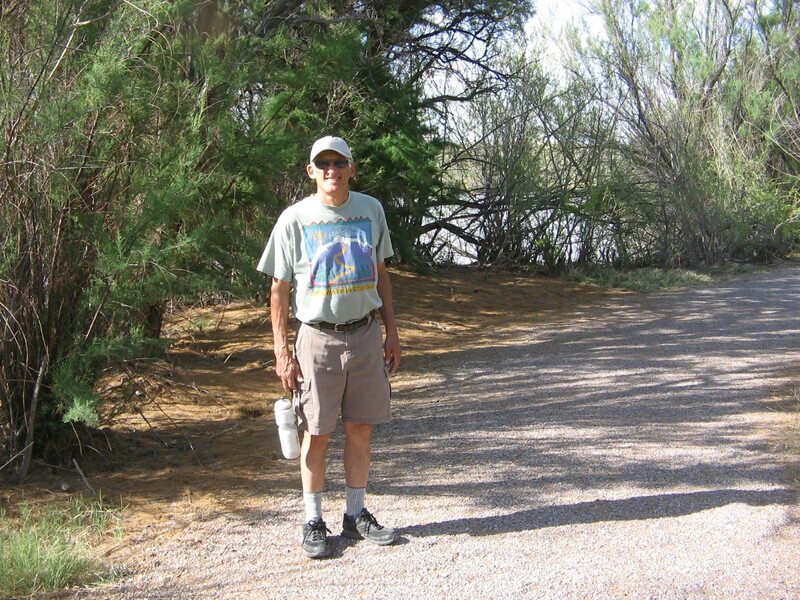 On Thursday we left Albuquerque and headed northwest, stopping at El Malpais National Monument. 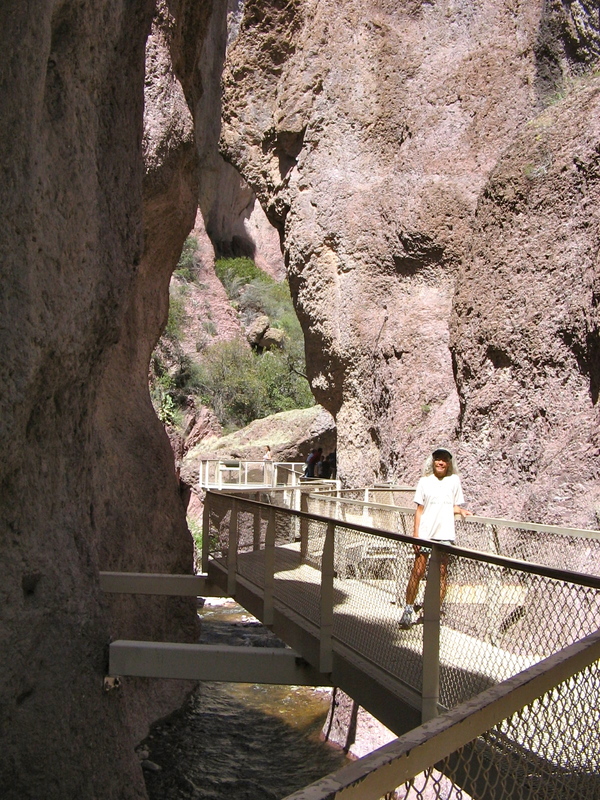 We didn’t have time to view the whole area, but headed to El Calderon, where there was a picnic area to eat lunch and then a short hike to view the volcanic formations. 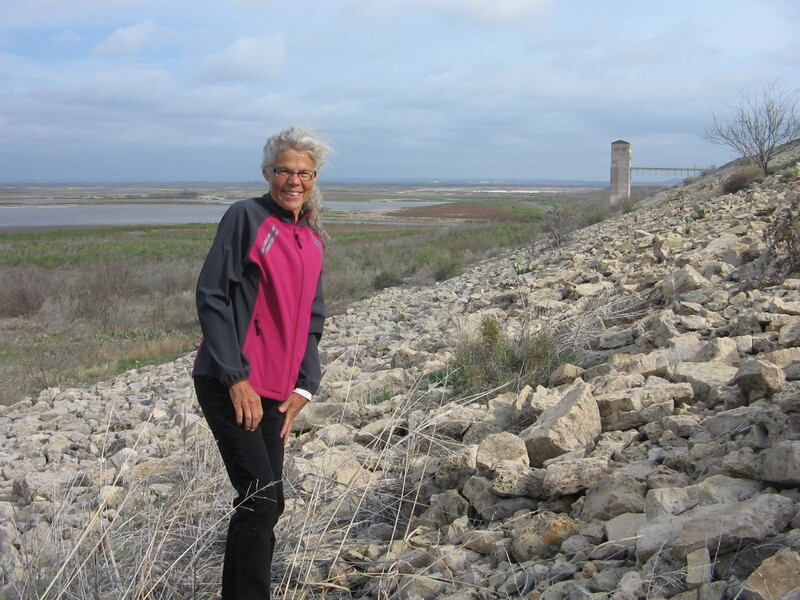 Our endpoint for the day was Bluewater Lake State Park, where we set up camp, cooked dinner and then had time to walk up to a scenic overlook of the dam and lake. 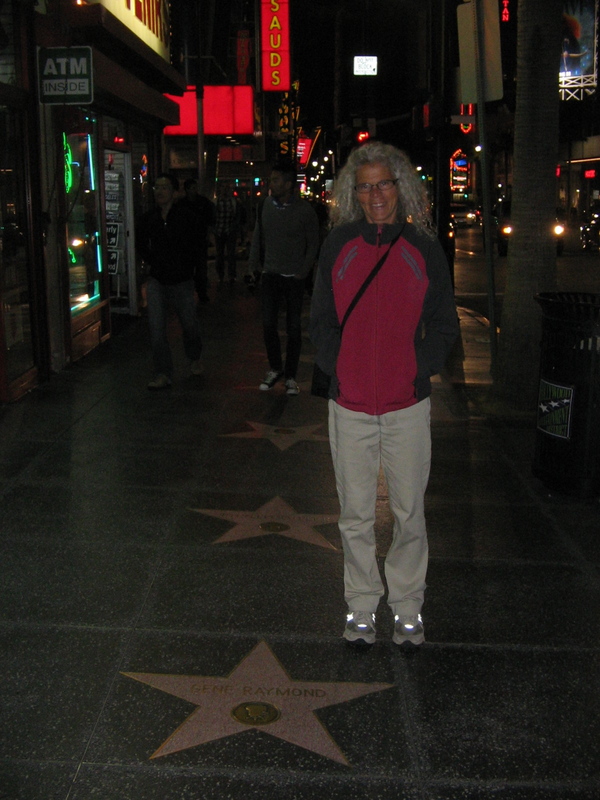 It was quite overcast that evening, but the clouds cleared up during the night and there was no rain. The weather change, however, did bring very strong winds the next day. 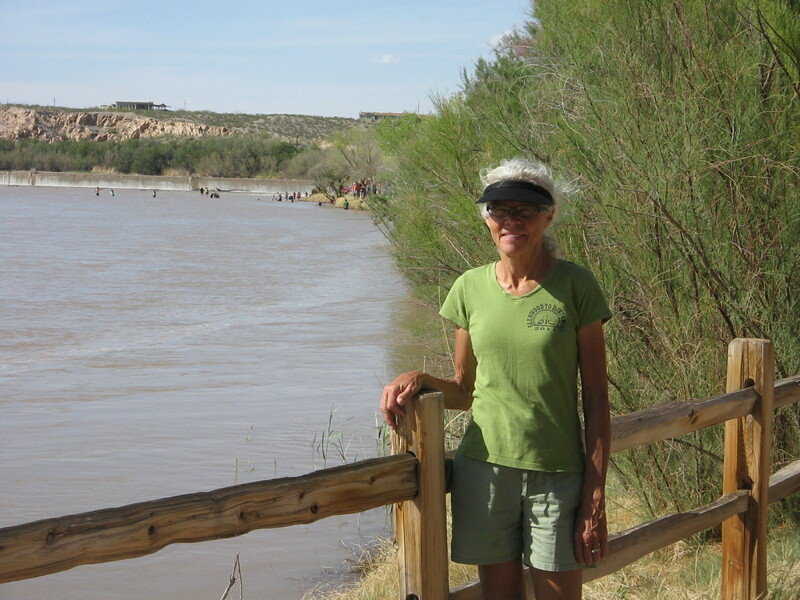 Most of that day was spent driving to Chaco Canyon, an important site in understanding the culture and history of the southwest, but, also, a very out-of-the-way place. The last 20 miles of the drive was over an unpaved, rough dirt road. This morning when we crawled out of our sleeping bags we didn’t waste any time sitting around our campsite. The temperatures overnight had plunged into the 20’s. The water that we had in our water bottles was frozen! 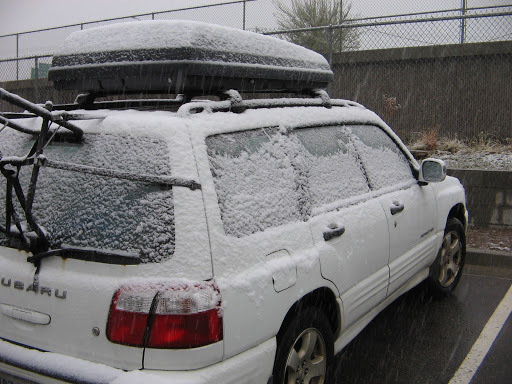 It was difficult taking down the tent and packing the car because without gloves our hands and fingers were numb. 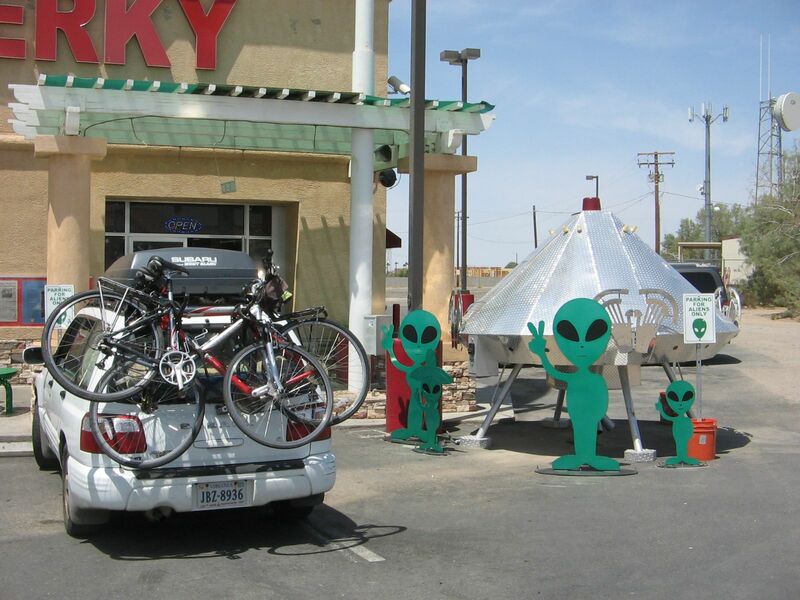 But 250 miles later we are in Las Cruces, New Mexico, where it was 80 degrees this afternoon. We wanted to be back to civilization this evening so that we could attend Easter Sunday services tomorrow. 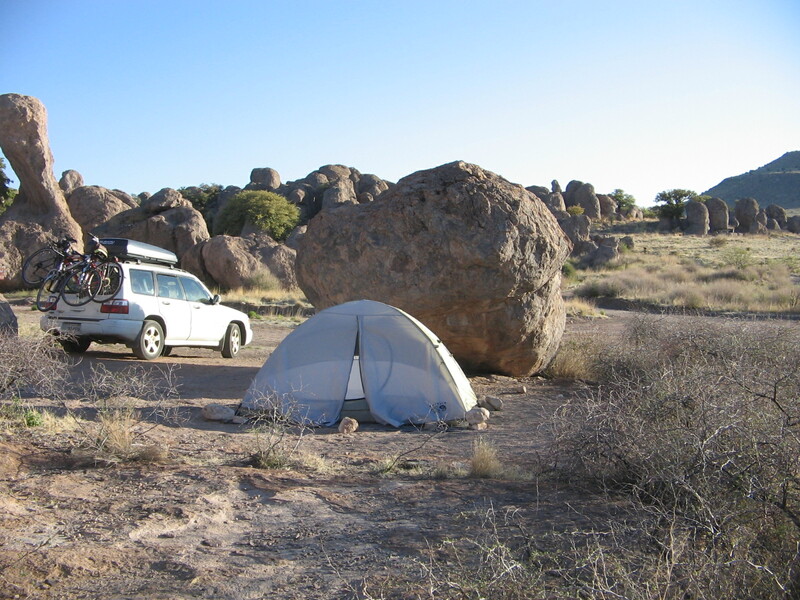 After that, if the weather looks promising, we will do some more camping. But this time it should be a lot warmer! 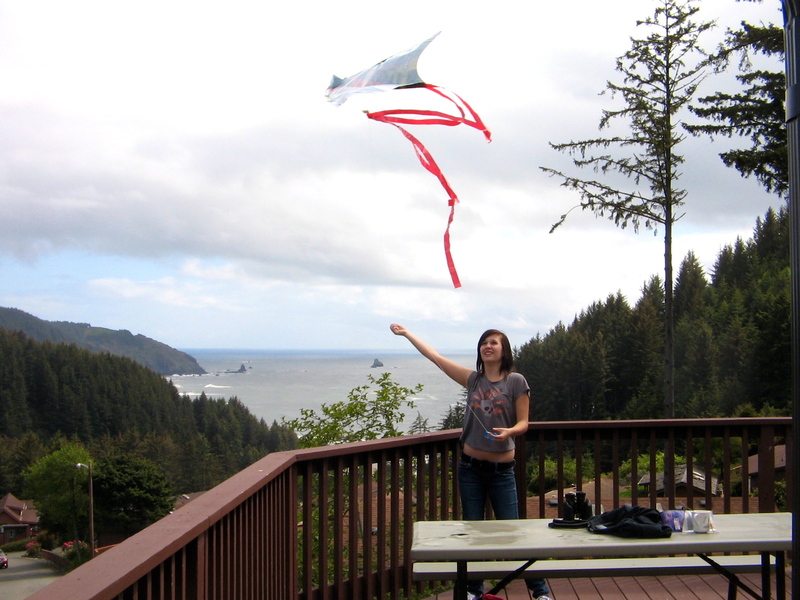 Check out the photos from this week’s activities. 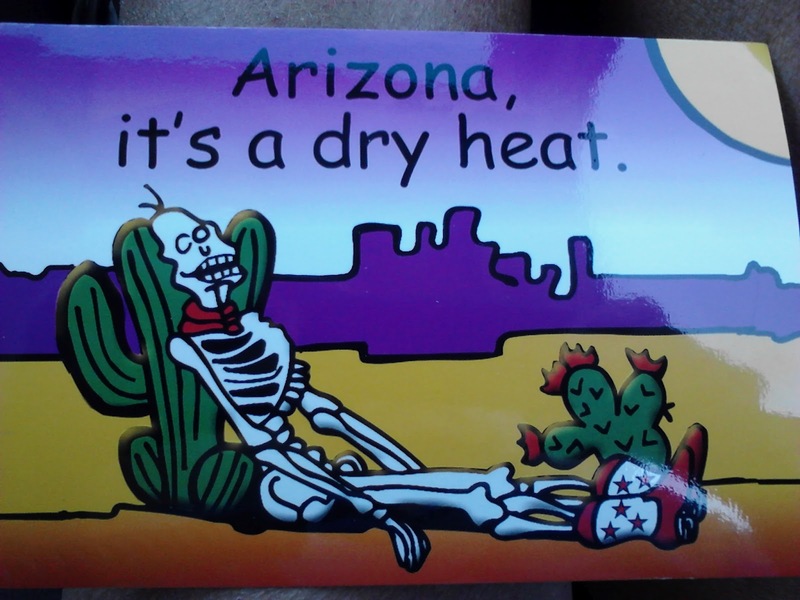 When the summer heat would hit Virginia, the standard phrase I used to compare Virginia’s heat to years I’d spent in the southwest, was “it’s a dry heat.” I guess that’s why I thought this postcard was so hilarious. Our first couple of days in Phoenix were quite chilly, as a storm front had passed through the state bringing clouds, wind and cooler than normal temperatures. Fortunately, we didn’t need to be out in the weather, but, instead, were spending time at Agnes’ house in Chandler, AZ. Agnes was a wonderful hostess. It had been a long time since we had been there for a visit and we had lots of catching up to do. 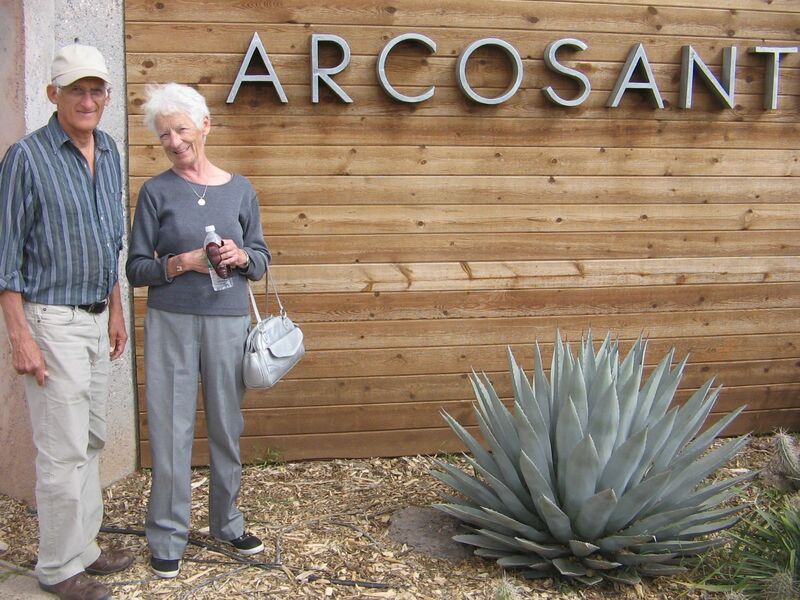 The three of us took a Sunday afternoon drive north of Phoenix to visit the experimental community of Arcosanti. 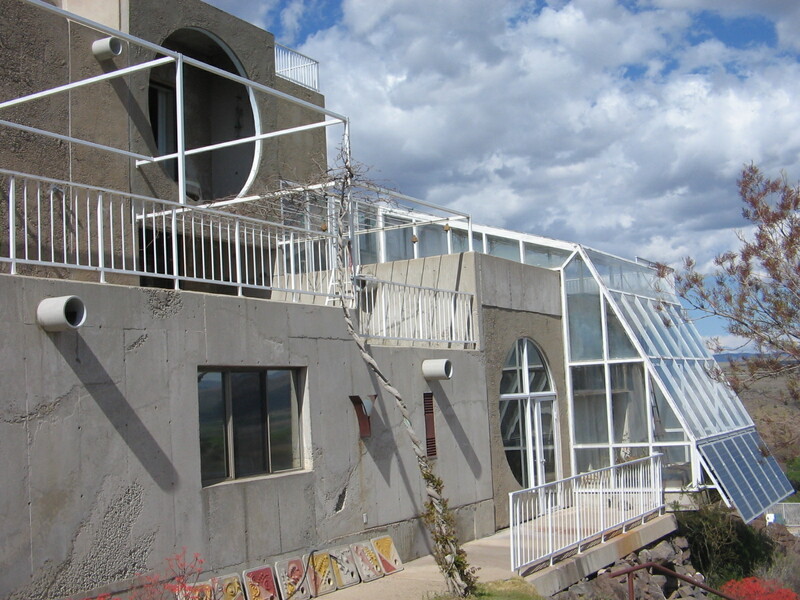 One of the residential areas of Arcosanti. 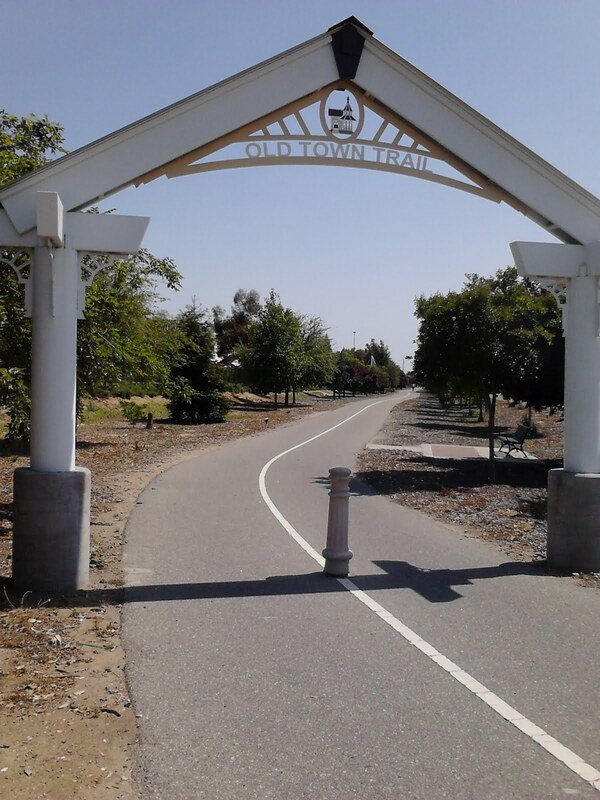 It only took a couple of days for the weather to warm back up again and by Monday we were out enjoying the abundant sunshine riding our bicycles on the Paseo Trail along the Consolidated Canal, from Chandler up to Gilbert. We combined this with a day to have some work done on our car, taking a detour from the bike path to go back through town after the shop called to let us know the car was ready for pickup. 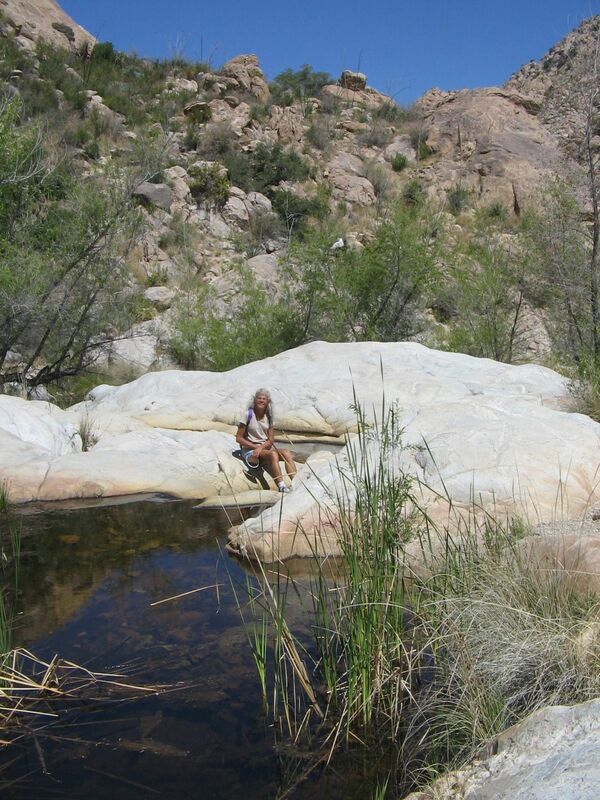 Tuesday we left Phoenix and drove down to Tucson to spend some time camping at Catalina State Park. That’s when the weather seriously began to heat up. 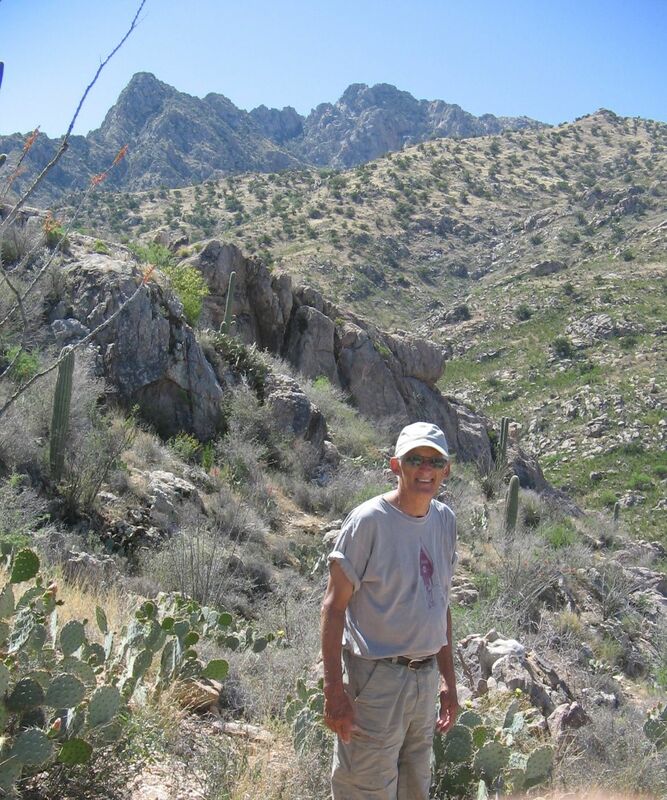 On the web page for Catalina State Park I noticed a Climate chart that showed the average April high temperature to be 73 degrees. 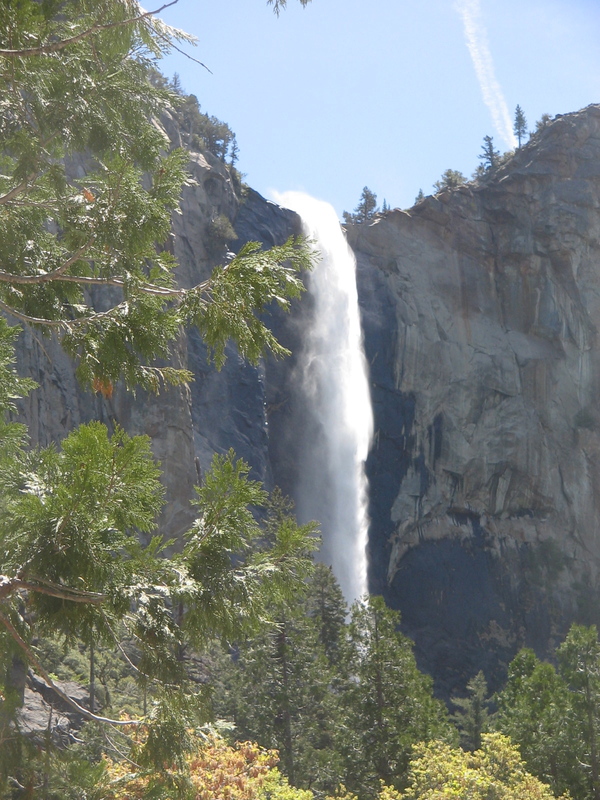 Since we’ve been here the daily highs have been in the 90’s–more like July temperatures. 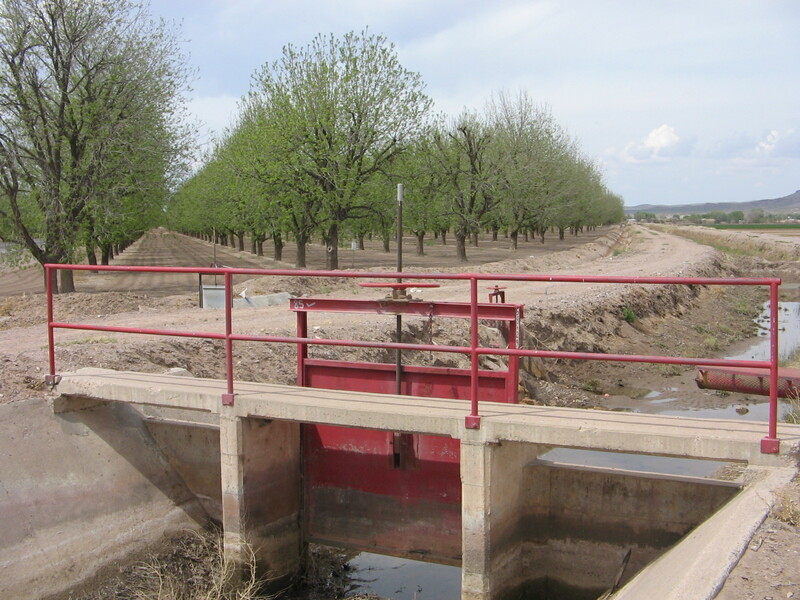 We’ve learned to adjust to the heat, making sure that we always have plenty of water and access to shade. 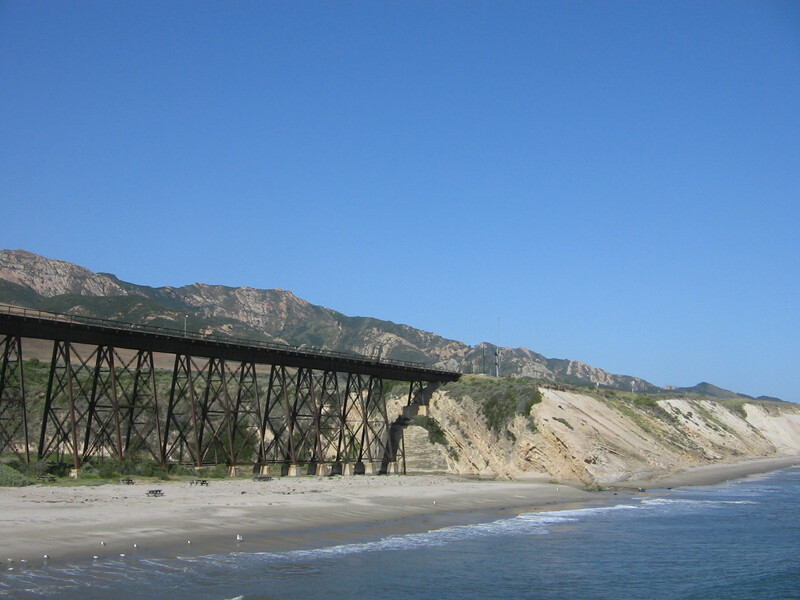 Catalina is close enough to urban areas that we can also retreat to air conditioned stores or visitor centers. For example, at the present we are comfortably working on our computers in the heat of the day at the public library in downtown Tucson. 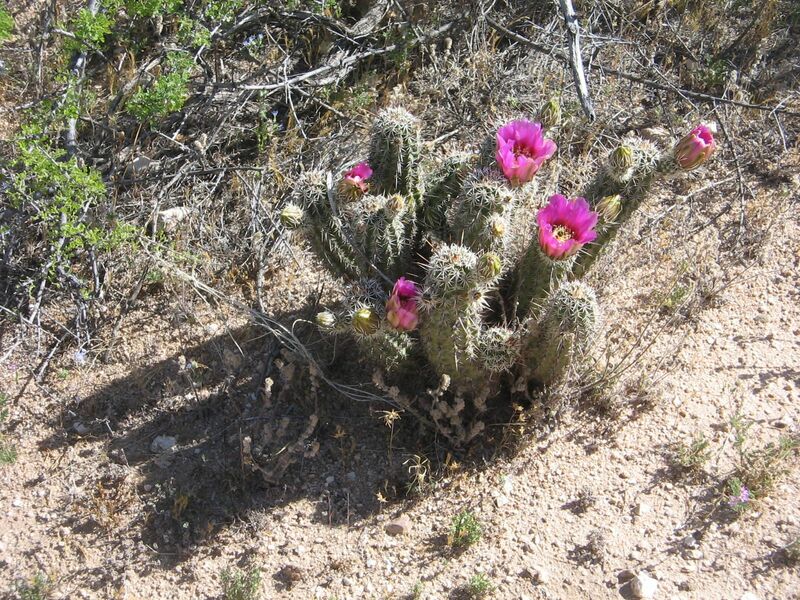 Love the desert in bloom. 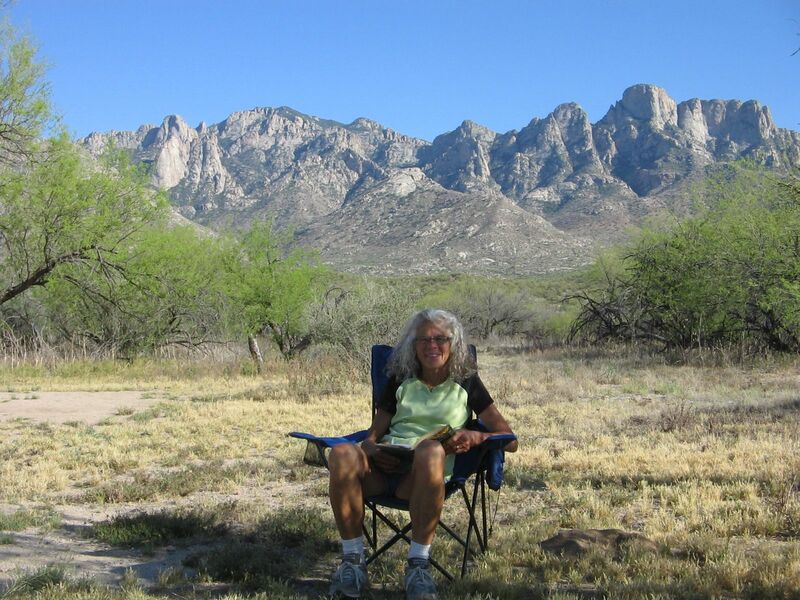 Relaxing in camp at Catalina State Park. 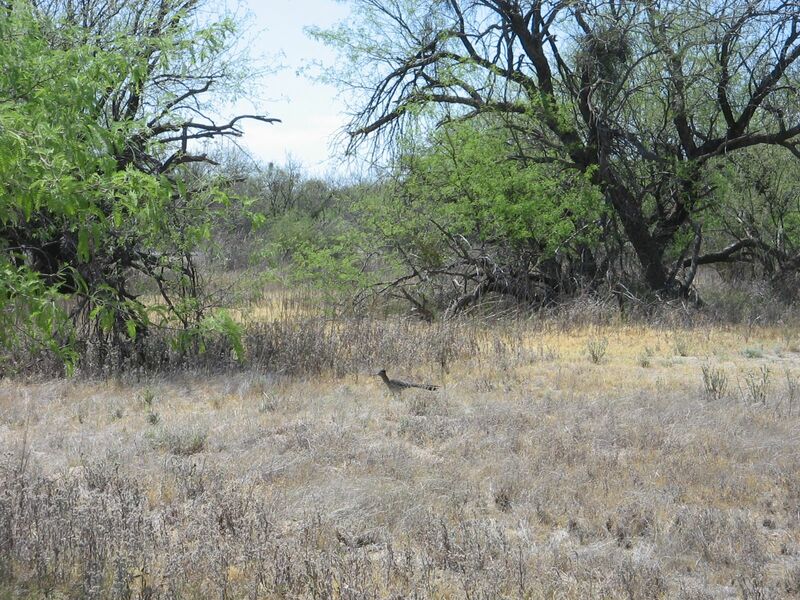 A glimpse of a roadrunner dashing through the campground. 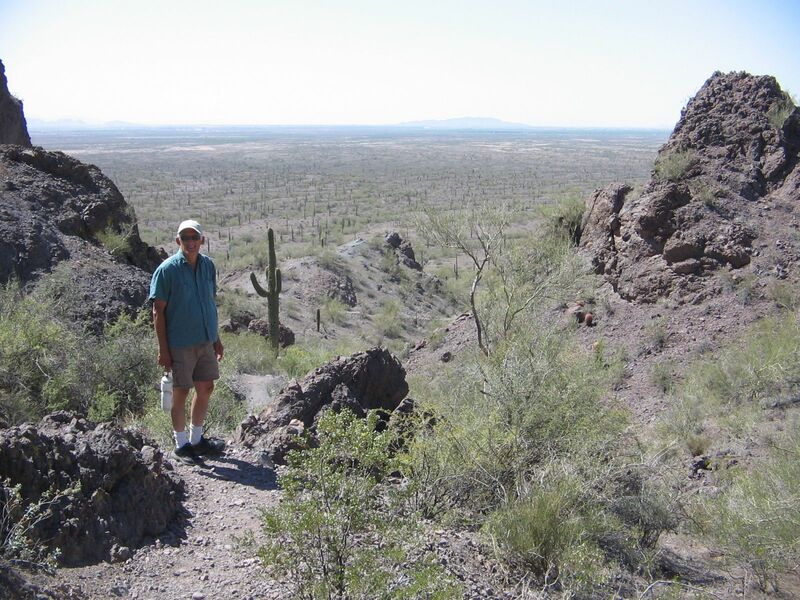 Hiking at Picacho Peak State Park on the way to Catalina State Park. 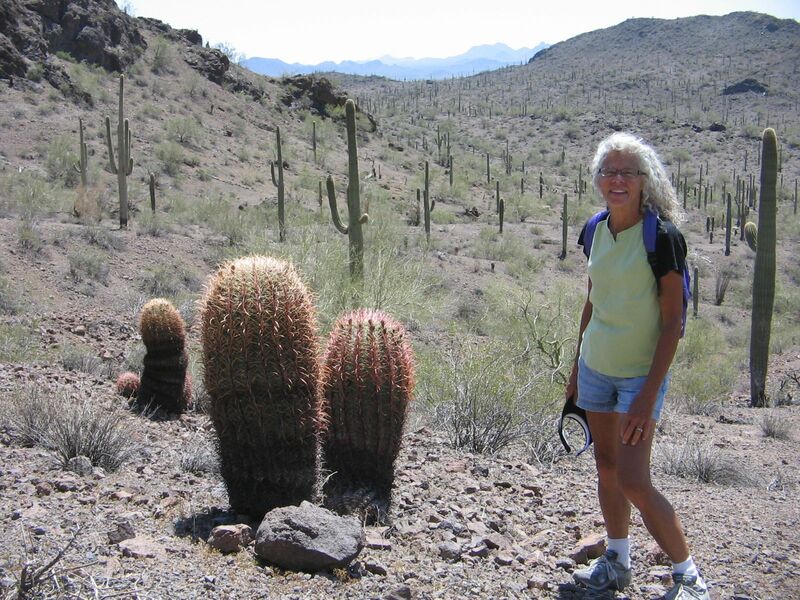 Barrel cactus on Picacho Peak trail, saguaro cactus in background. 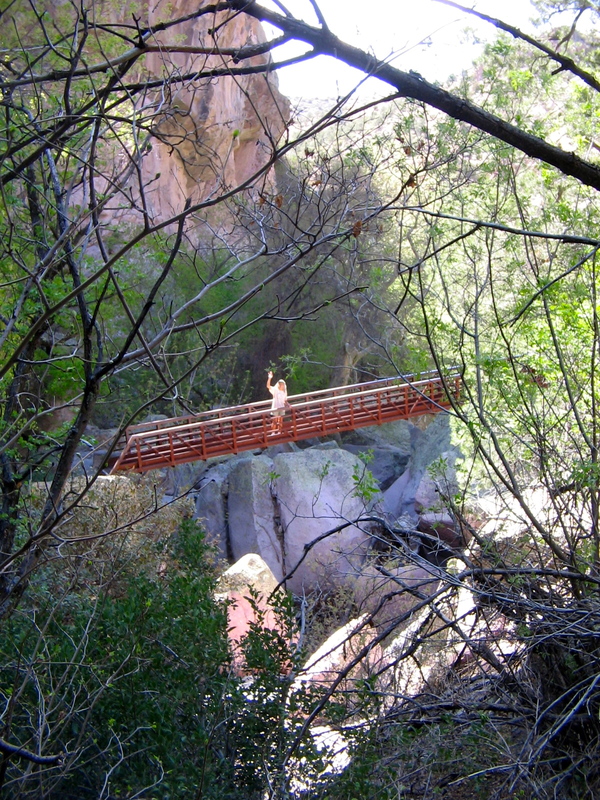 Hiking the Romero Canyon Trail in Catalina State Park. 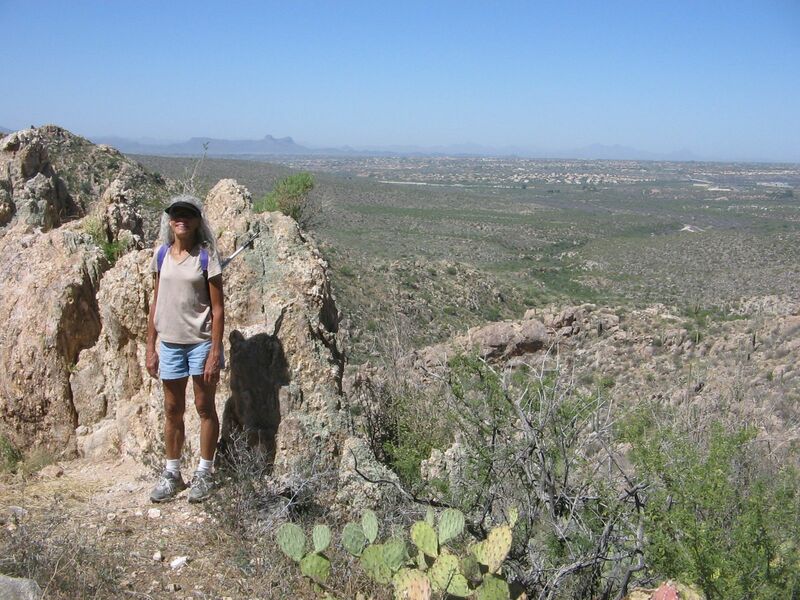 On the Romero Canyon Trail, in the distant background is Picacho Peak, where we had hiked the day before. 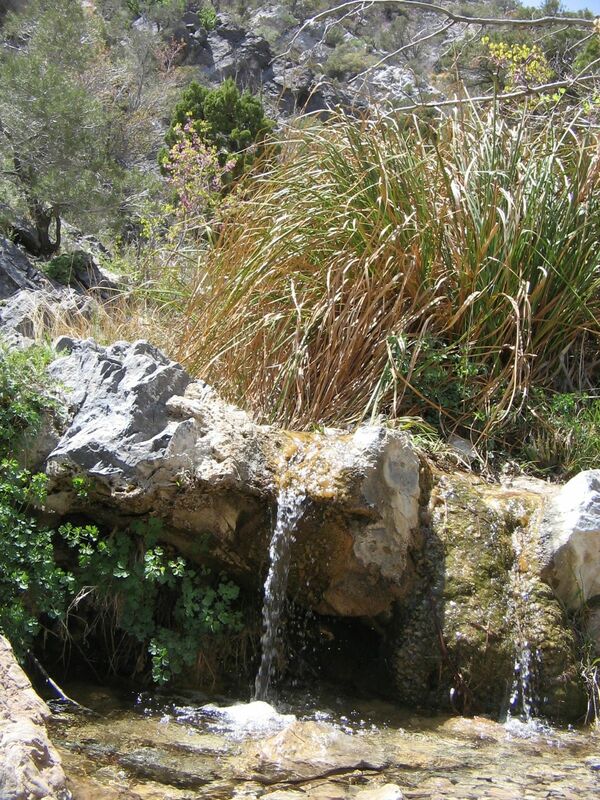 Destination on Romero Canyon Trail was to several small pools at a stream crossing up the canyon. 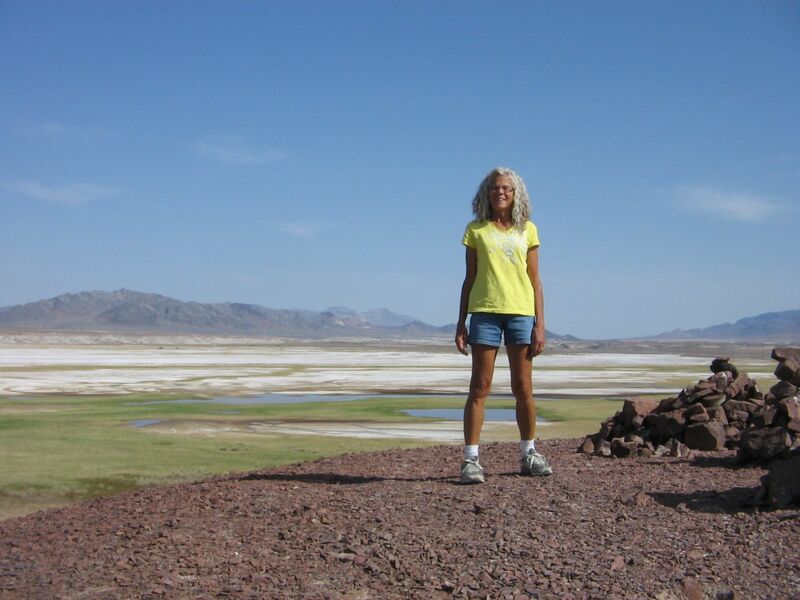 This weekend we plan to leave southern Arizona and make our way to St. George, Utah. 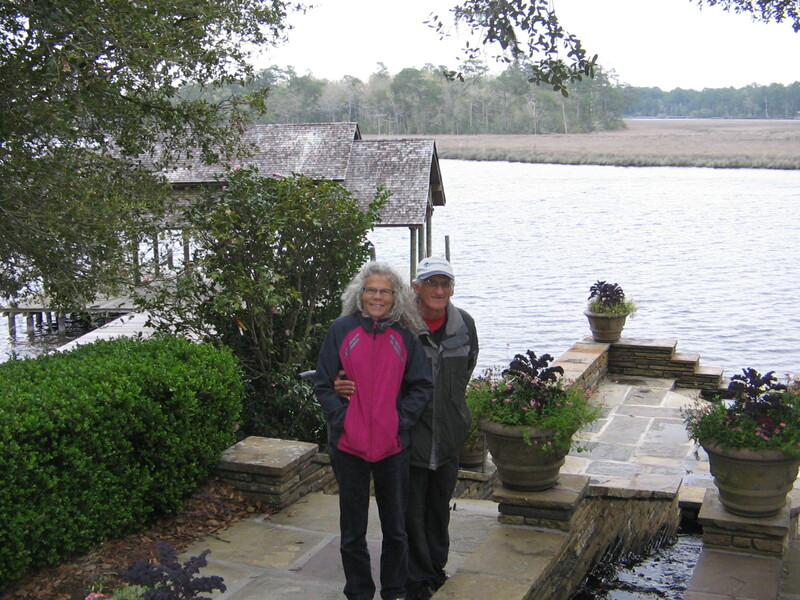 We have heard good things about the city as a retirement destination, but neither of us has been there. 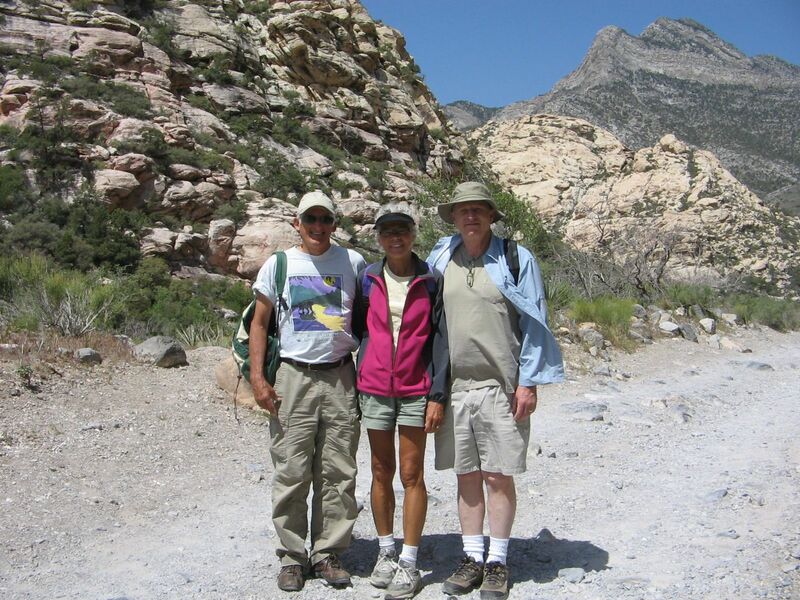 I’m hoping there’ll be time for a visit to Zion National Park, as well. The journey continues. 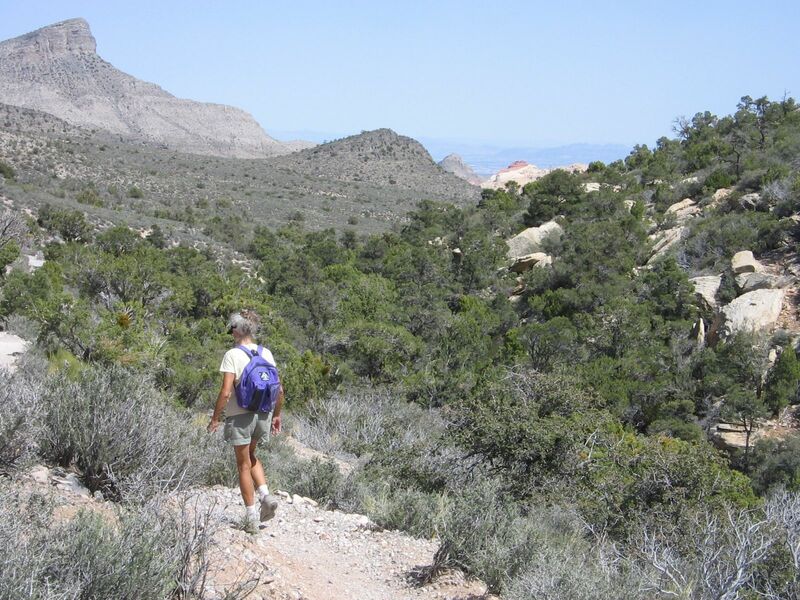 Today we crossed over into the southwestern corner of Utah, arriving at the town of St. George. 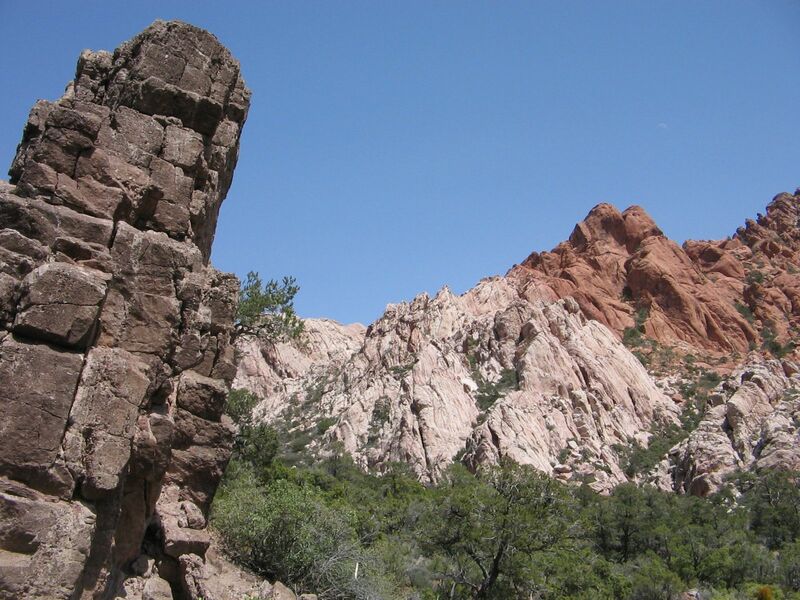 St. George is one of the places that has been on our list of possible locations where we would like to settle. We haven’t had time yet to see much of it, but we are very impressed with what we have seen. 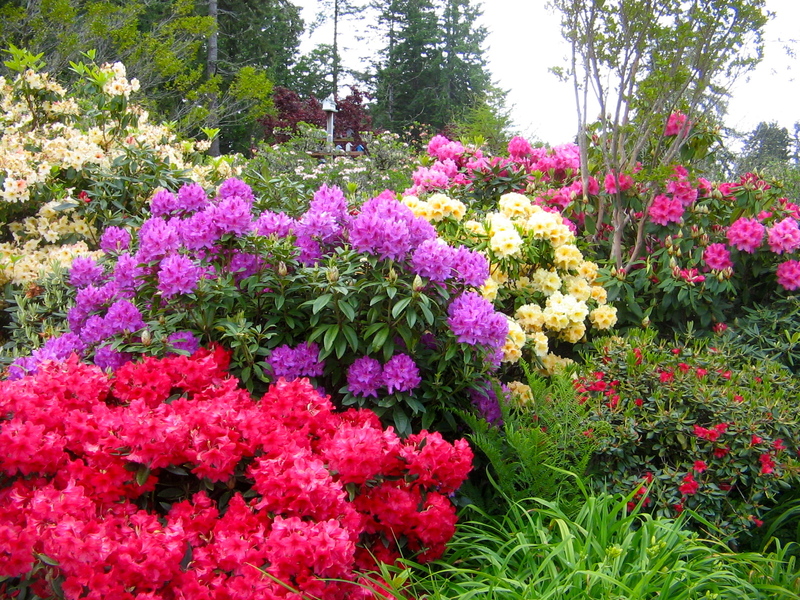 Temperate climate is one of the selling points of the city and we very much appreciated that aspect today. We left Phoenix on Saturday and as we’ve traveled through Arizona, Nevada and Utah the last several days the temperatures have soared. We have been in some places that are normally quite warm, but everyone says that these temperatures are much higher than normal for April. Joshua Trees along highway in Arizona. 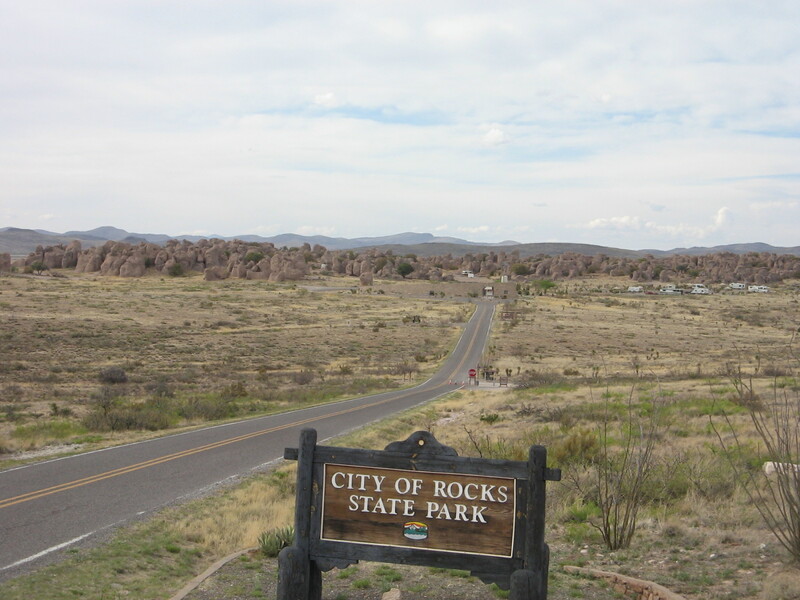 Saturday’s drive from Phoenix took us as far as Kingman, Arizona, where we spent the night. 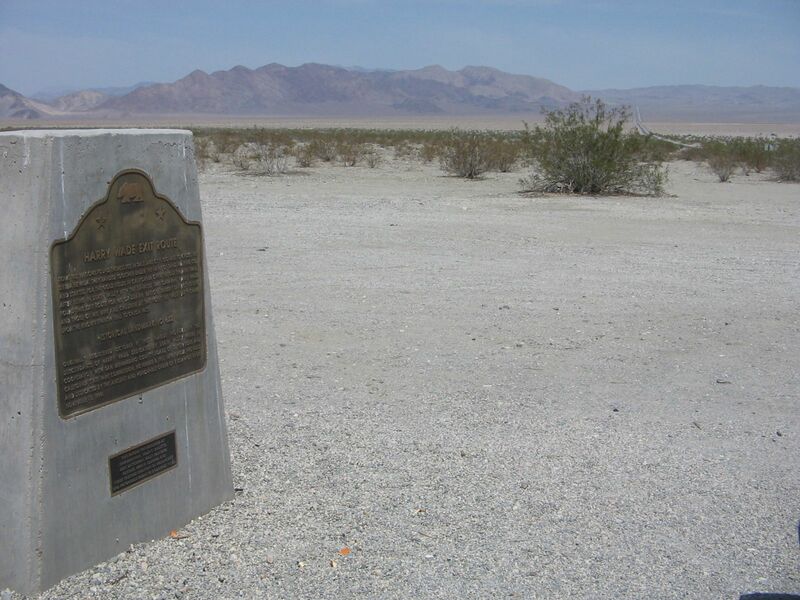 Part of the route that day went through a scenic desert area forested with the interesting cactus called the Joshua Tree. 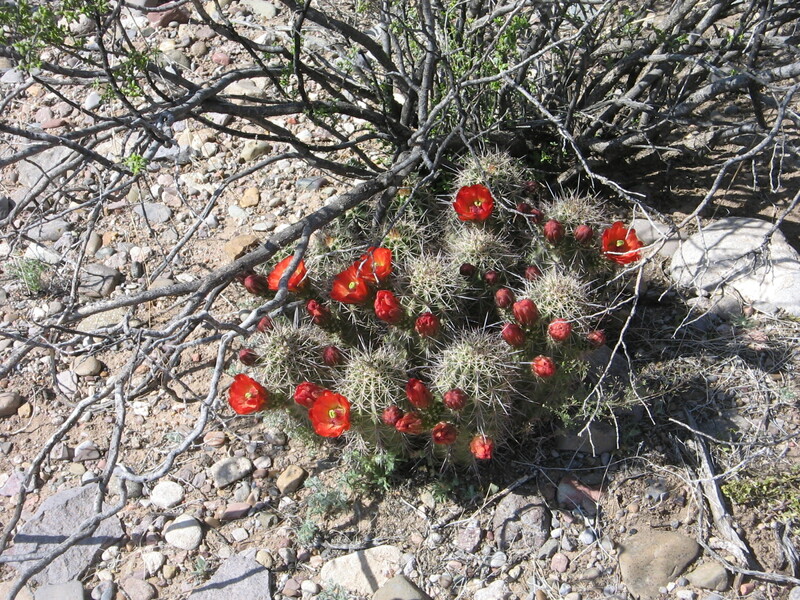 I had seen these treelike cacti in California but didn’t realize that they grow in parts of Arizona and Nevada, as well. 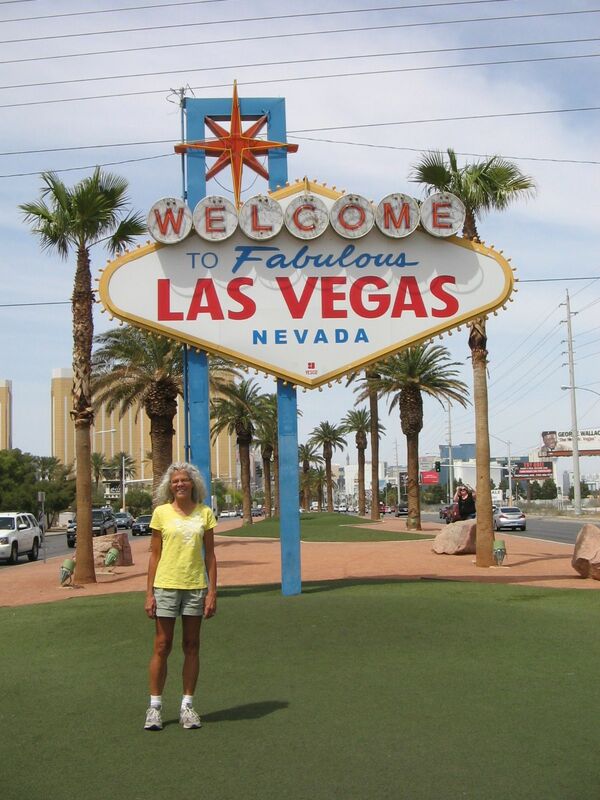 On Sunday we drove from Kingman, Arizona, across the Hoover Dam into Nevada. 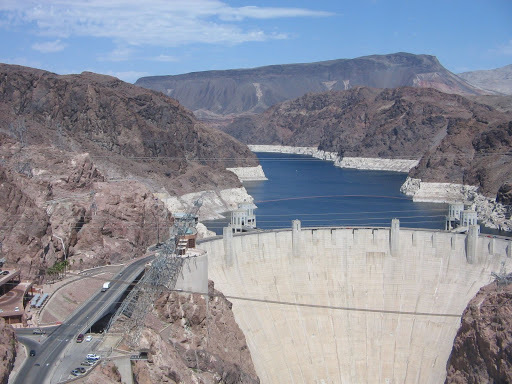 Many years ago when I had crossed the Hoover Dam the road was on top of the dam. 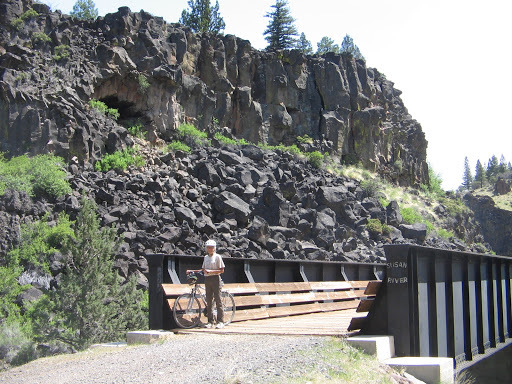 There is now a recently constructed bridge, a real engineering marvel, that was built to route the highway off the dam. 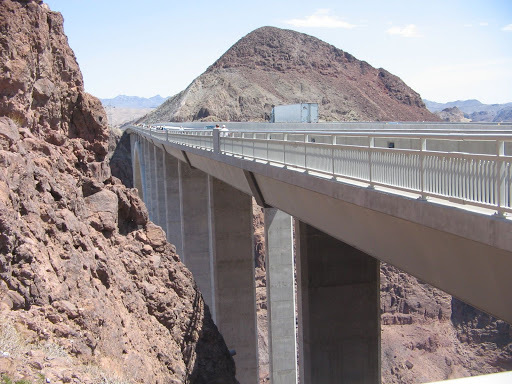 Highway bypass bridge at Hoover Dam. 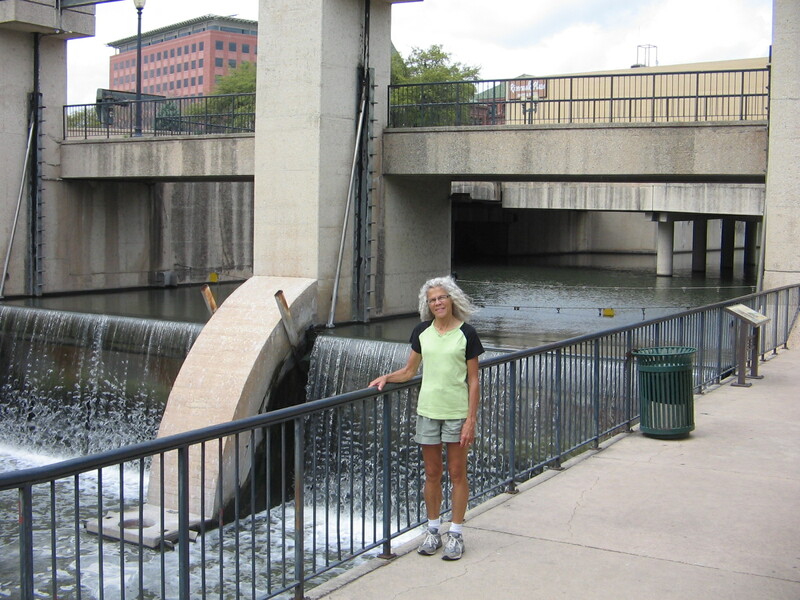 In order to get a view of the dam there is a separate sightseeing area that allows you to climb up to a walkway along the bridge. 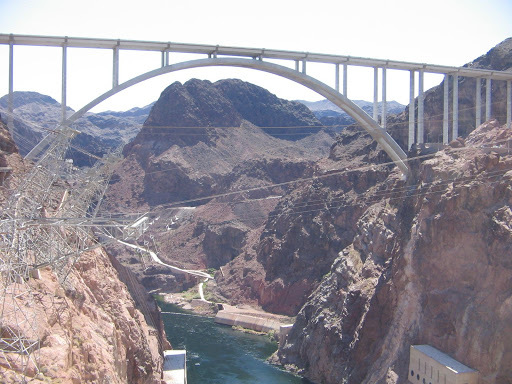 View of Hoover Dam from highway bridge. 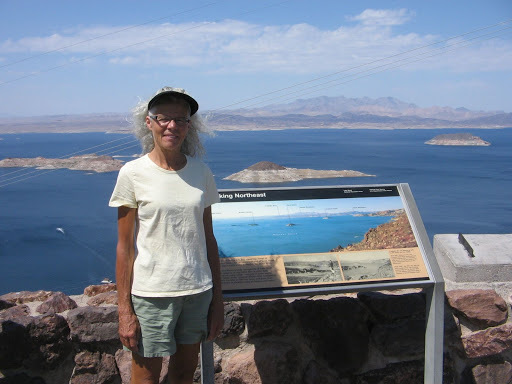 Behind Hoover Dam is the large Lake Mead Recreation Area. 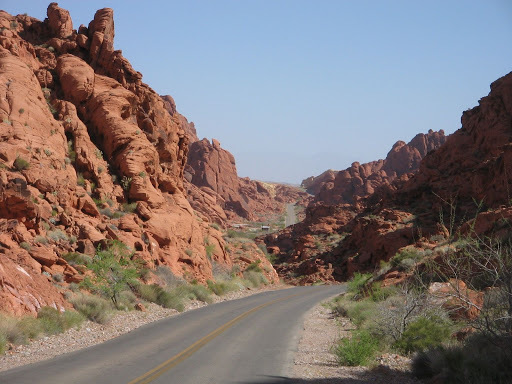 On Monday we drove along the 65-mile Northshore Road, reaching our camping site for the night at Valley of Fire State Park. 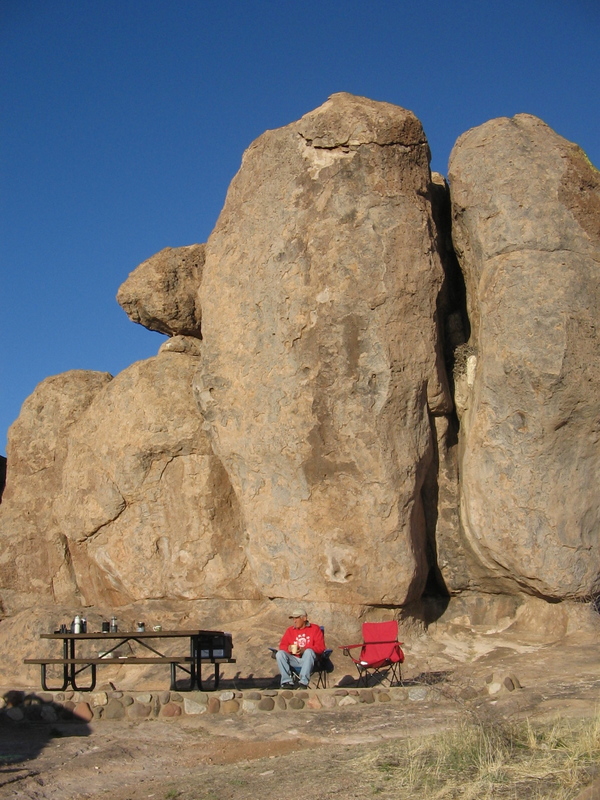 Camping in the rocks at Valley of Fire reminded us of the camping at City of Rocks in New Mexico. 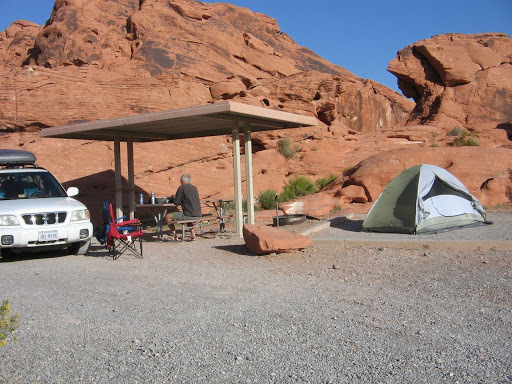 However, the accommodations at Valley of Fire were much more luxurious. And the temperatures here at night did not cool down at all. The highs that afternoon had been over 100 degrees and we did not need our sleeping bags to keep us warm for the first time in any of the camping we’ve done this year. Camping at Valley of Fire. Rainbow Vista at Valley of Fire State Park. 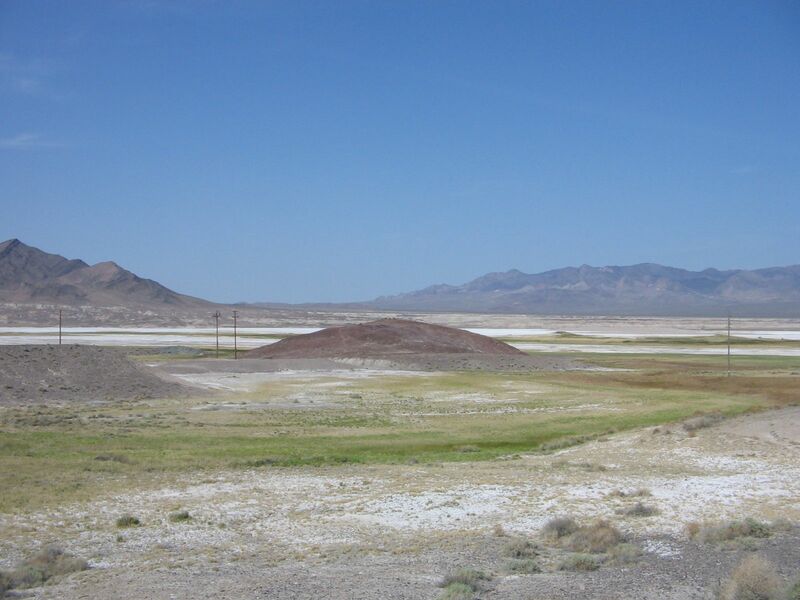 Now that we are in St. George we expect that our sightseeing will lead us to more beautiful desert vistas and colorful geological formations. 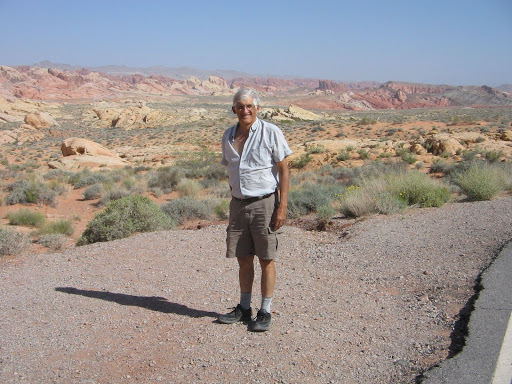 Tonight we are camped at Snow Canyon State Park, just outside the city–not as isolated as Valley of Fire or City of Rocks, but a very worthwhile visit. 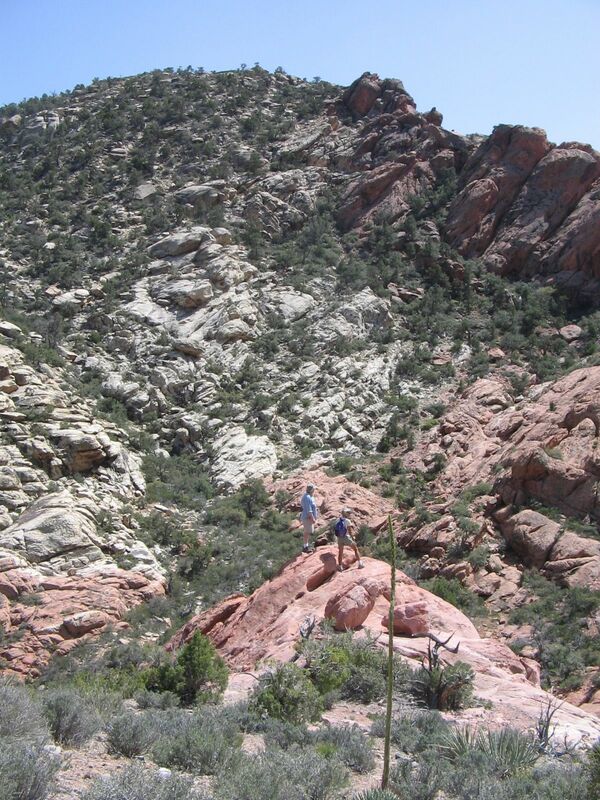 And since St. George has been called “the launching point to Zion National Park” we have much more yet to see. 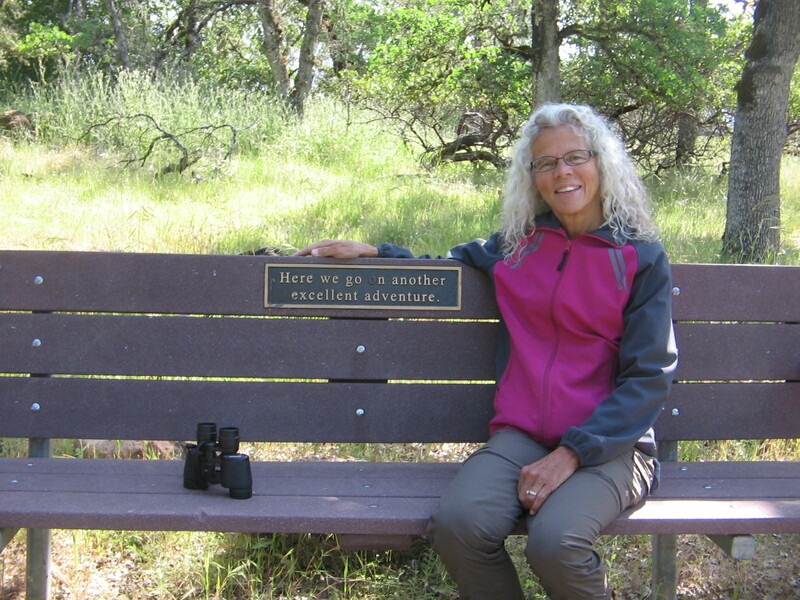 The sign on the back of this bench seemed so appropriate for the incredible journey we have been on. The bench was a viewpoint stop on a hiking trail that we walked after breakfast this morning. Let me fill you in on the latest news of our travels and explain where we were on our morning hike. 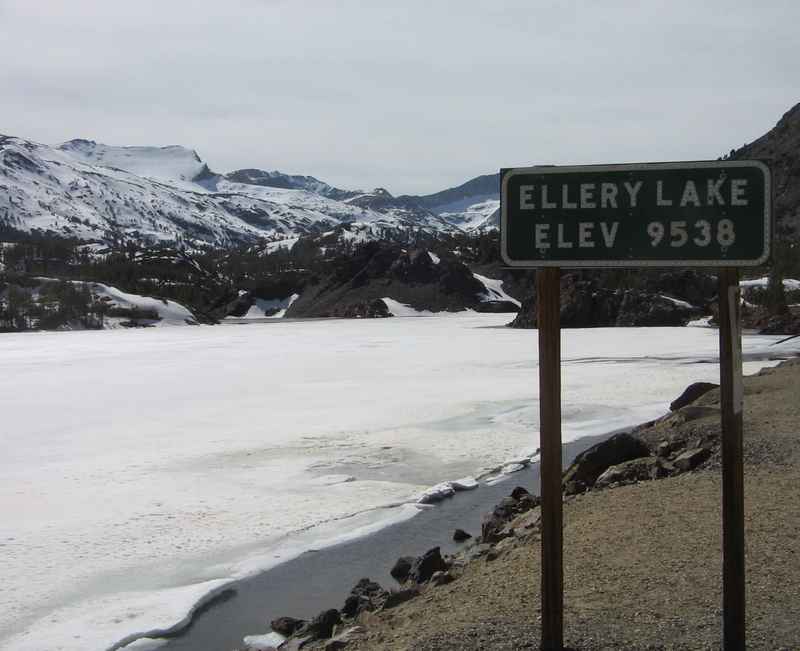 We left Carson City, Nevada, Thursday morning, driving around Lake Tahoe and then over the Sierra Nevada Mountains on the Carson Pass Scenic Byway. 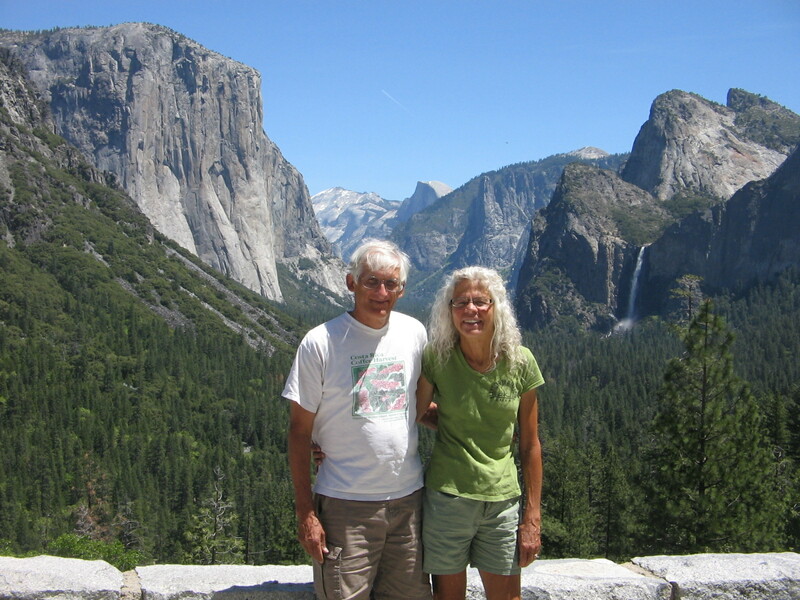 Both of us had been around Lake Tahoe before and knew what a beautiful place it was. 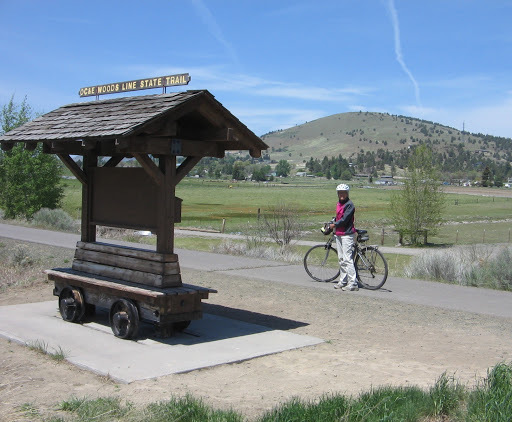 But Carson Scenic Byway was new territory and we were both caught by surprise at the awesome scenery on the 58-mile route. 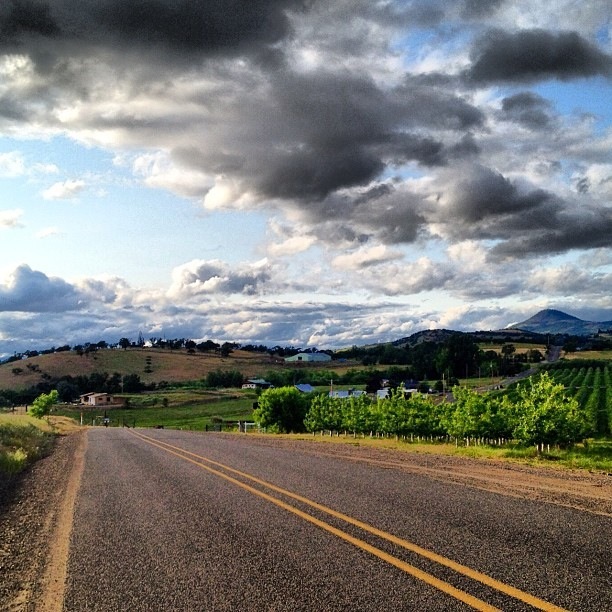 There’s definitely a reason for its scenic byway designation. 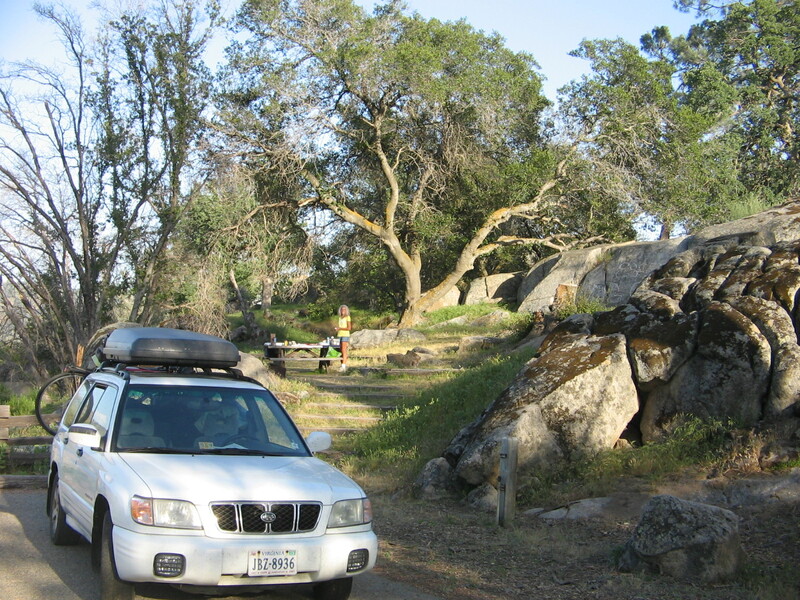 Thursday’s drive ended at Indian Grinding Rock State Historic Park campground in the Sierra Nevada foothills near Jackson, California. 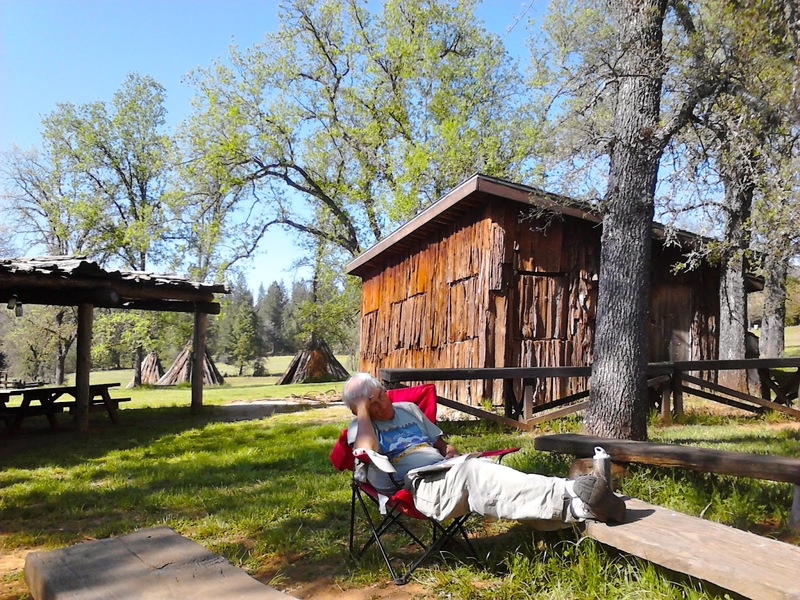 I enjoyed the history lessons in the park, which is designed to preserve the artifacts and illustrate the culture of the Northern Sierra Miwok Indians who inhabited the area centuries ago. 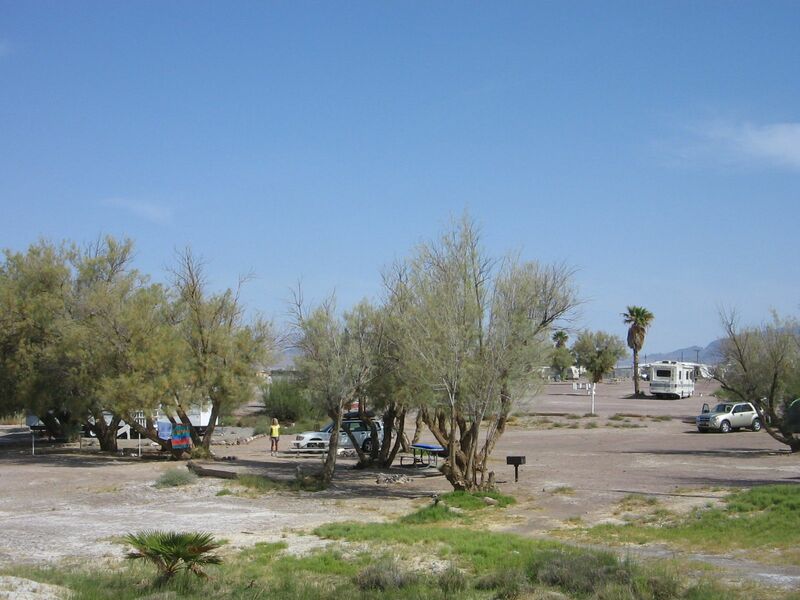 The campground, however, was not one of the best for providing a restful nights sleep. Adjacent to the park was a farm, that, although you couldn’t see it through the trees, you could hear the loud, annoying cries of peacocks. They make a sound like stranded cats and must not sleep at all, because they kept wailing all night long. 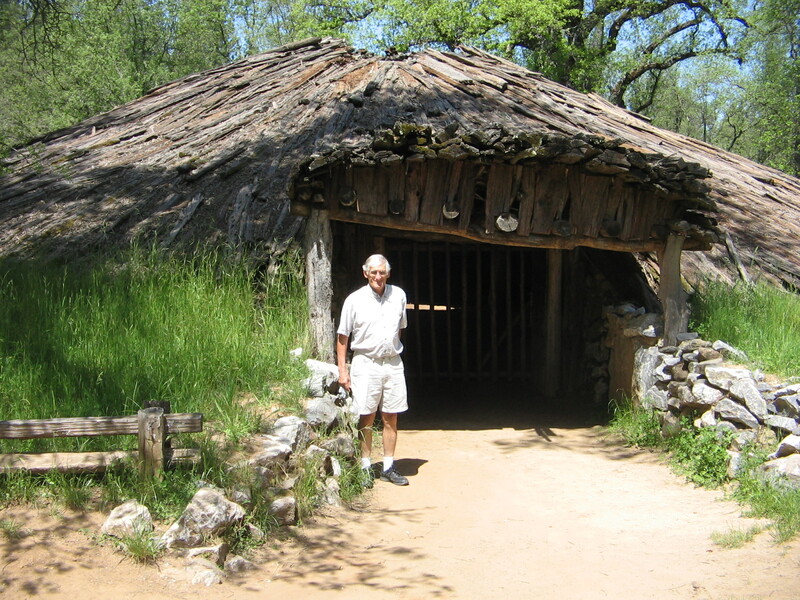 Reproduction of Roundhouse used for ceremonies and social gatherings by Miwok Indians. 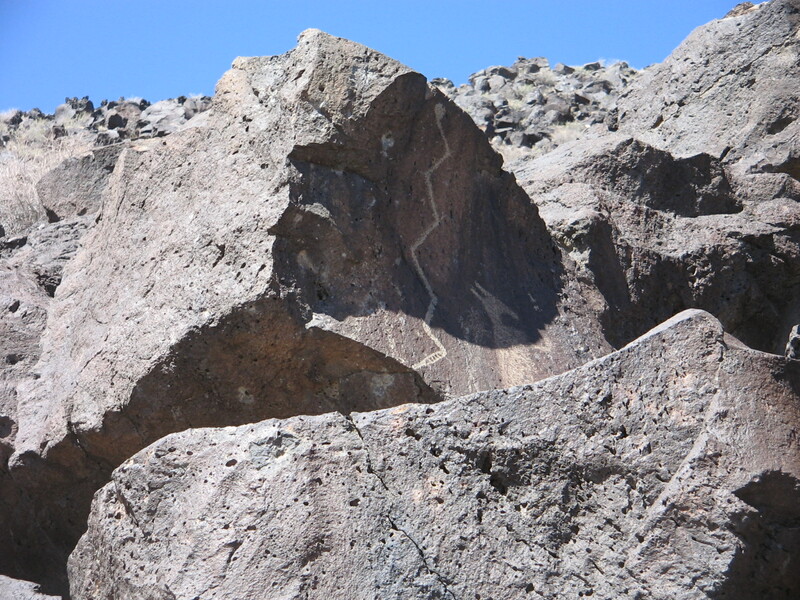 Main grinding rock showing numerous holes where Miwok women pounded acorns and other seed into meal. 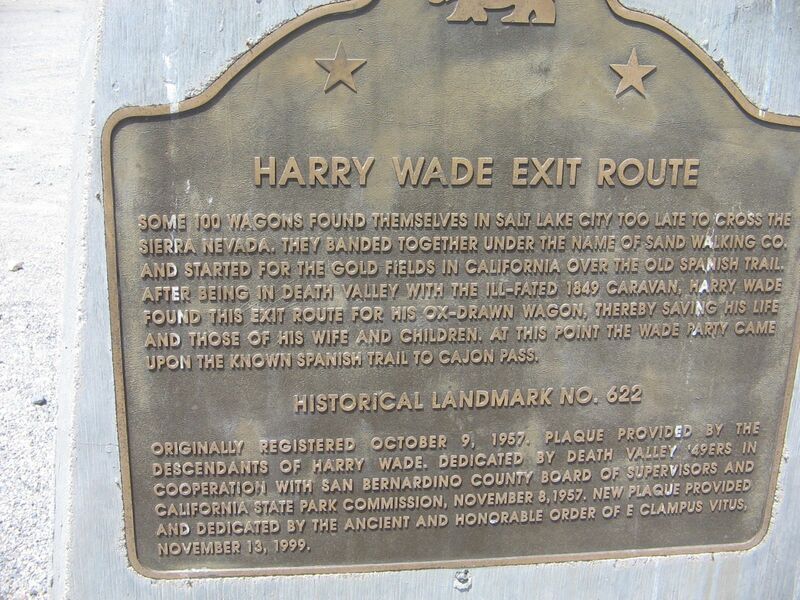 Besides the history at Indian Grinding Rock, we had the opportunity Friday, as we were leaving the area, to drive through Volcano and Jackson, reading historic signs of the California Gold Rush days. 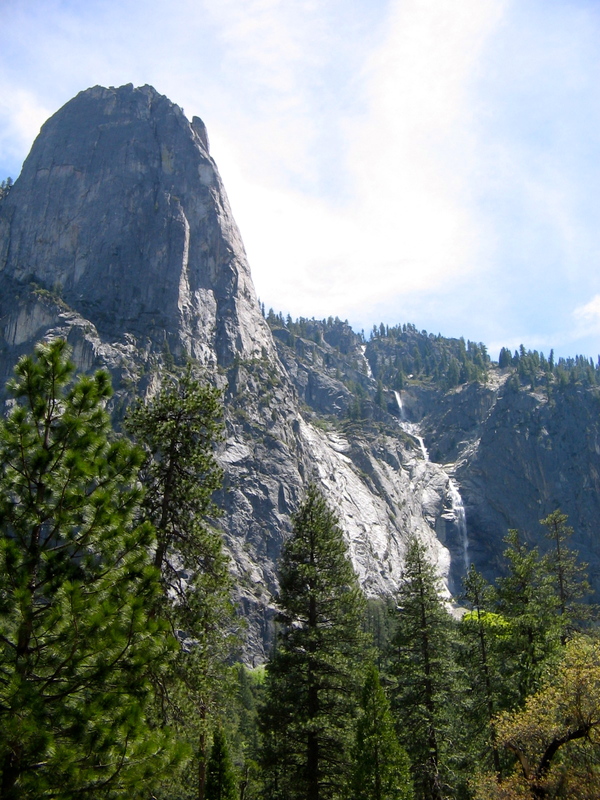 View outside of Jackson, California. 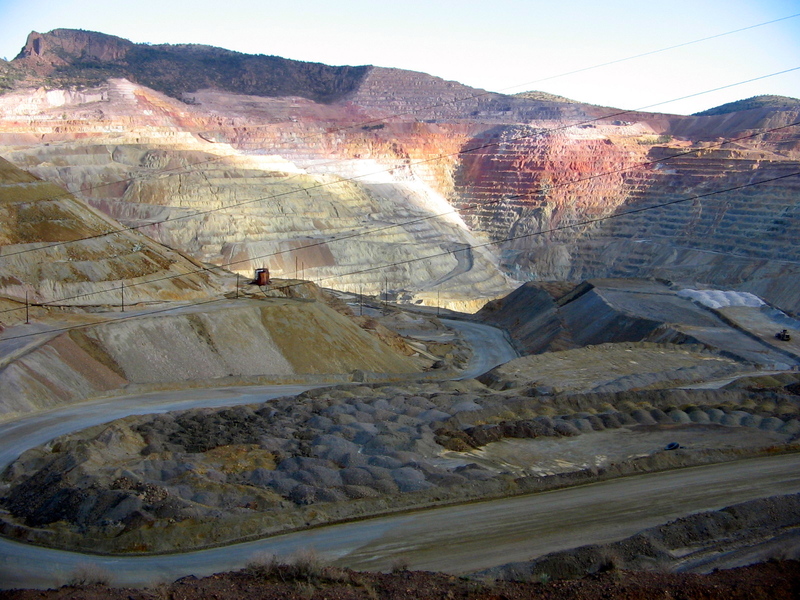 Structure to left is Kennedy Gold Mine Frame Head. 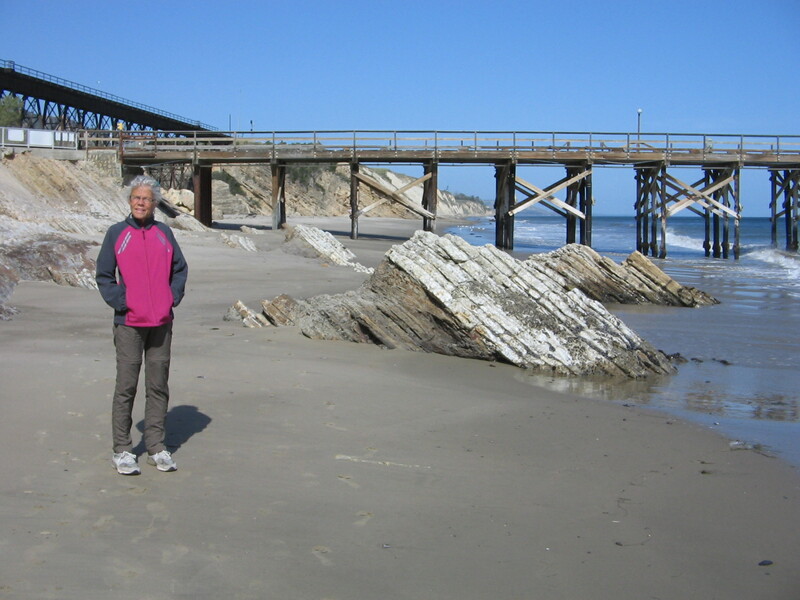 On Mother’s Day weekend we were spoiled by the lavish hospitality of our friends, Bob and Alice, at their Rio Vista, California, home. Sunday morning worship service at their church impressed us with the friendliness and welcoming attitude shown by everyone in the congregation. 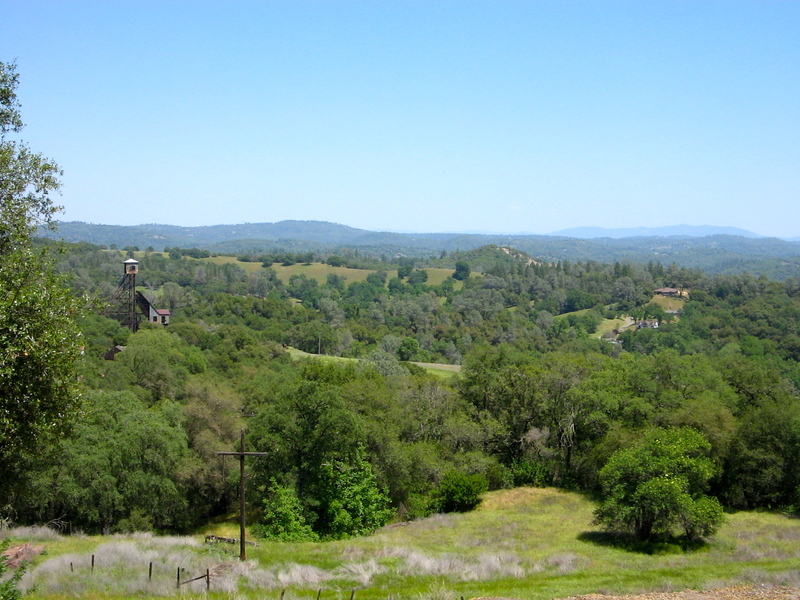 Yesterday, leaving Rio Vista and driving northwest, we passed through the beautiful Napa Valley, viewing miles and miles of vineyards bright with new spring growth. 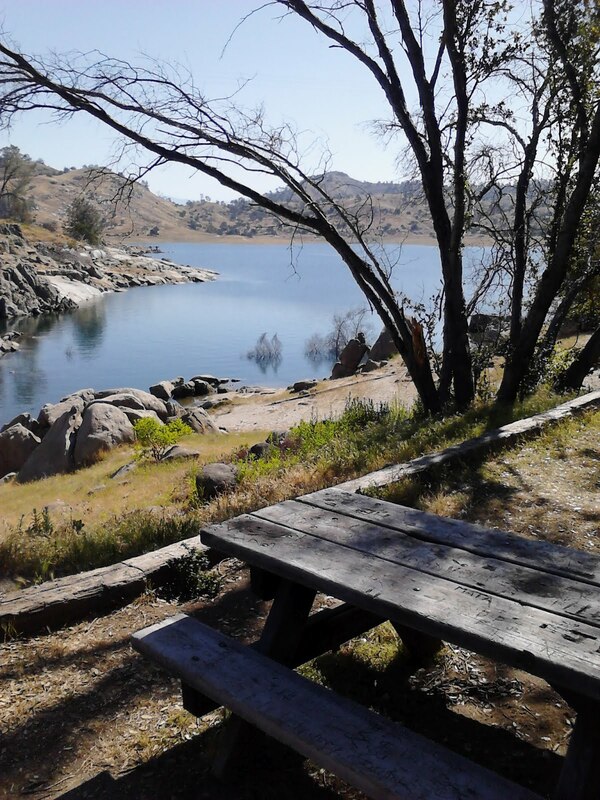 Our destination for the night was Clear Lake State Park on the shores of California’s largest natural lake. This campground was very quiet; no noisy peacocks to prevent a good night’s sleep. 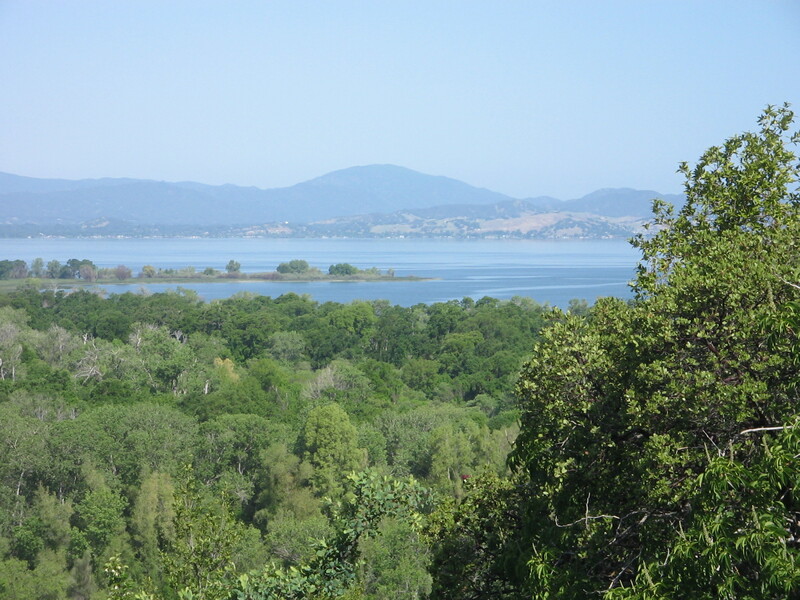 We had enough energy and time this morning that we were able to enjoy a hike on a forested trail over the ridges that surround the park and overlook the lake. One of the stopping points was the bench in the photo at the start of this post. Tonight we took a break from camping and are in a motel in Chico, California. 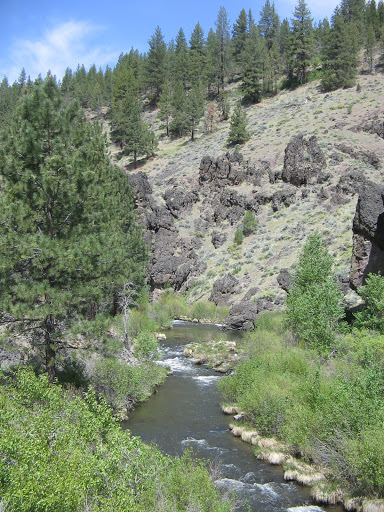 The weather has been great and we hope tomorrow evening to be camping again around Susanville, California. 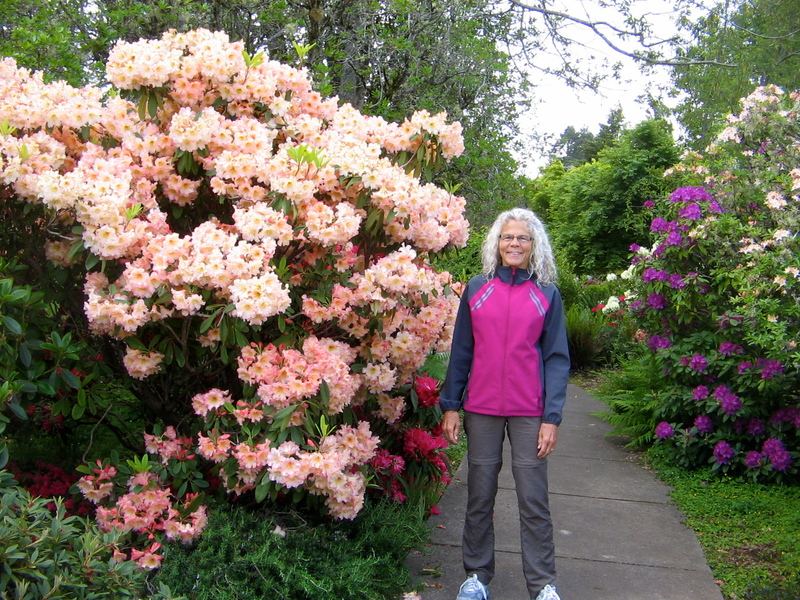 Our travels have brought us to my daughter’s house in Medford, Oregon, where we are enjoying a week of rest and relaxation as spoiled guests at her home. She and her husband have both taken a week of vacation from their jobs to spend extra time with us. 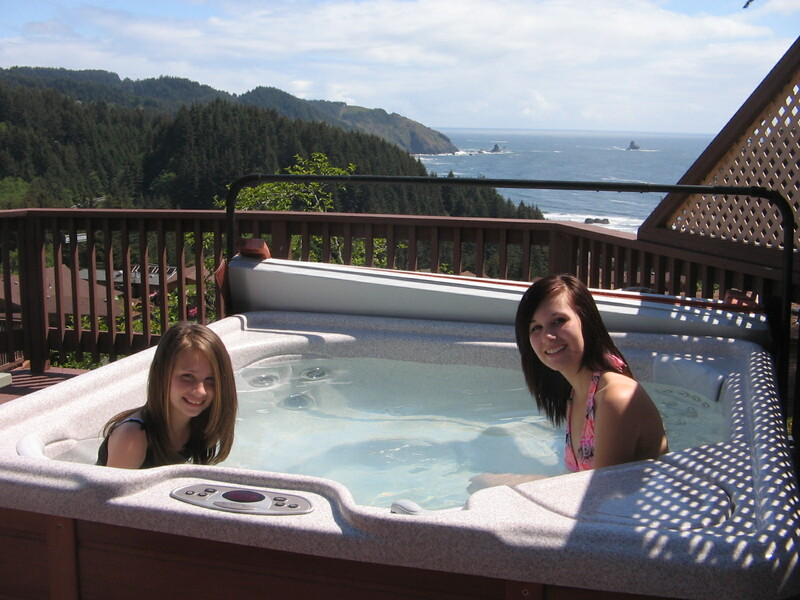 Our two granddaughters will still have school this week, but we are enjoying their company weekends and evenings. 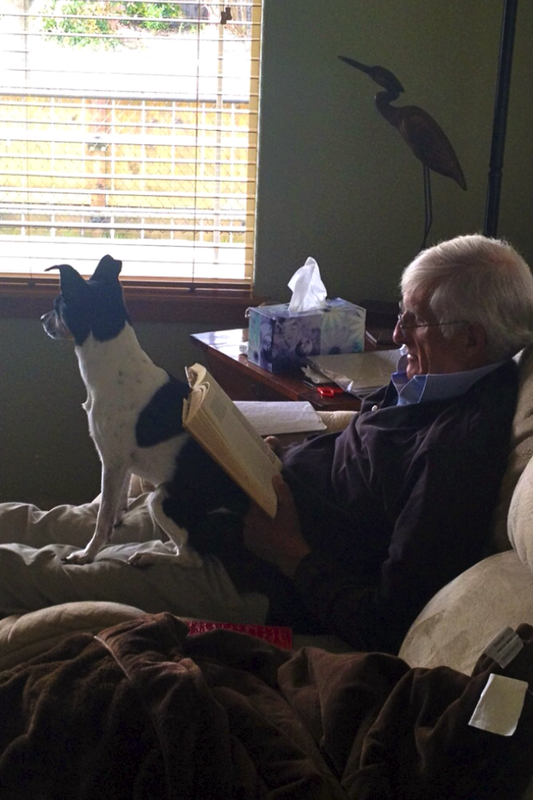 Everyone attended church together this morning and now it’s nice to spend a quiet afternoon at home. Last week’s camping excursion in Lassen National Forest at Eagle Lake Recreation Area was short, but enjoyable. 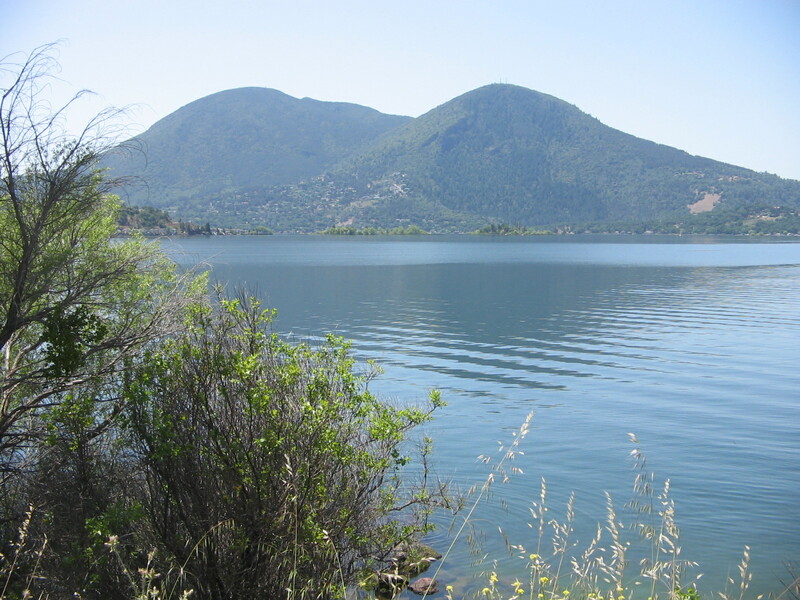 The lake is California’s second largest natural lake, which we thought was interesting, since we had camped just the week before at Clear Lake, the largest natural lake in California. 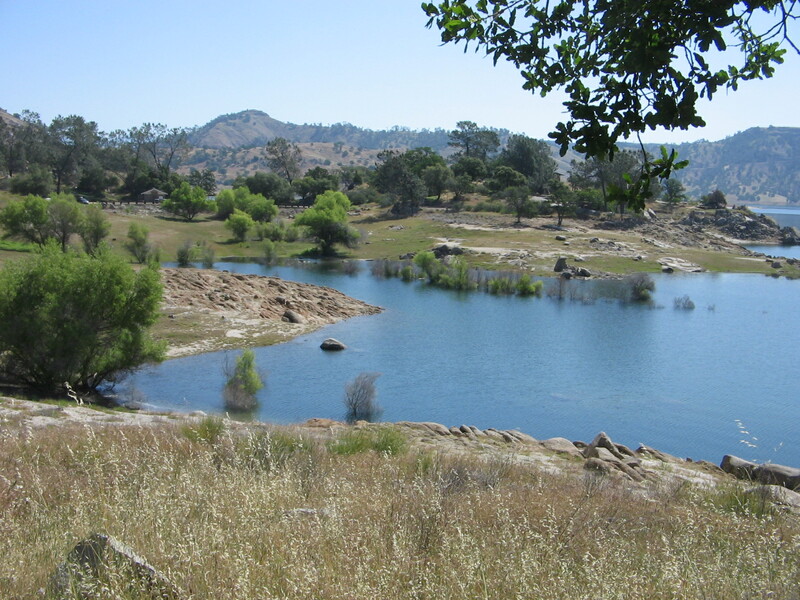 The 2 lakes are very different in their environment and surroundings. 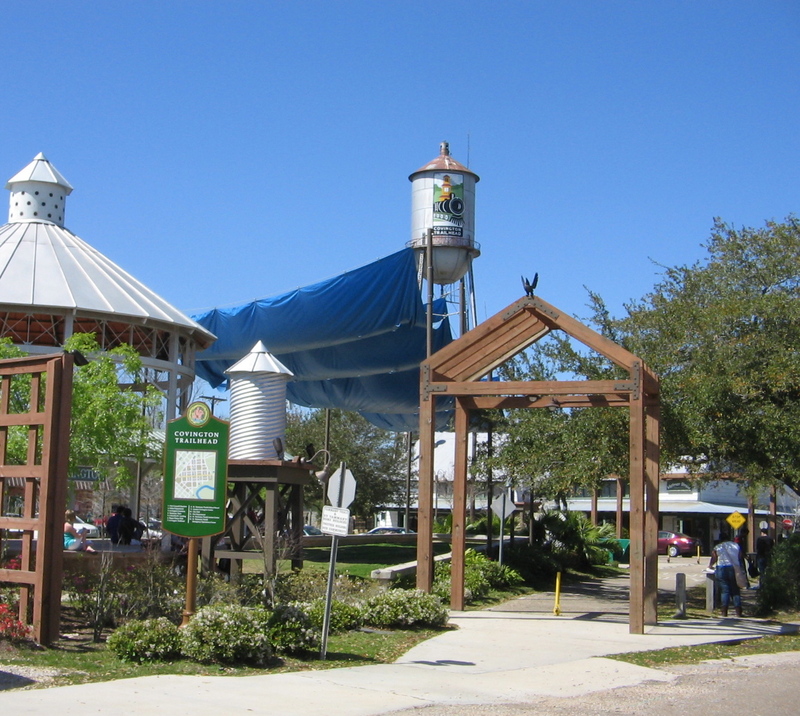 There is much more development around Clear Lake, since it is so close to farmland and populated areas. 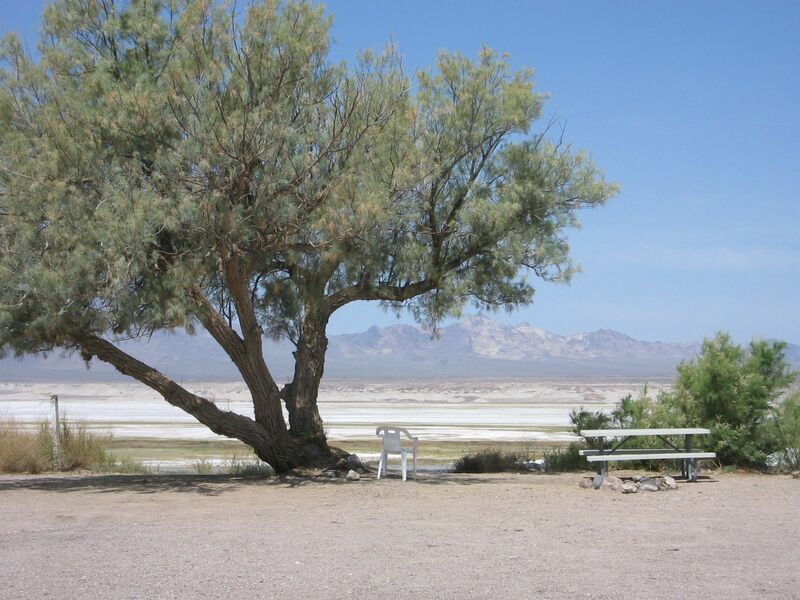 The Clear Lake campground we were at was in a state park. 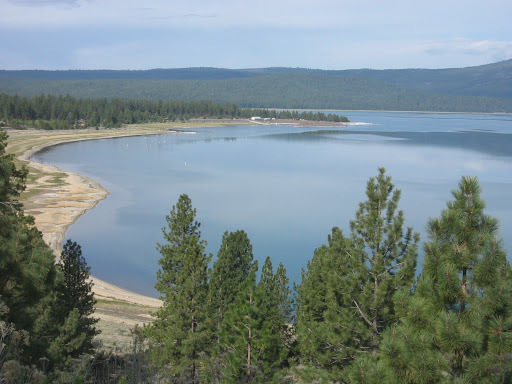 Eagle Lake, about 15 miles from the small town of Susanville, is in a national forest, isolated and undeveloped. 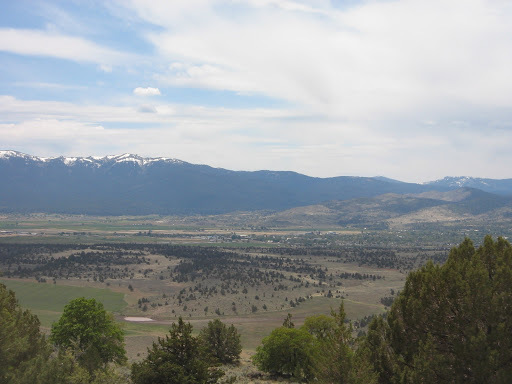 View of Susanville on the road that winds from the mountains down into the valley. 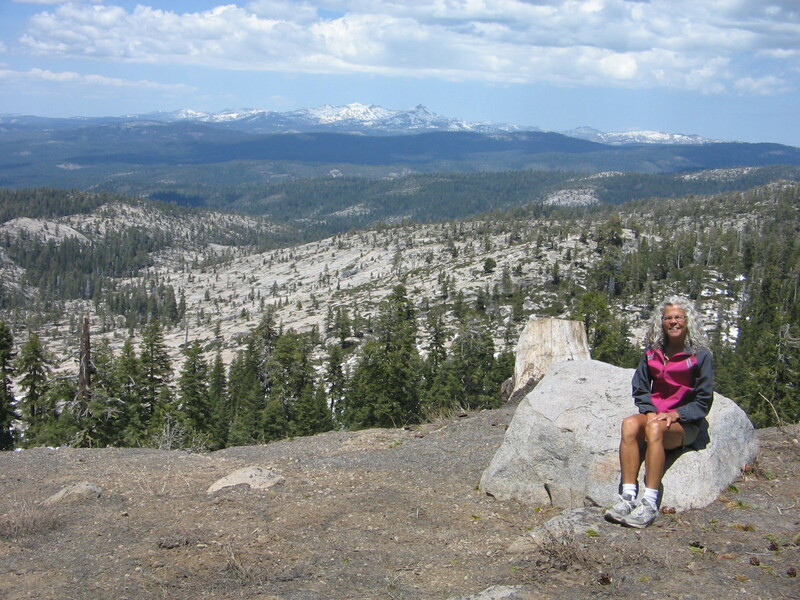 The Lassen National Forest campgrounds had just opened for the season the day before we arrived. National Forest campgrounds don’t have the amenities of state parks, but I thought the campground at Eagle Lake was much nicer than state park campgrounds. There was even hand soap in the bathrooms, which I have not seen in any California state parks! 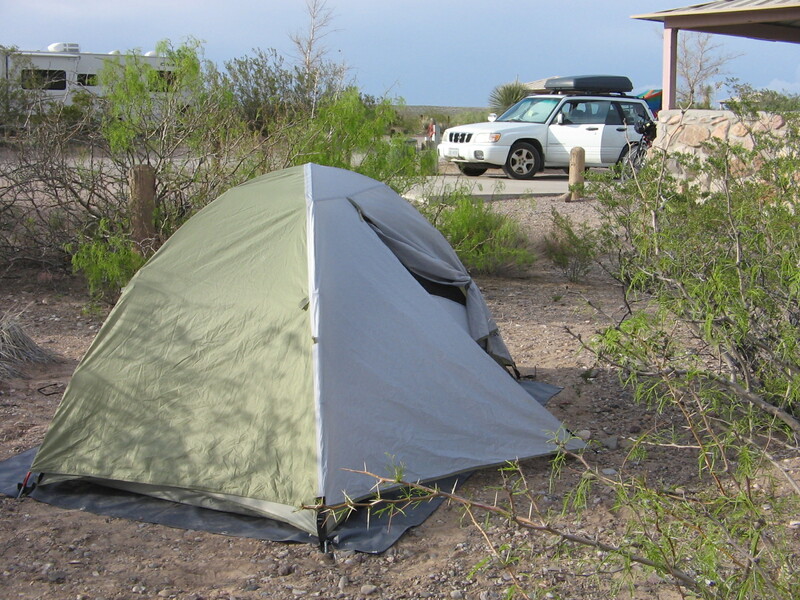 Another benefit is that national forest campgrounds cost less than state park campgrounds. 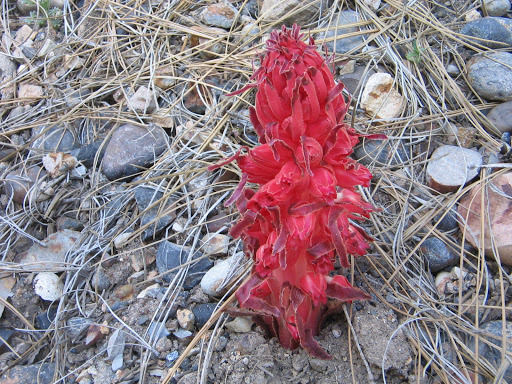 Driving the back roads in the area around Eagle Lake we noticed a bright red flowering plant that we had never seen before. 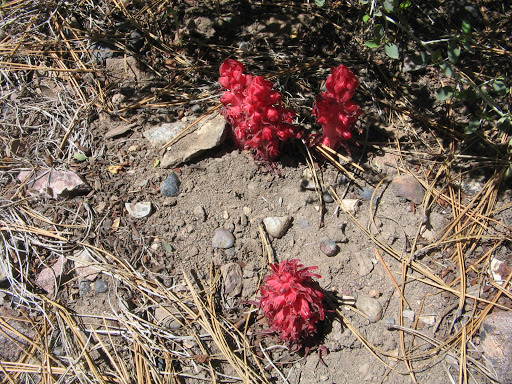 We later discovered that this was Snow Plant, a parasitic plant that grows under pine trees in coniferous forests at higher elevations. A very odd-looking plant. 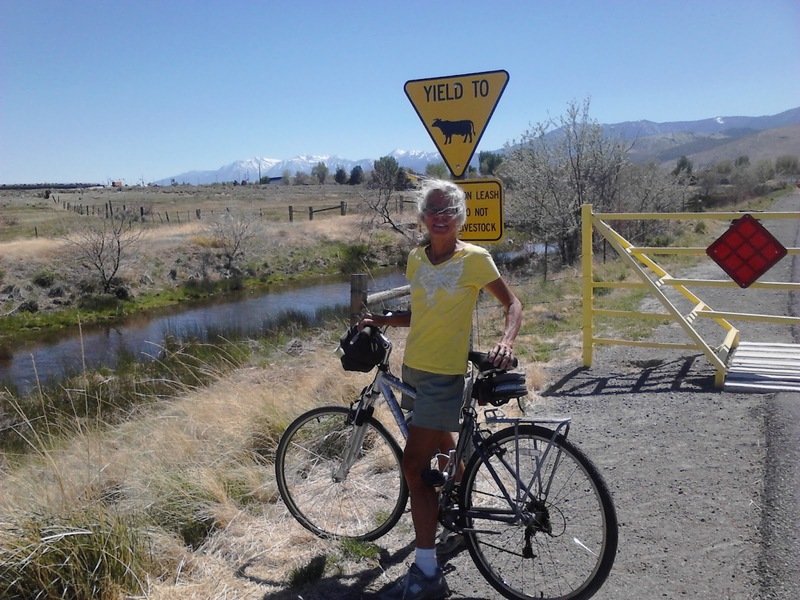 The next day after camping at Eagle Lake, we drove into Susanville and rode our bikes on a stretch of the Bizz Johnson National Recreation Trail. 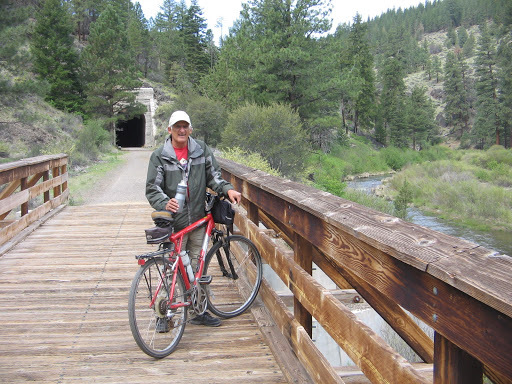 The section that we were on parallels the Susan River, crossing several bridges and going through two tunnels. Leaving Lassen National Forest we drove along the eastern edge of the Cascade Mountain Range and made our way north into Oregon. Thursday evening we stayed in a motel in Klamath Falls, Oregon. 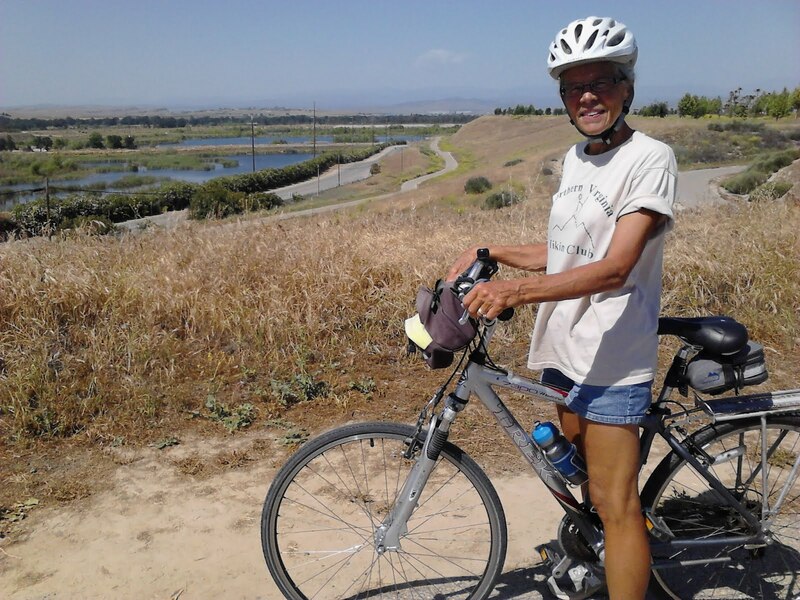 On Friday, before heading to Medford, we took a couple of hours to ride our bikes on the OC&E Woods Line State Trail. Today we are keeping a close watch on the weather, not because we have any concern about camping or outdoor activities, but in hopes that the sky will be clear of cloud cover. So far today, it has been overcast one minute and cloudy the next. If it is clear between 5-7 pm we will be able to see a rare, annular “Ring of Fire” solar eclipse. 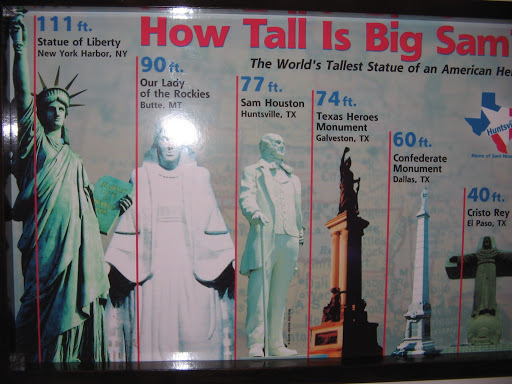 There has not been one of these visible in the US for 18 years. 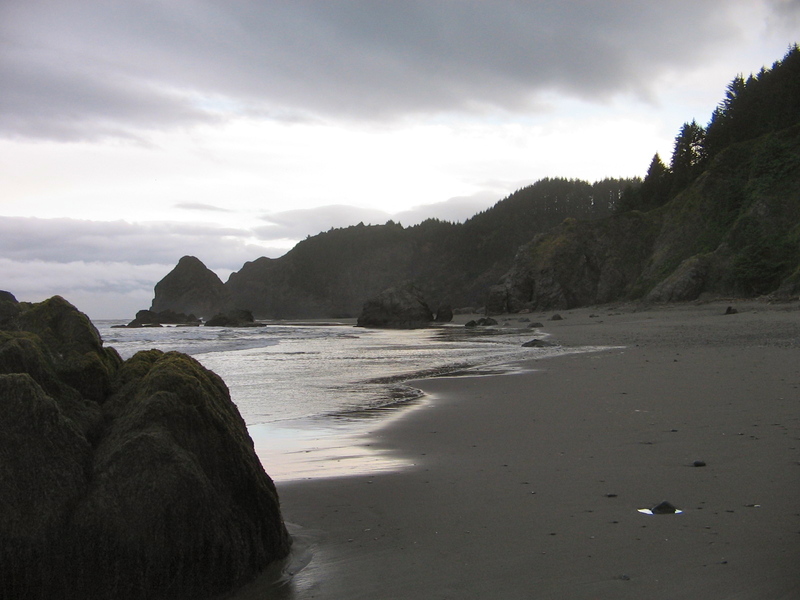 Oregon is one of the states where the phenomenon will occur. 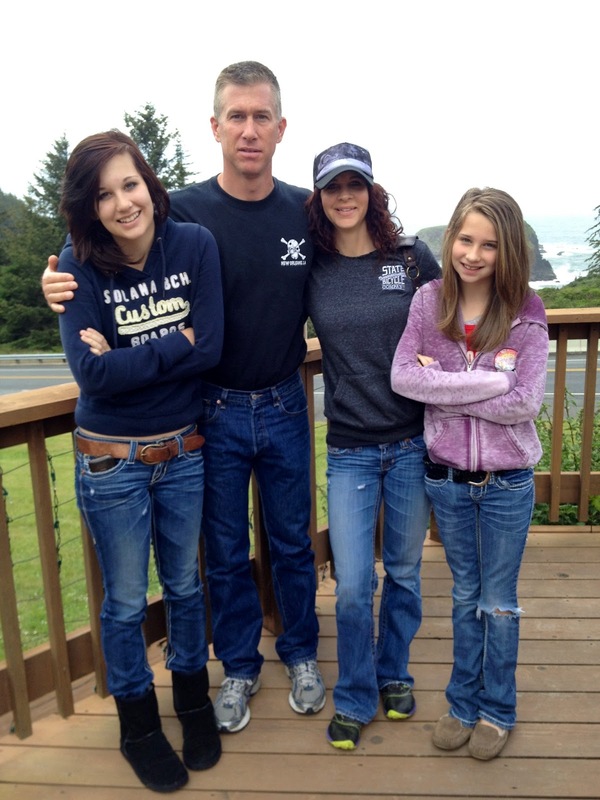 Even if the weather this afternoon prevents us from seeing the solar eclipse, there are so many other reasons to enjoy our time with family this week in Medford, that we will have no room for complaints.